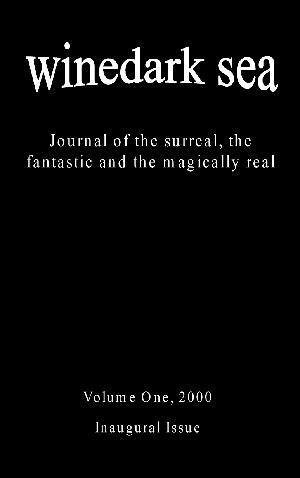 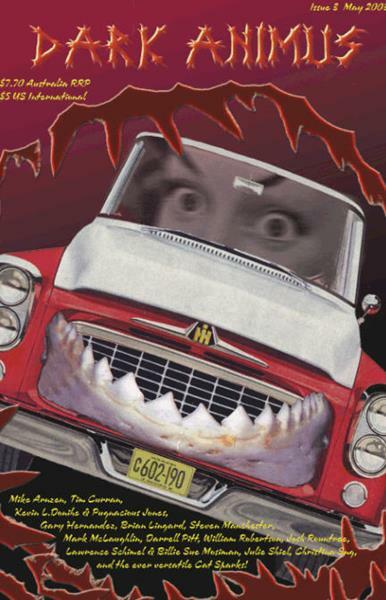 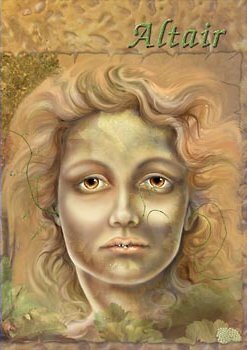 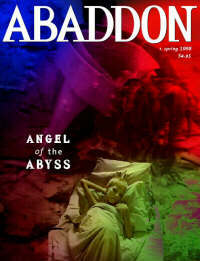 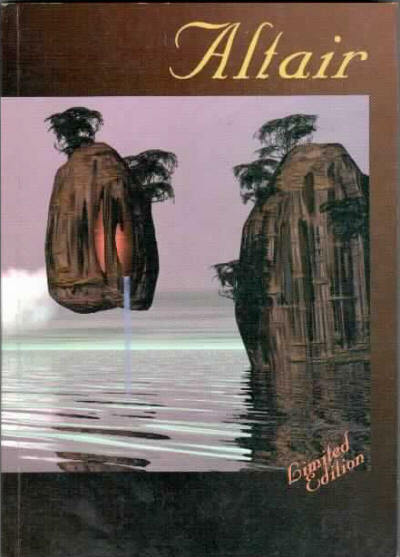 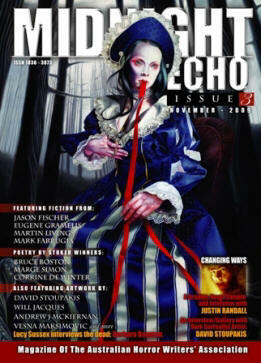 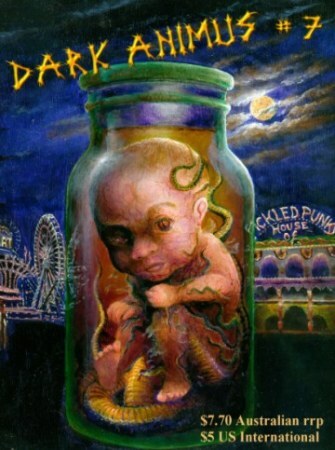 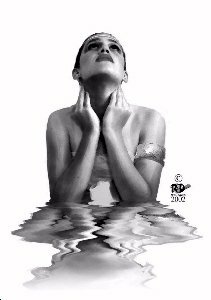 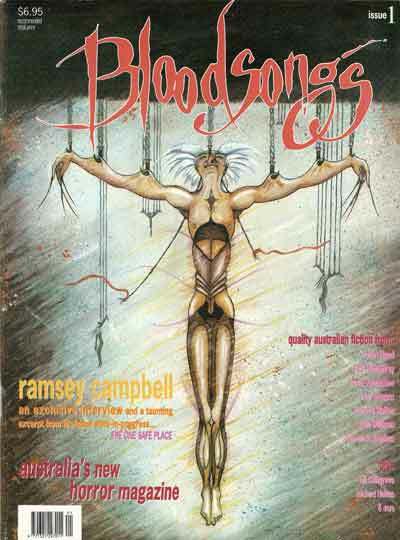 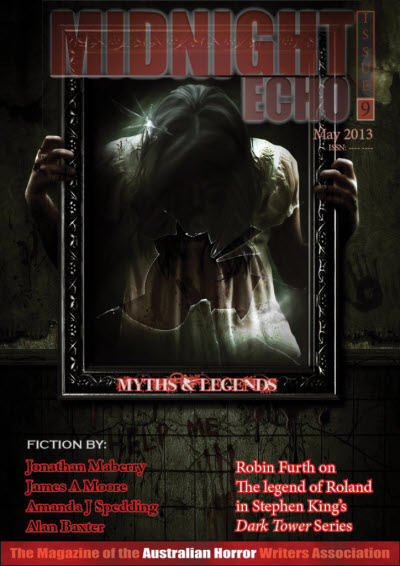 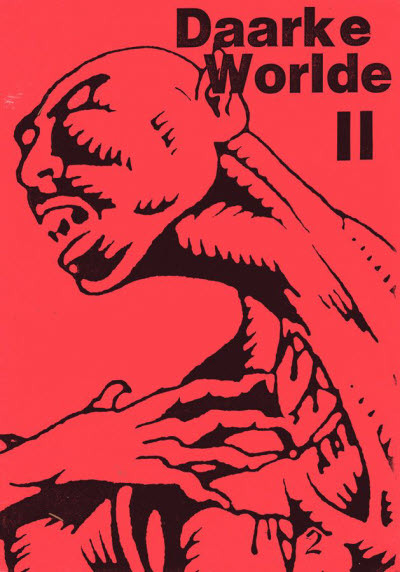 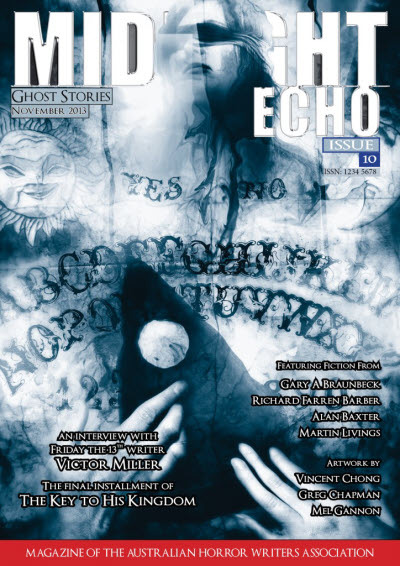 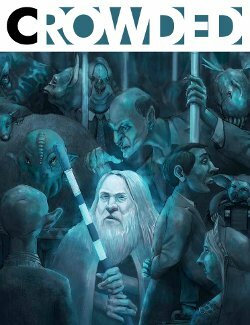 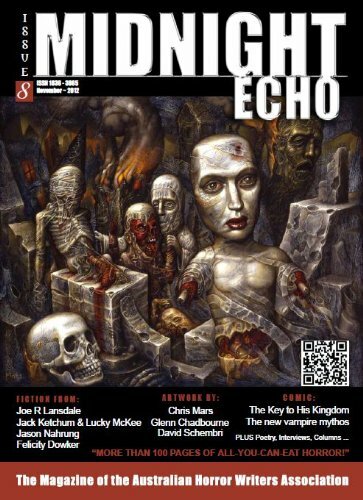 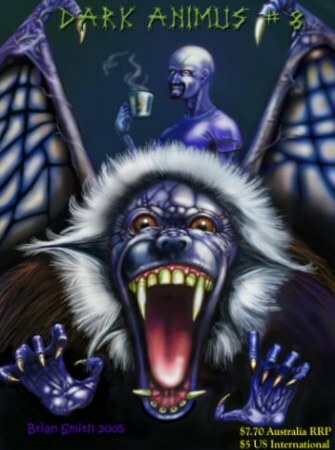 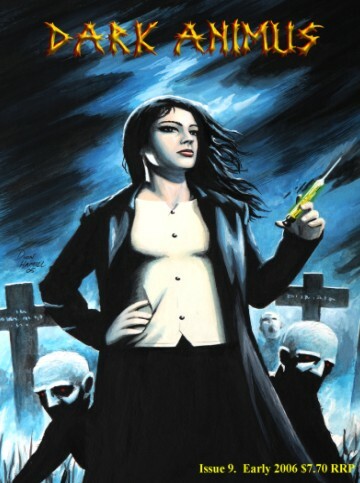 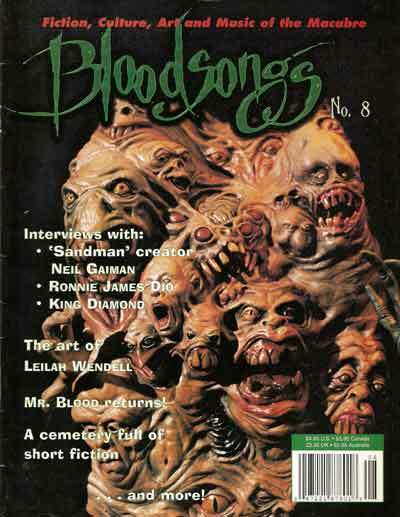 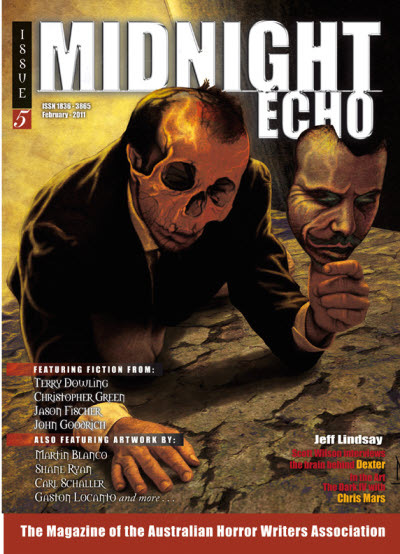 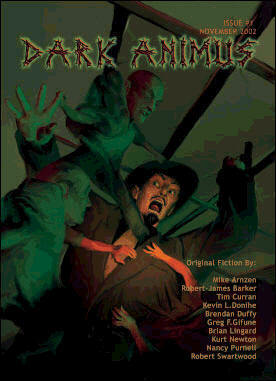 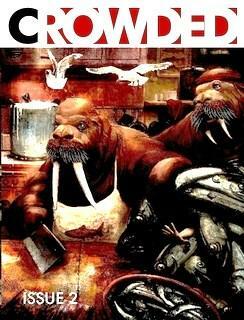 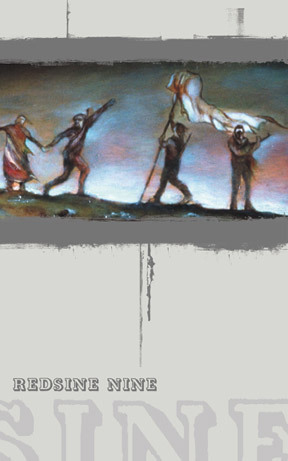 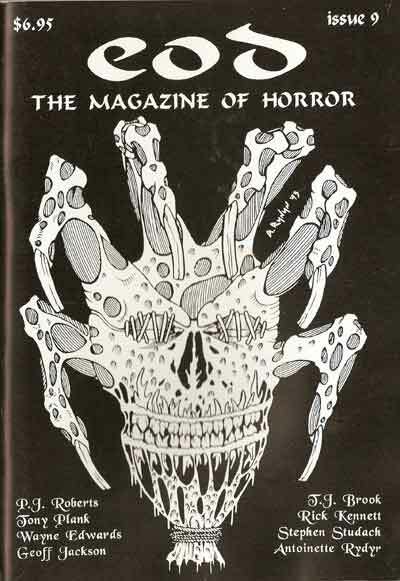 A magazine of horror and fantasy with the emphasis on the surreal and graphic art. 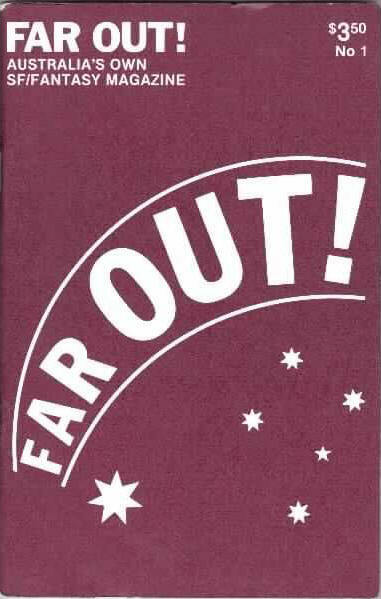 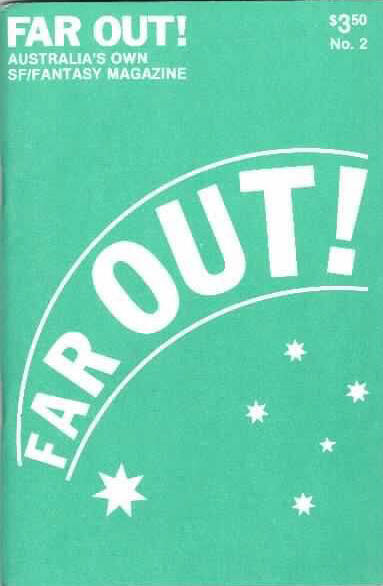 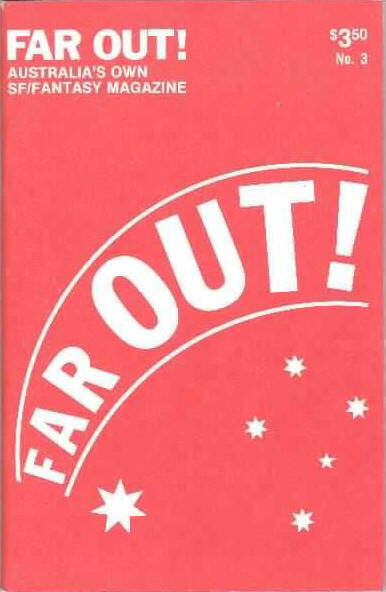 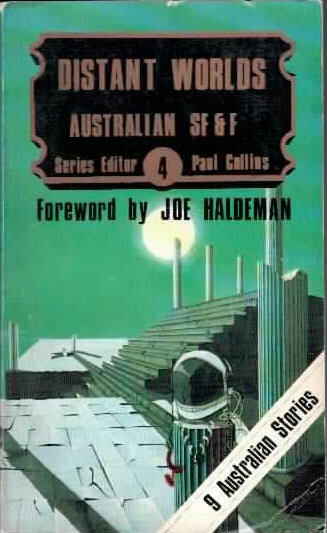 A series of Australian booklets, neither numbered nor dated. 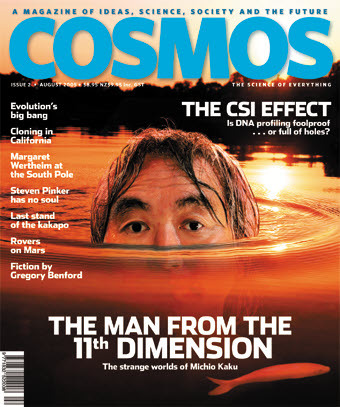 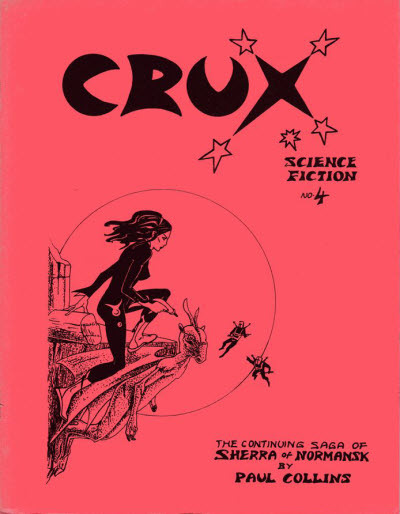 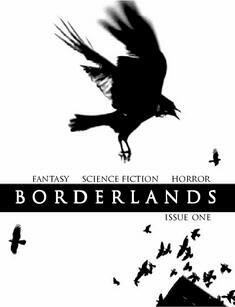 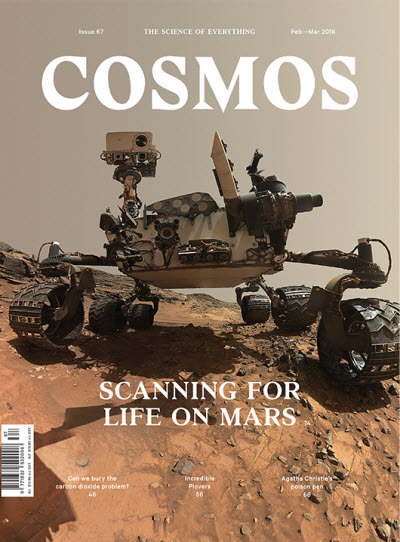 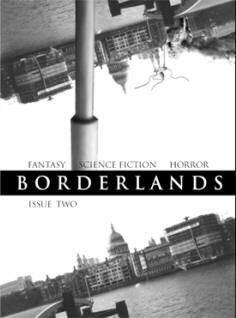 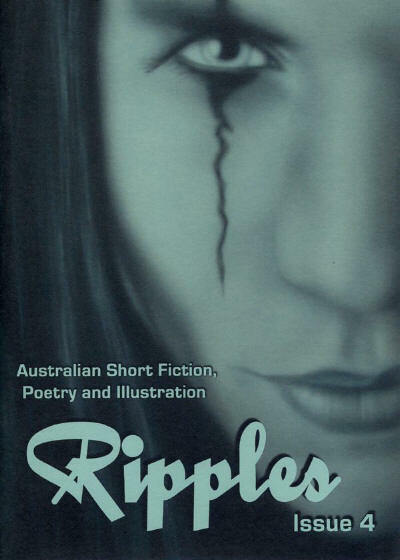 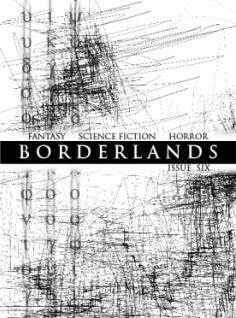 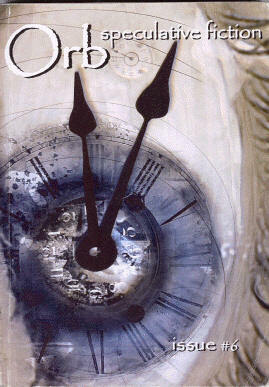 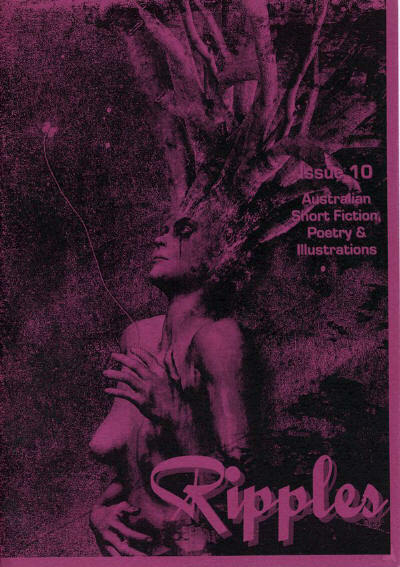 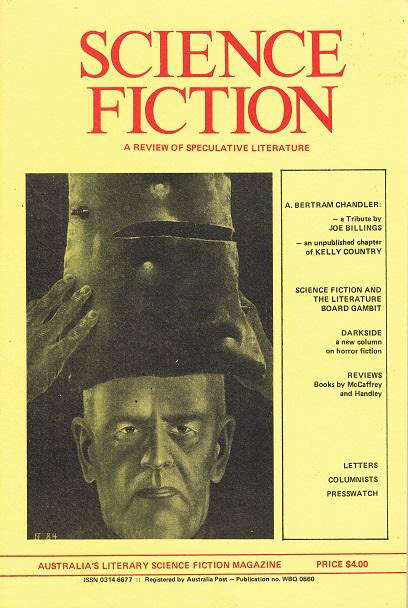 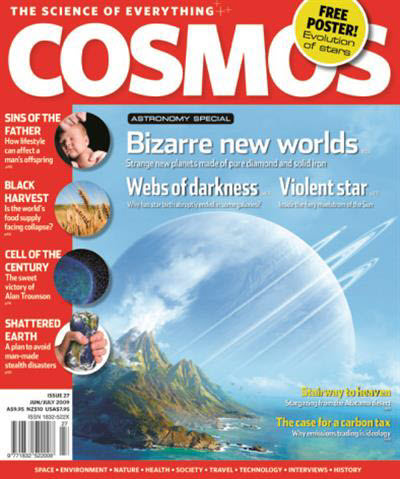 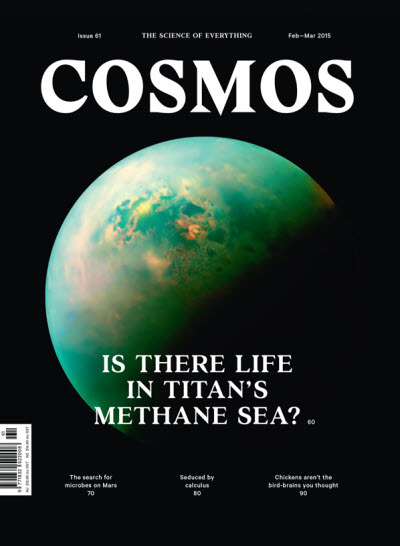 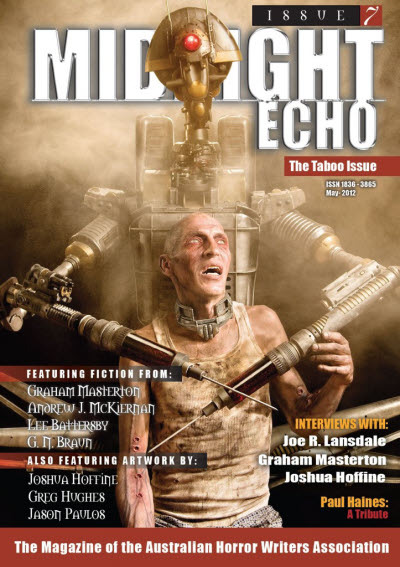 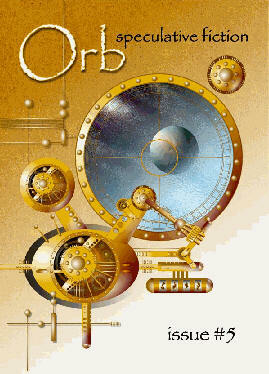 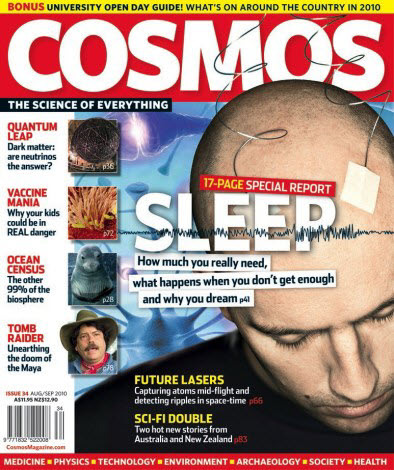 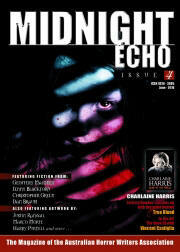 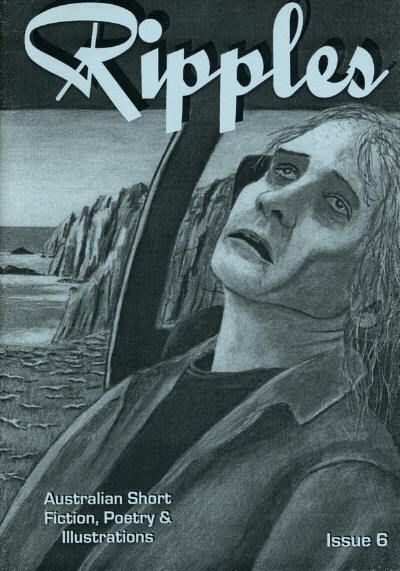 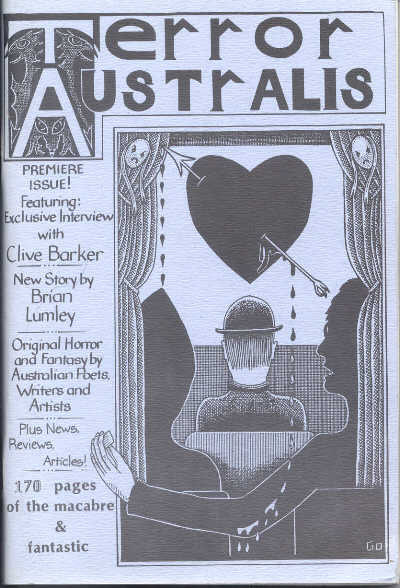 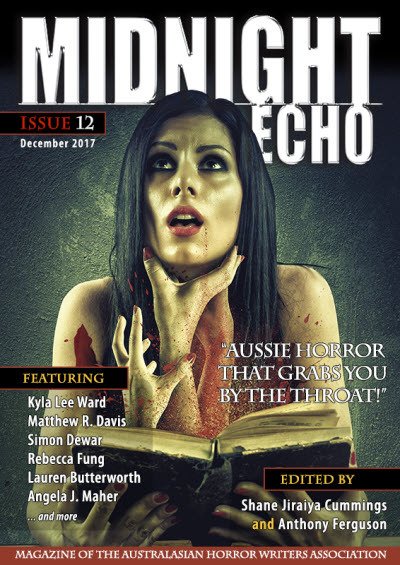 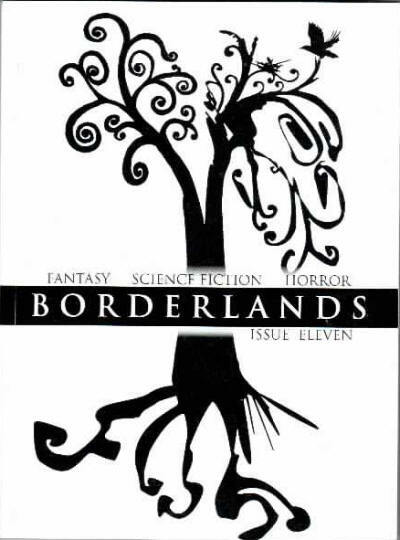 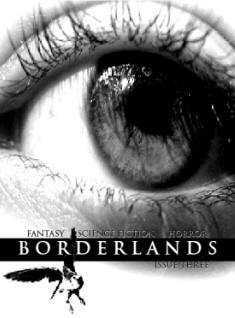 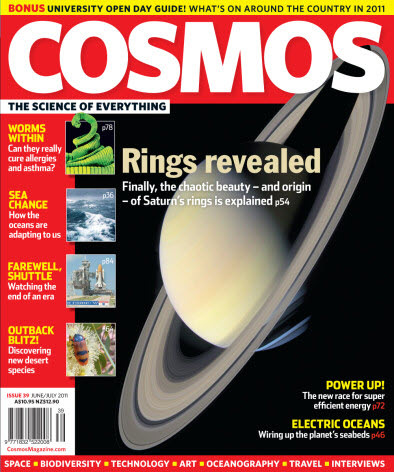 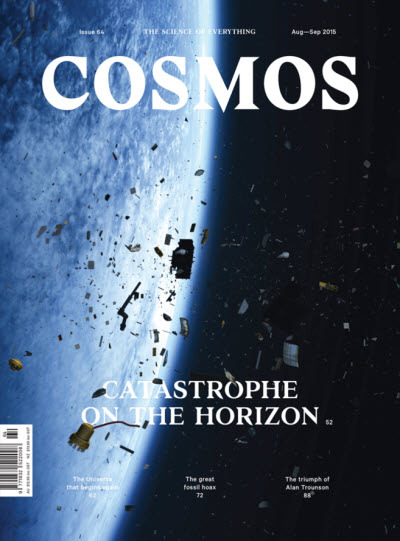 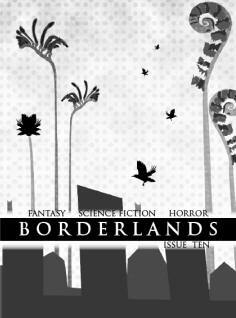 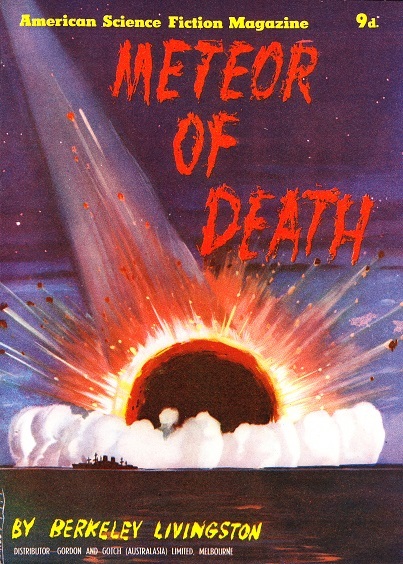 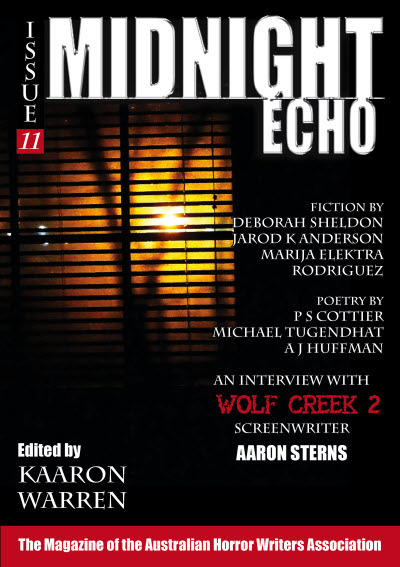 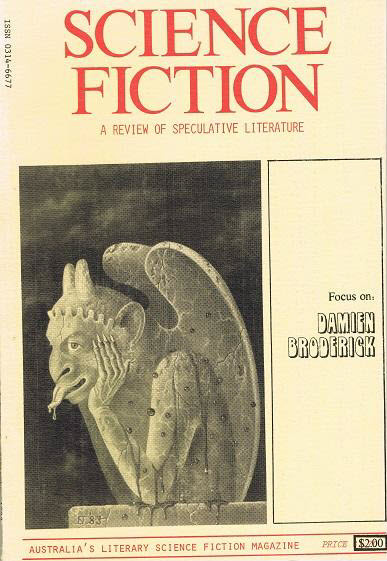 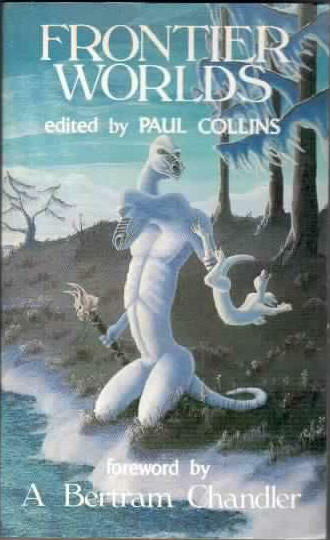 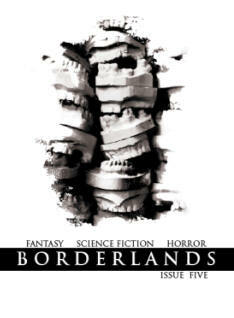 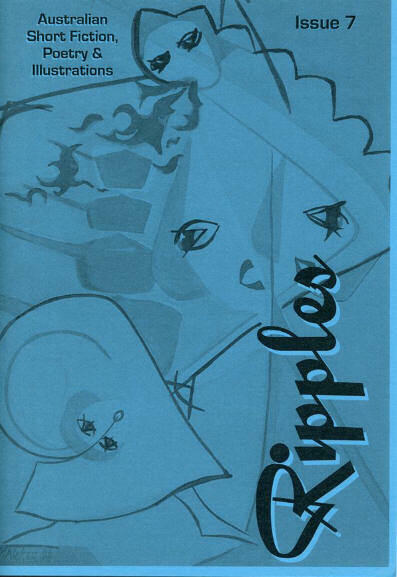 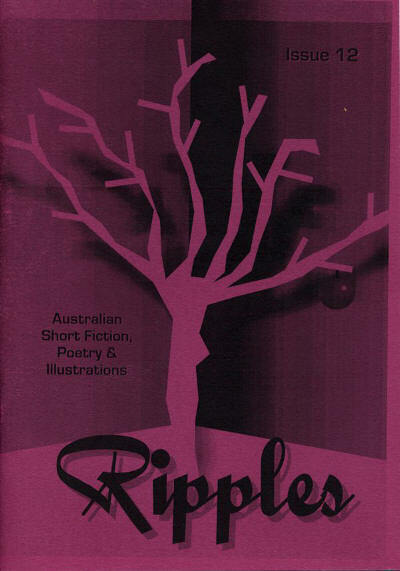 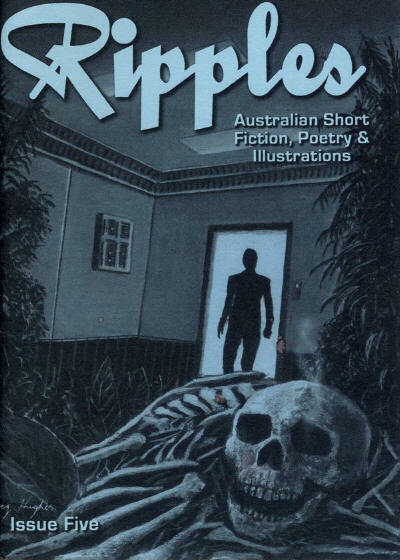 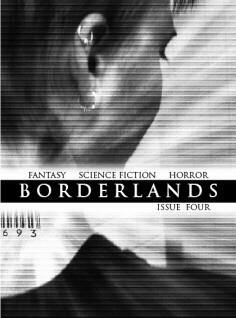 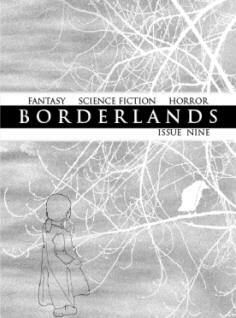 A small press magazine publishing Australian science fiction, fantasy and horror stories, and associated non-fiction. 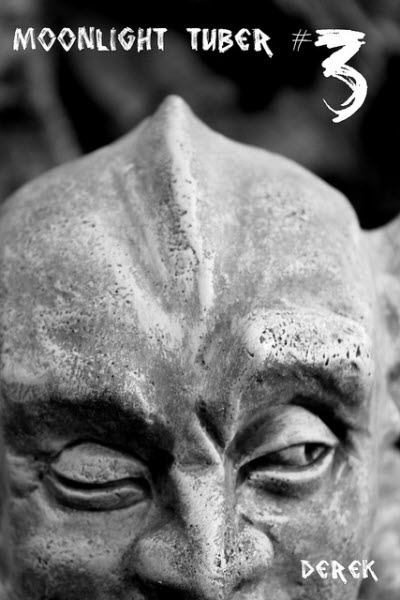 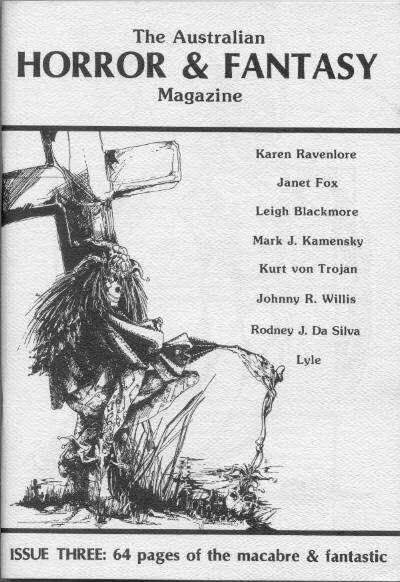 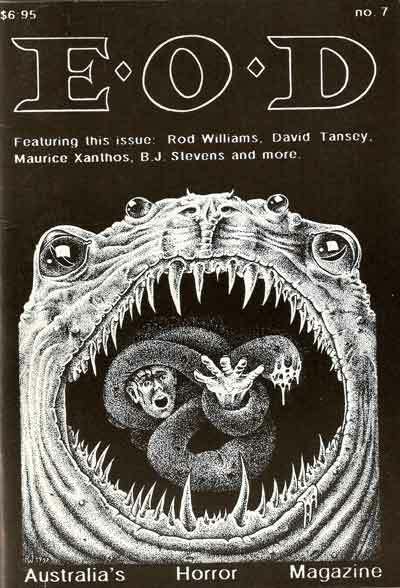 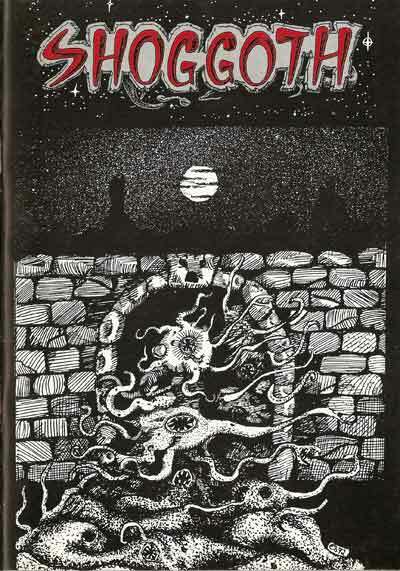 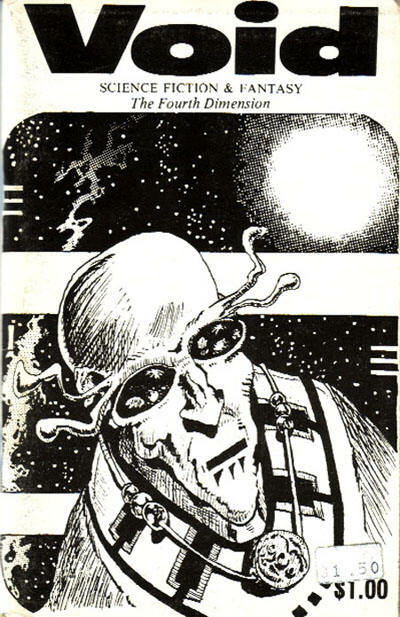 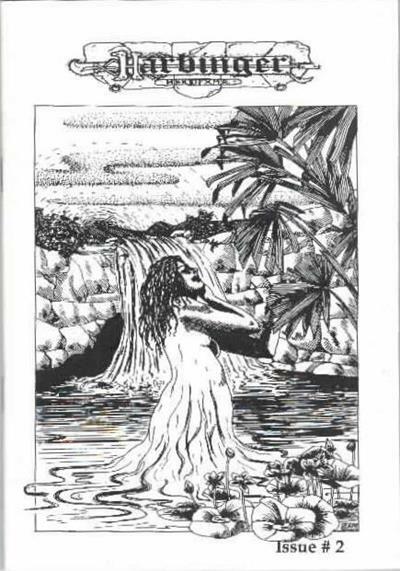 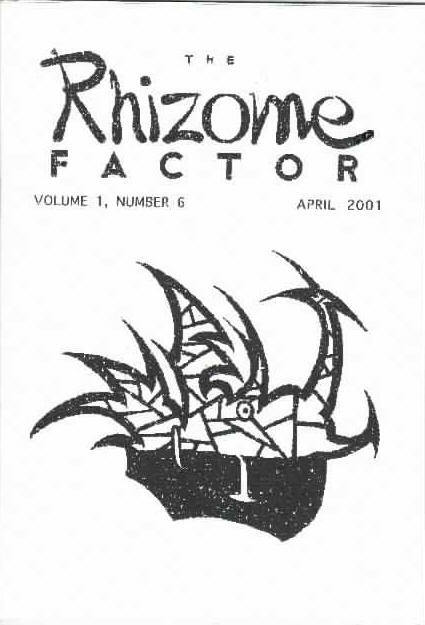 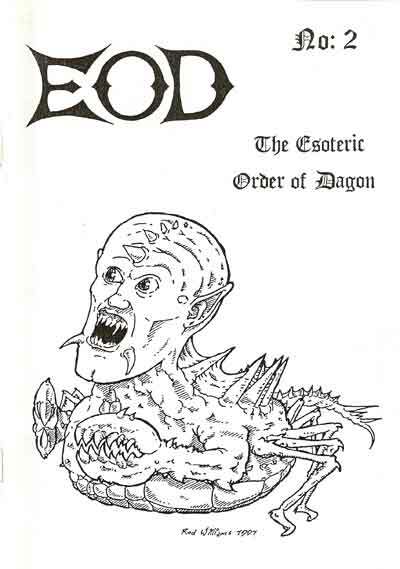 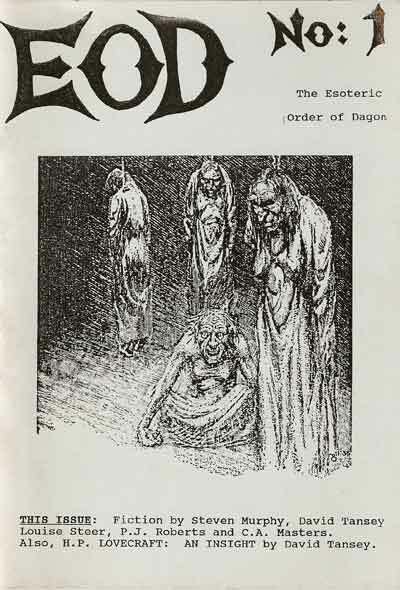 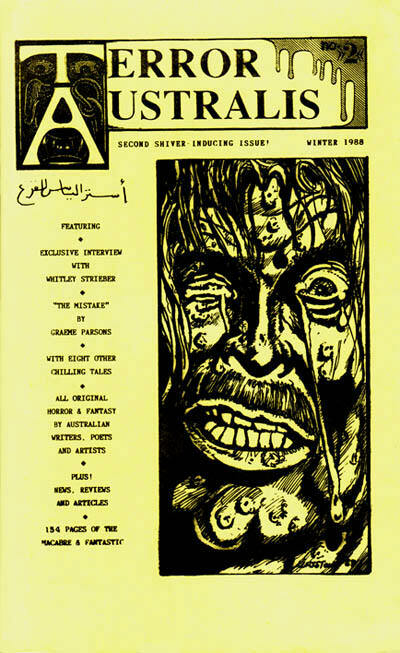 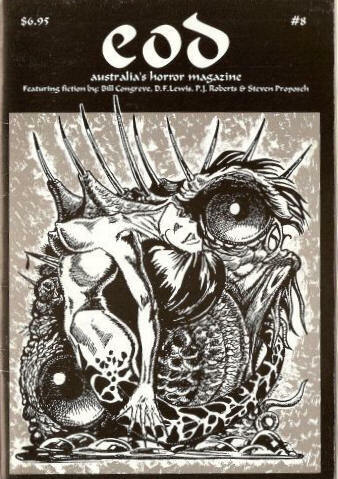 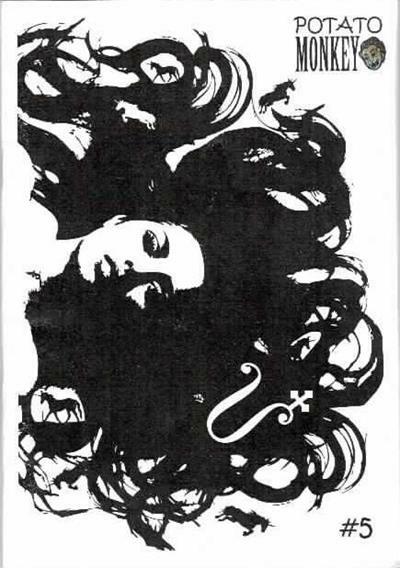 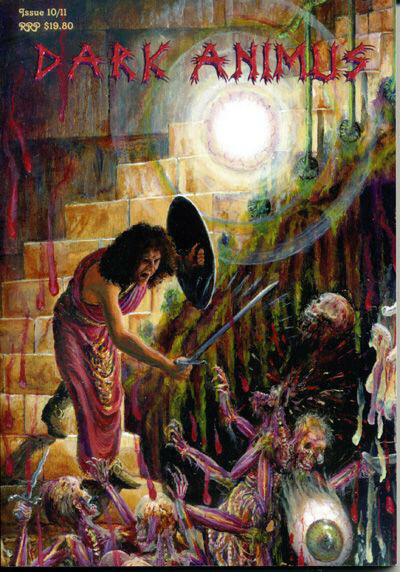 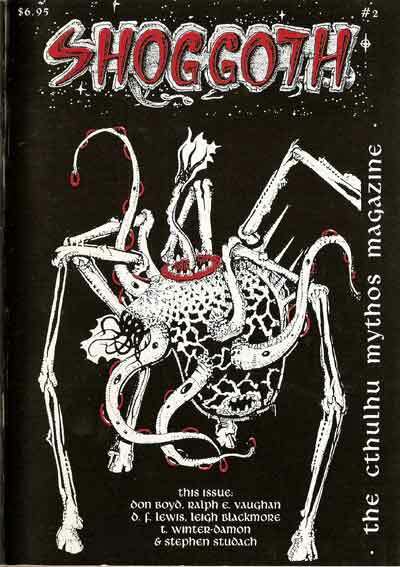 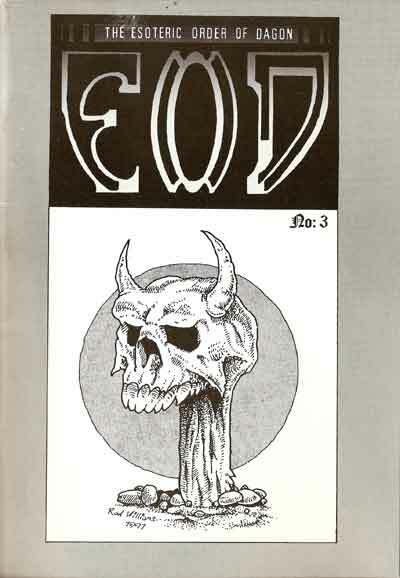 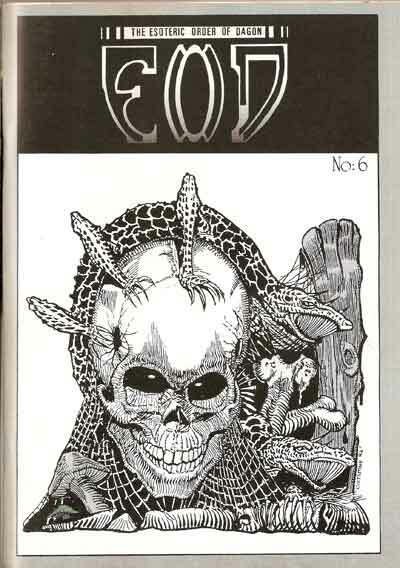 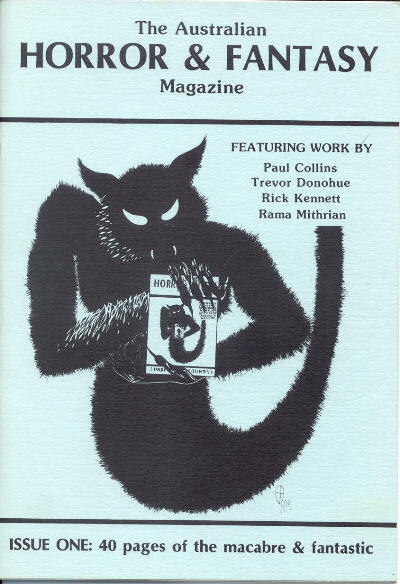 Fanzine, "The Esoteric Order of Dagon". 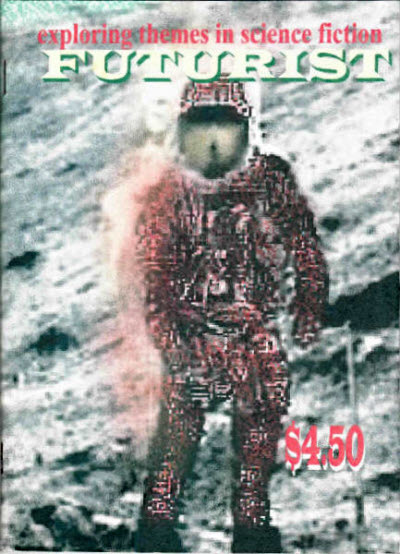 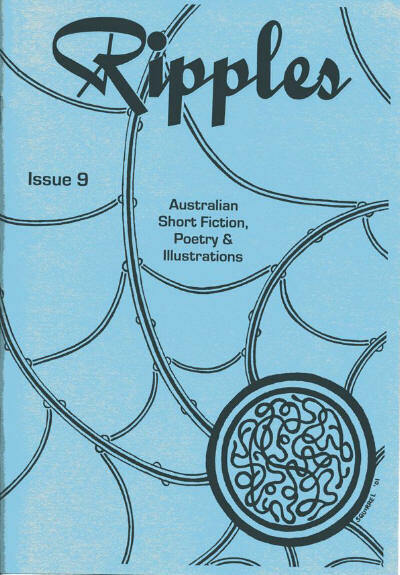 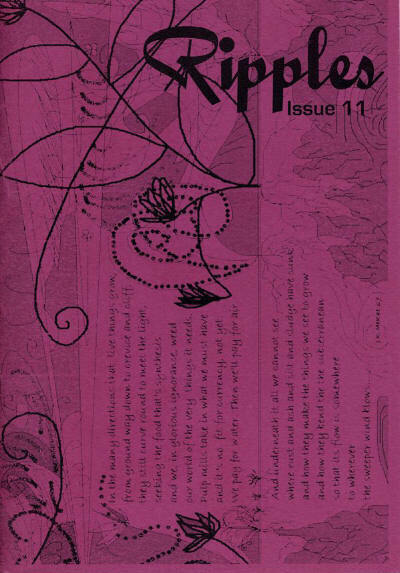 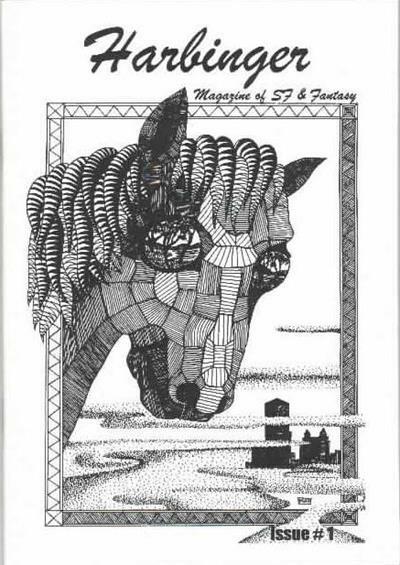 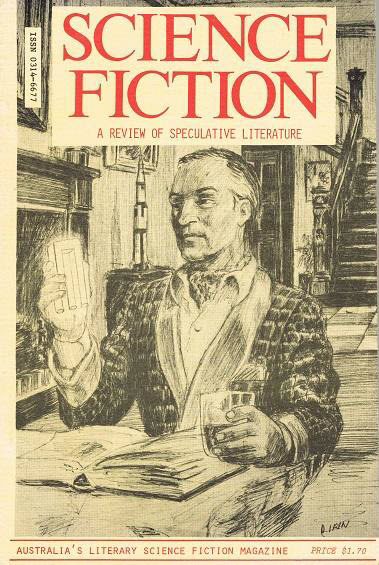 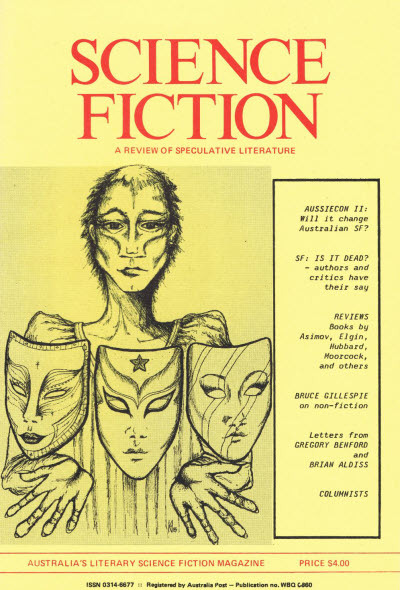 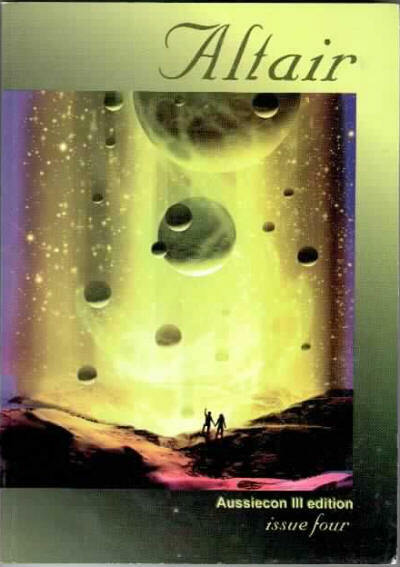 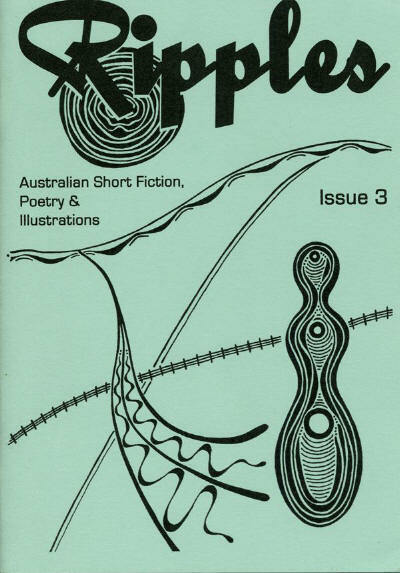 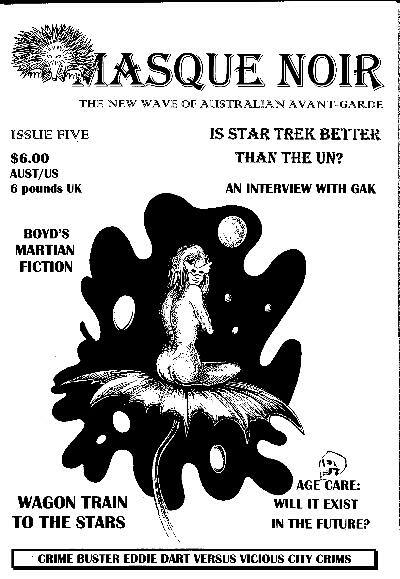 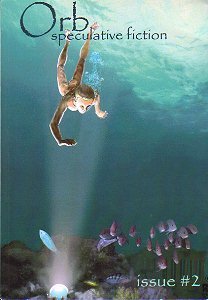 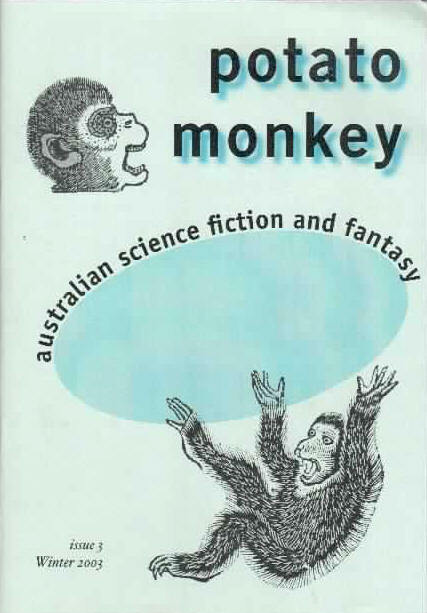 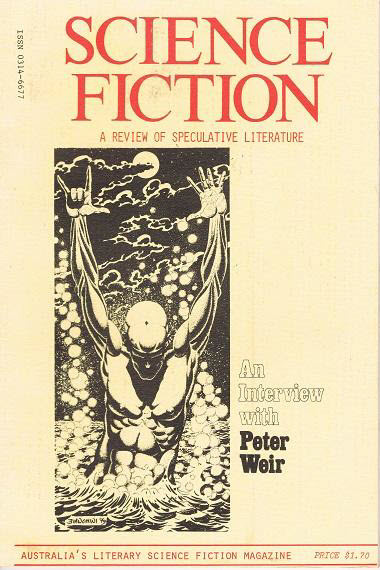 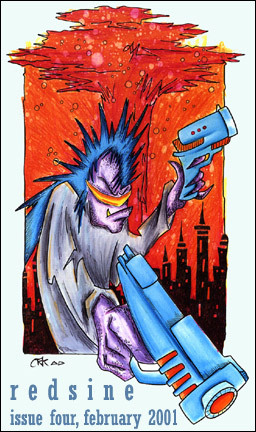 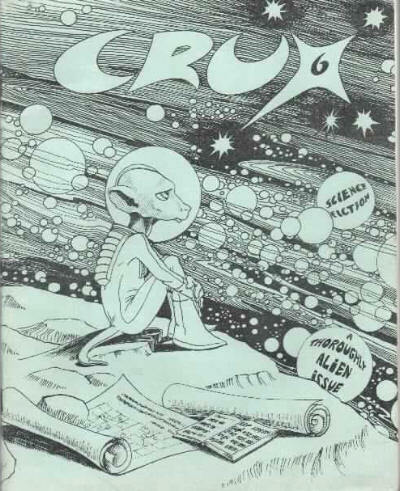 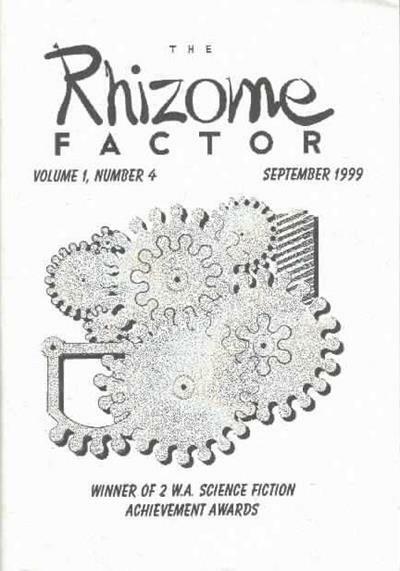 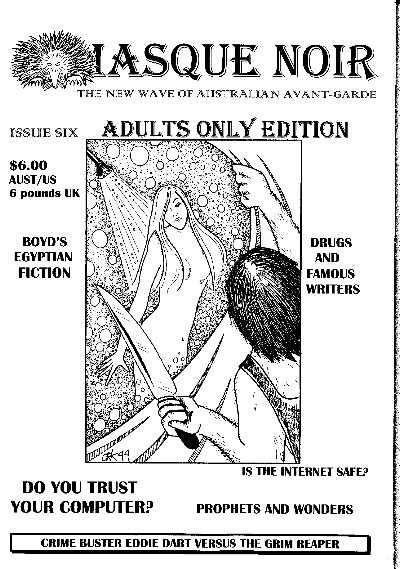 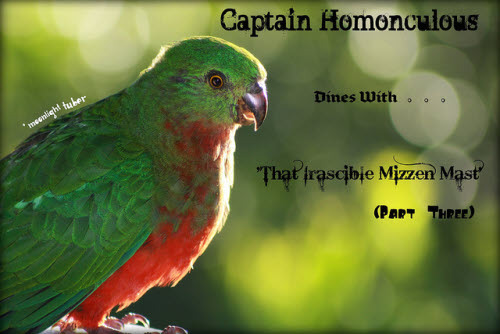 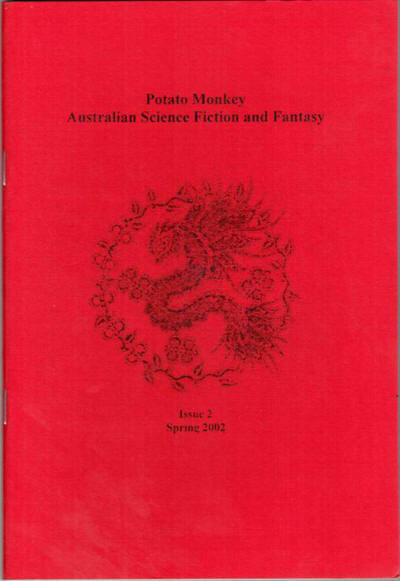 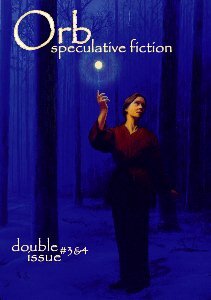 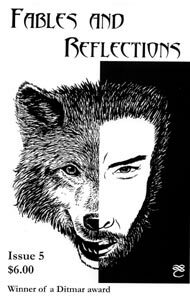 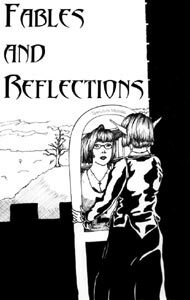 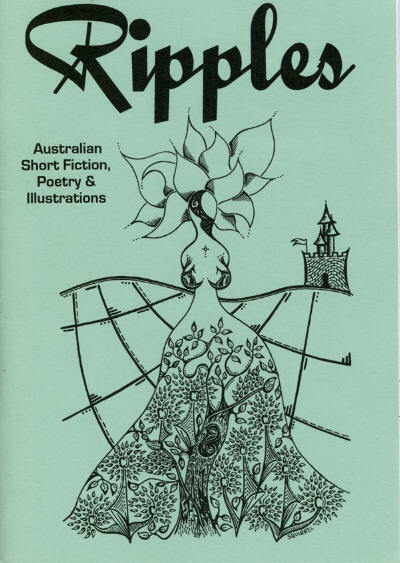 Australian fanzine of Fiction and Non-fiction in the genres of Speculative Fiction, Science Fiction, Fantasy and Magic Realism. 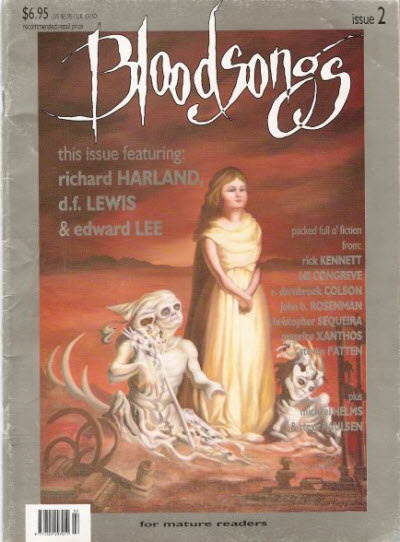 Contents mostly reprints from US magazines but a few new stories. 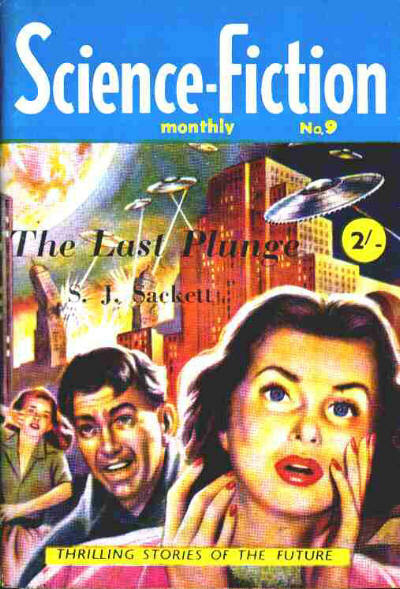 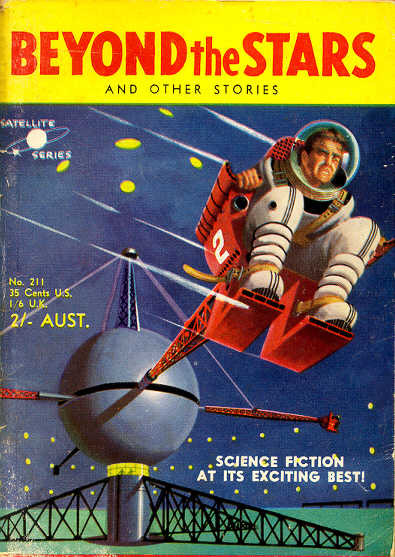 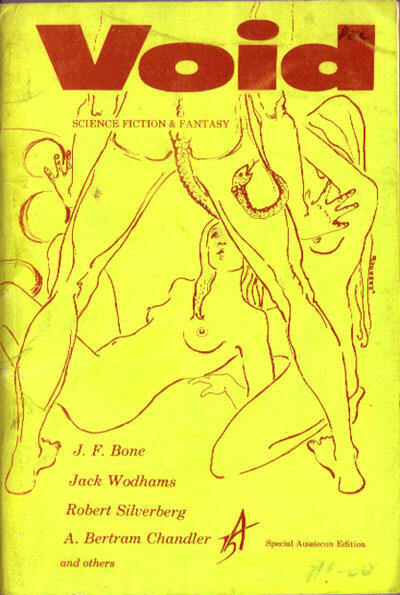 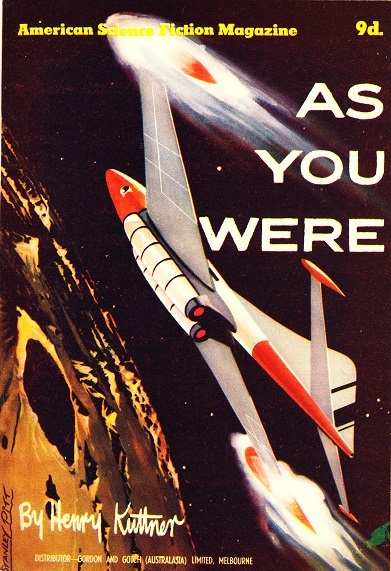 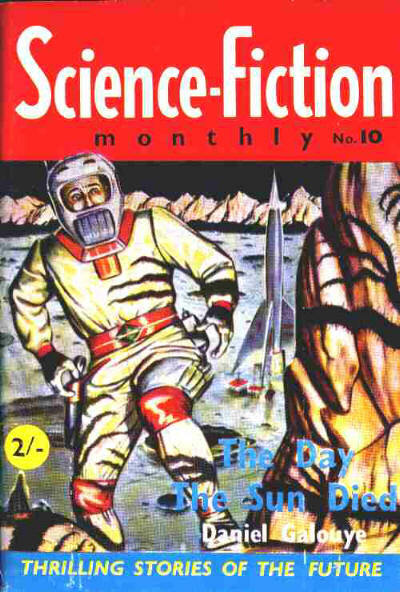 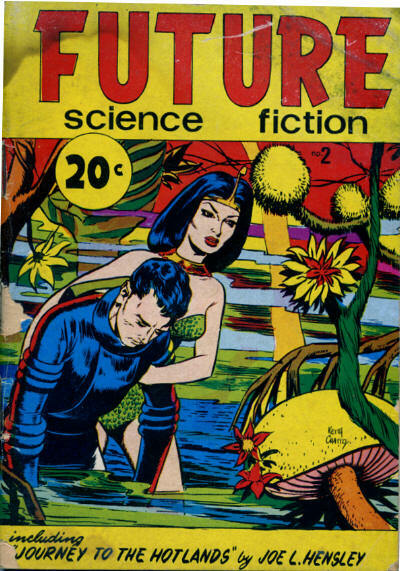 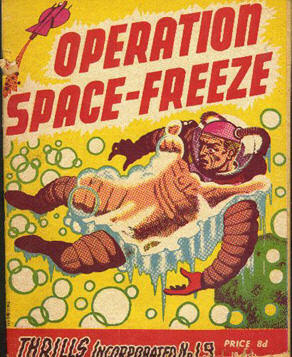 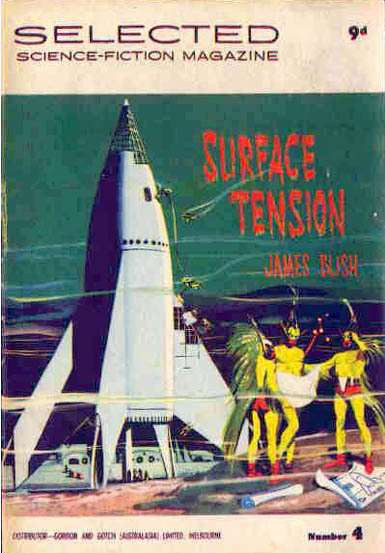 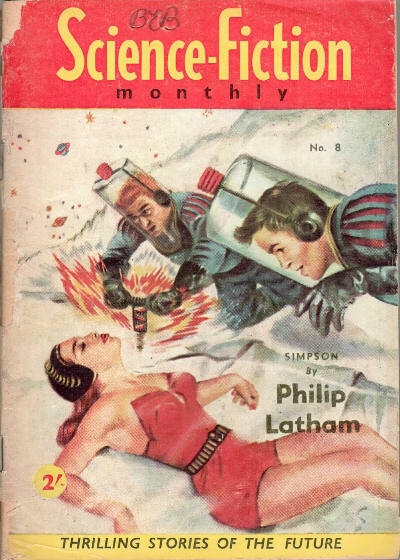 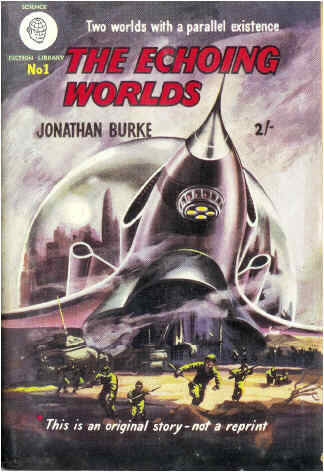 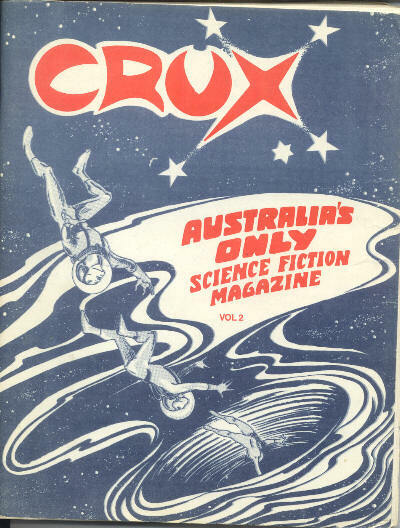 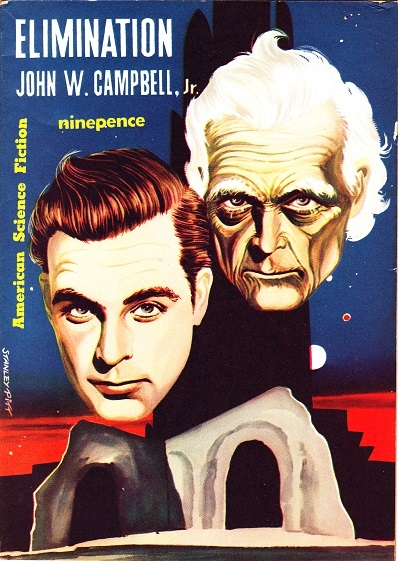 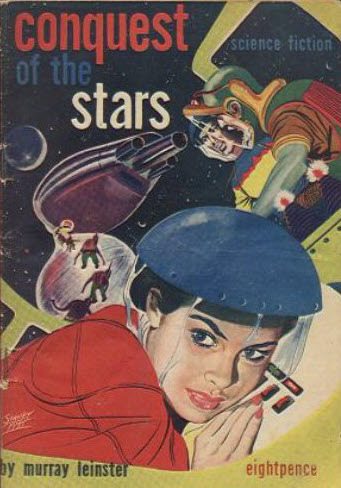 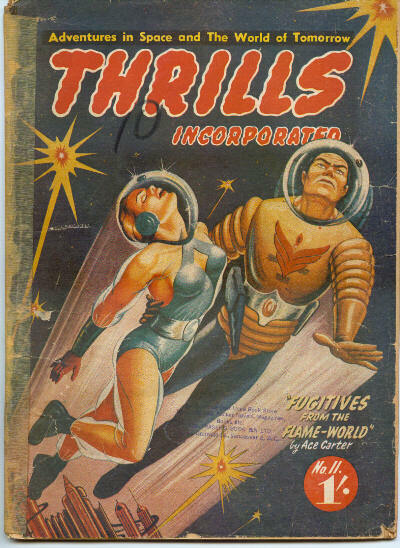 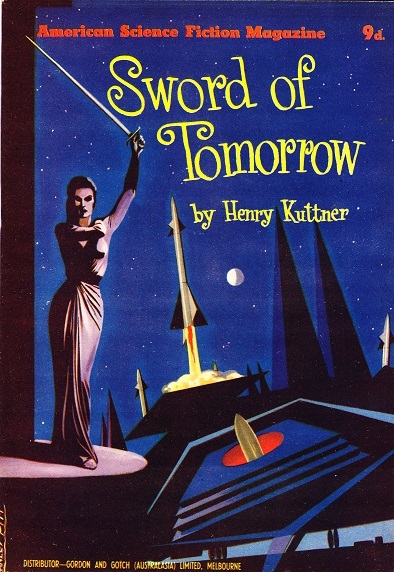 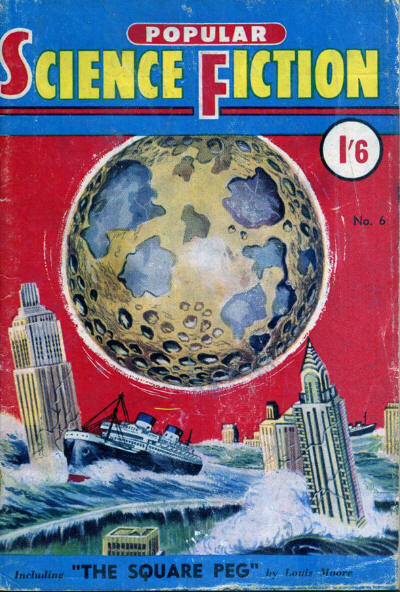 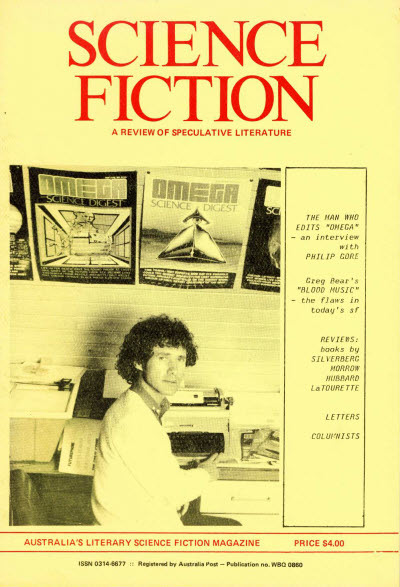 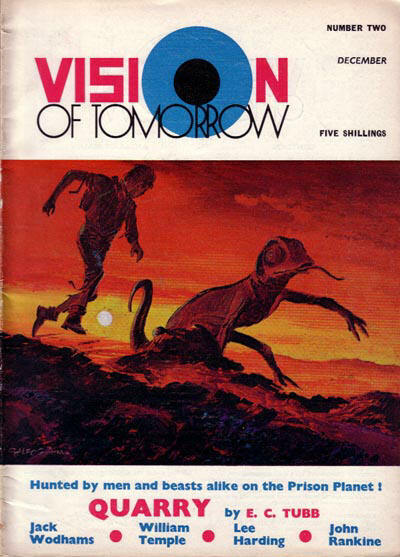 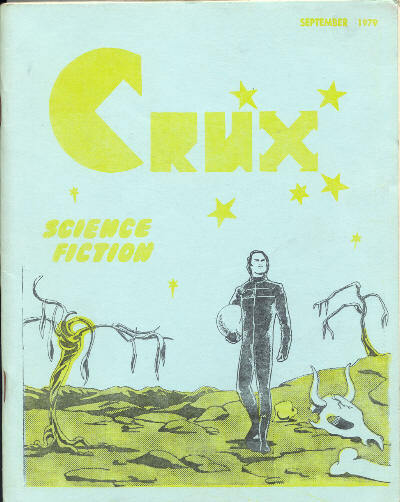 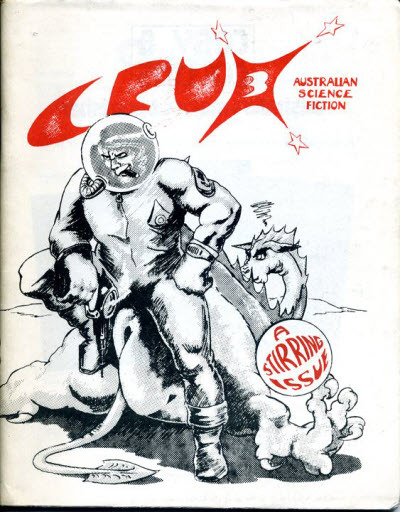 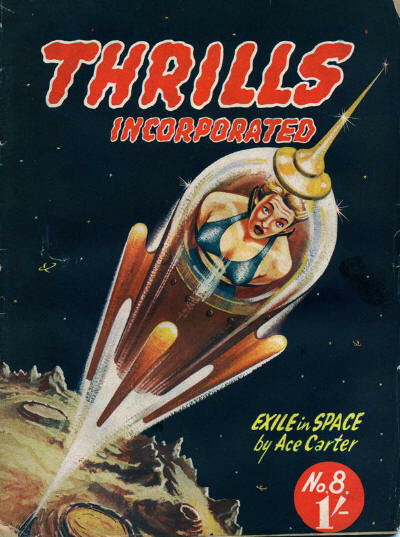 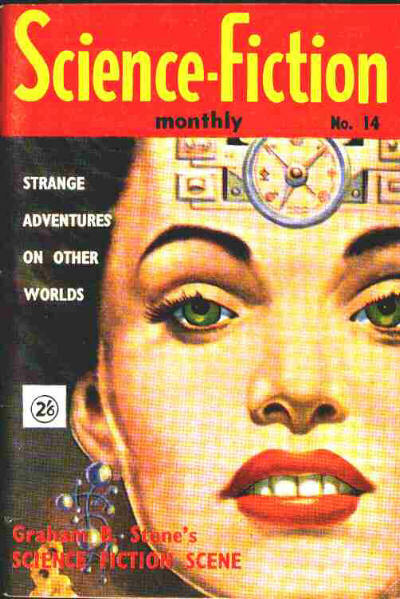 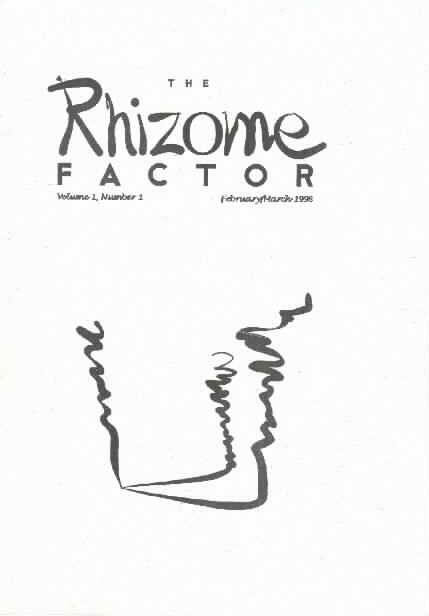 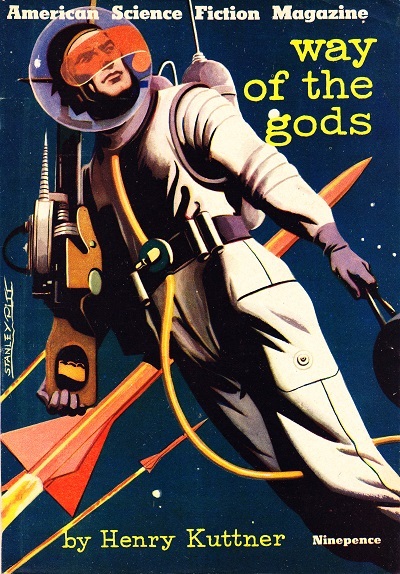 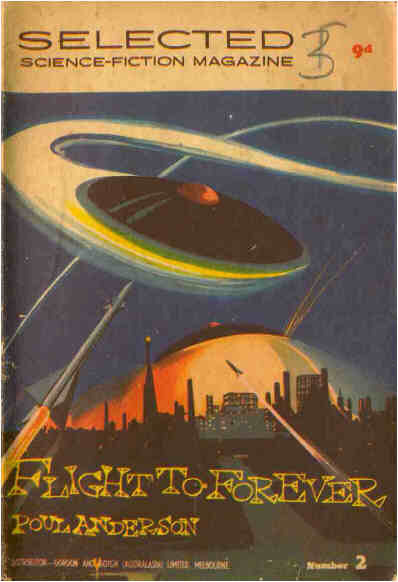 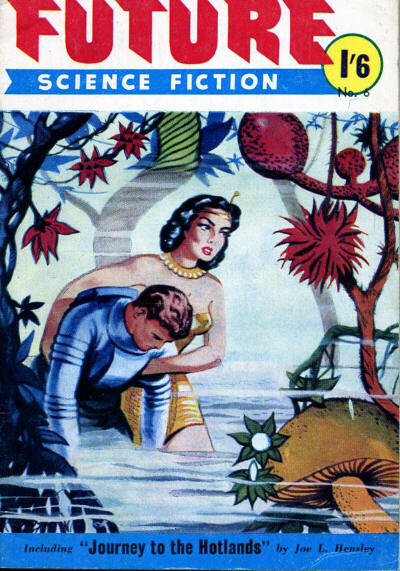 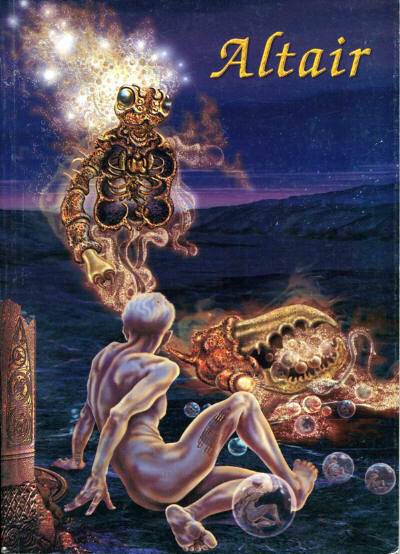 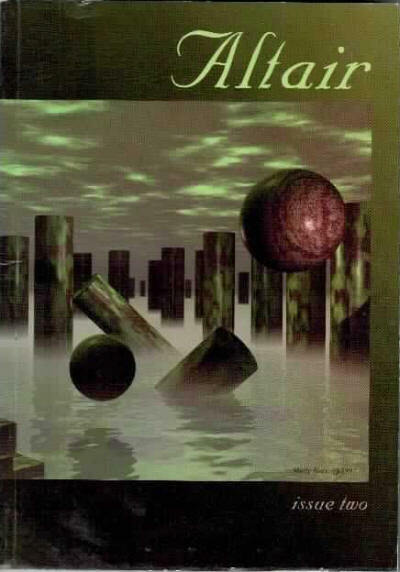 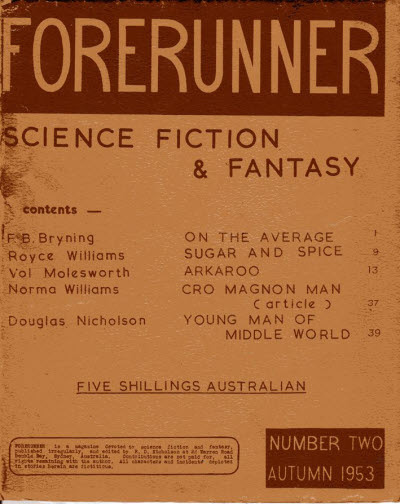 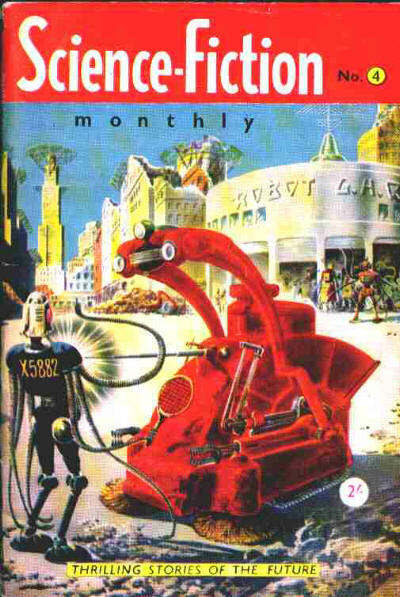 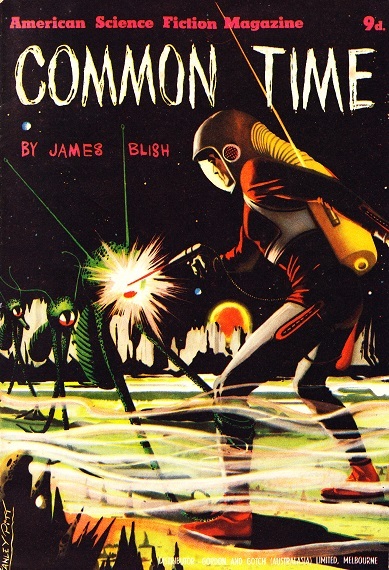 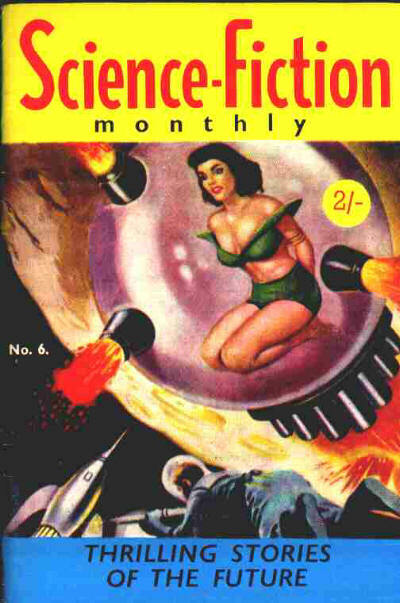 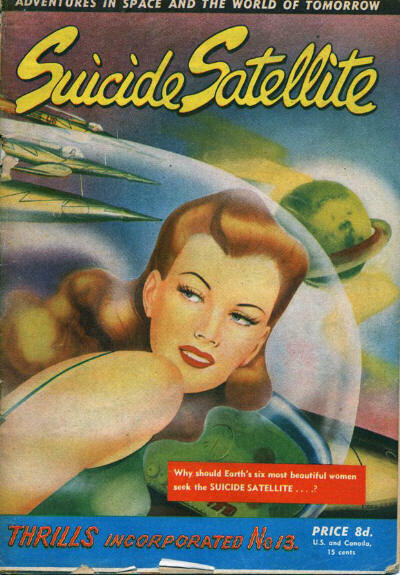 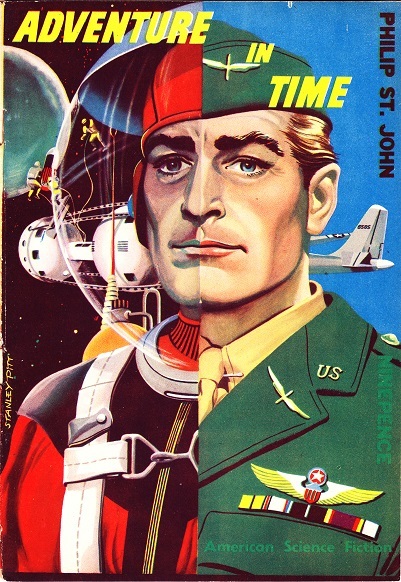 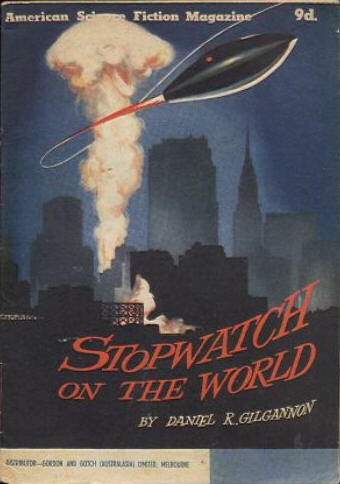 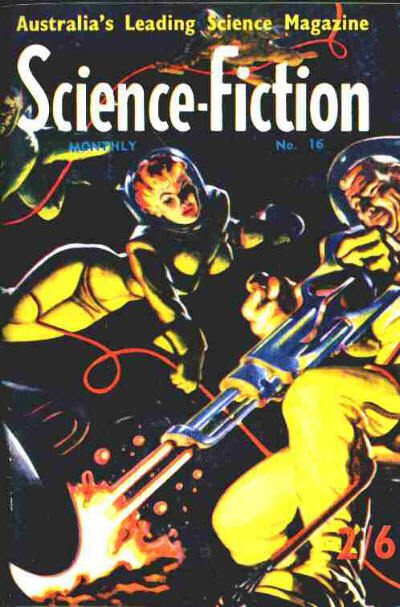 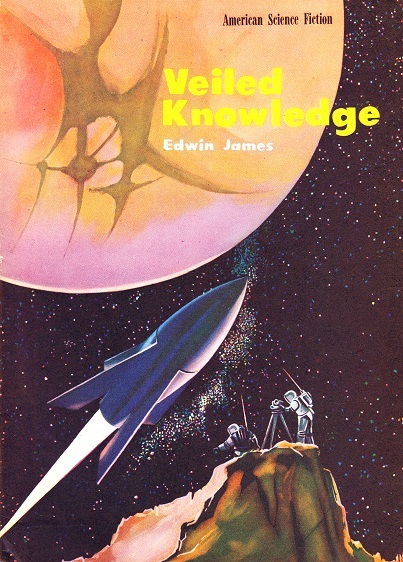 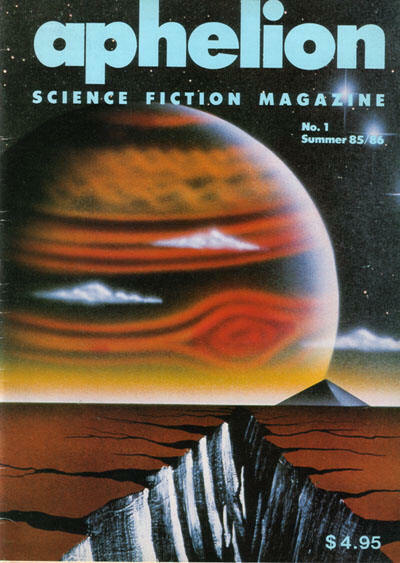 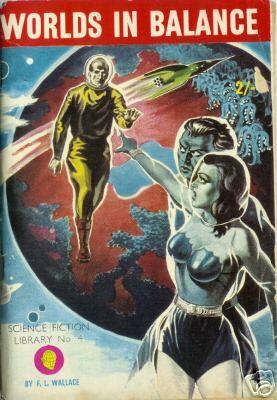 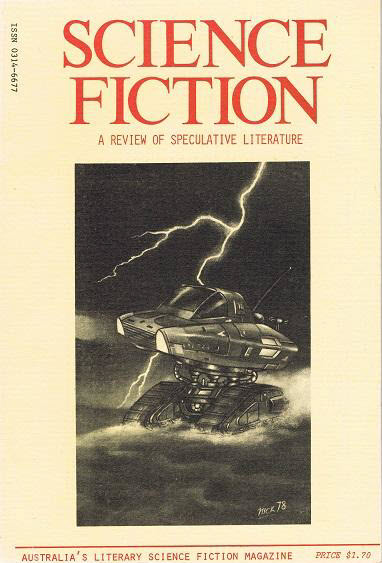 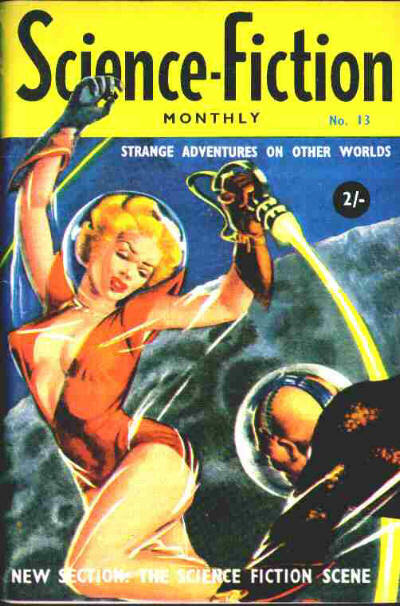 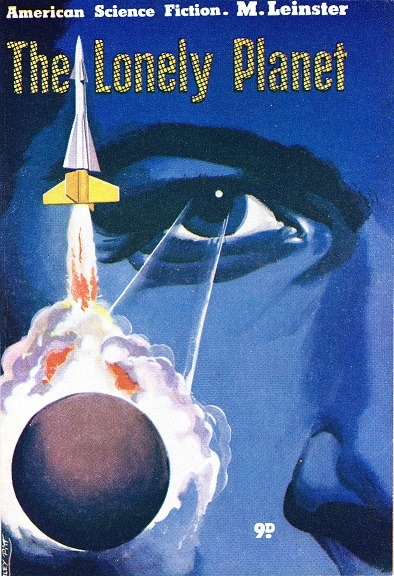 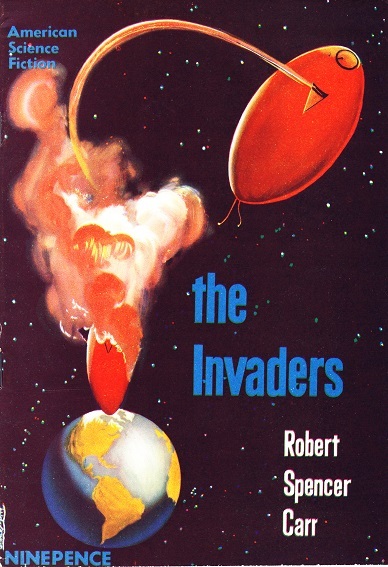 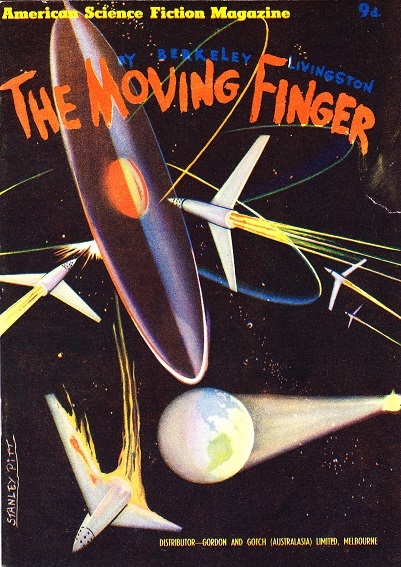 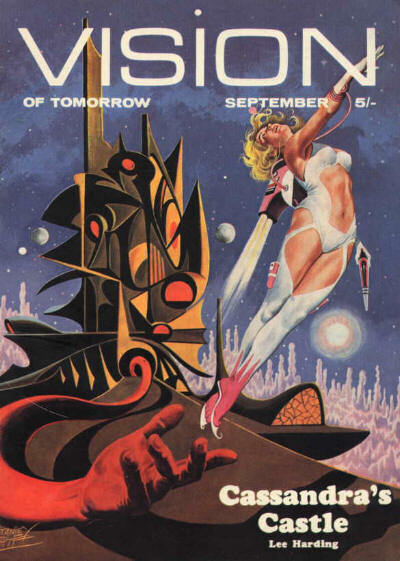 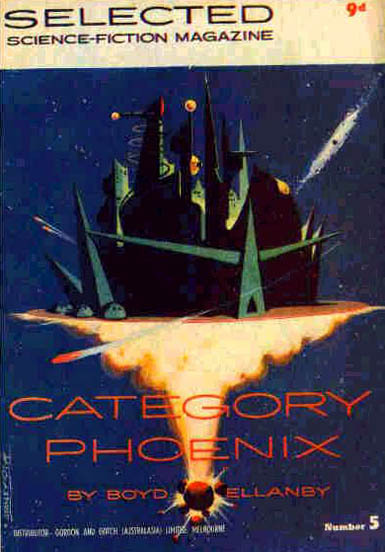 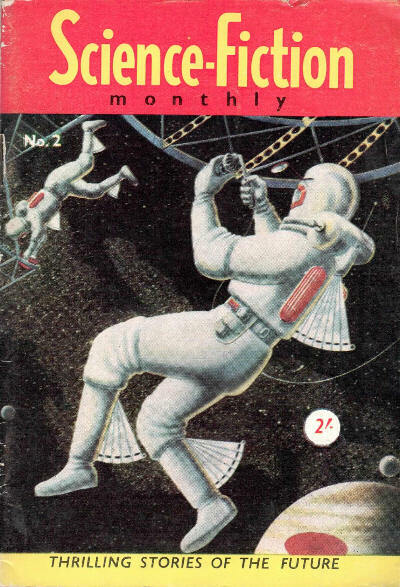 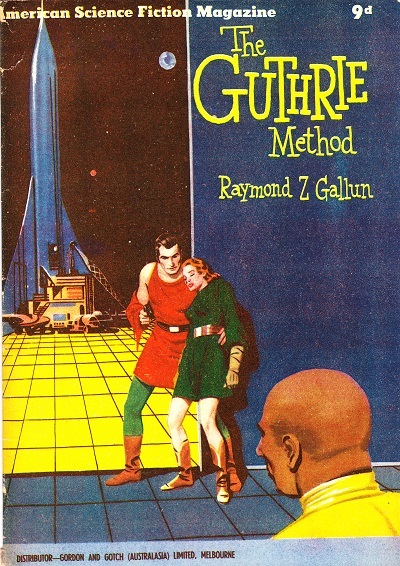 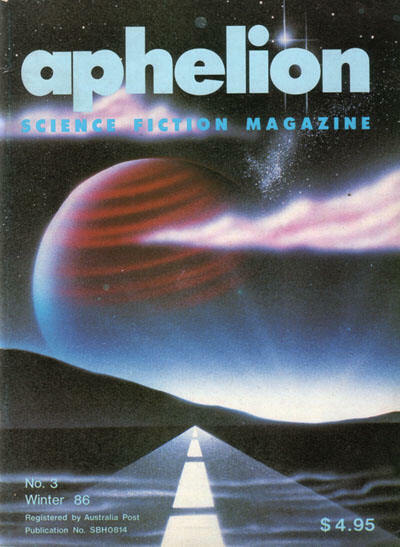 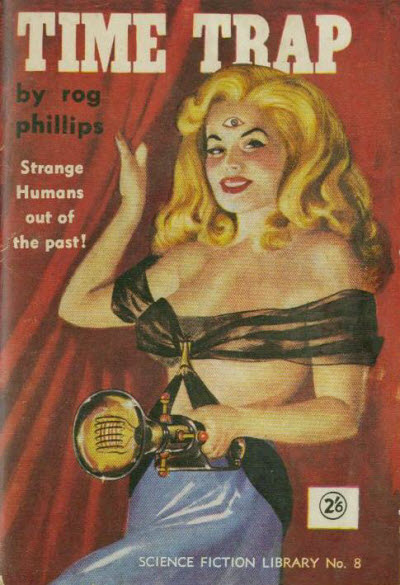 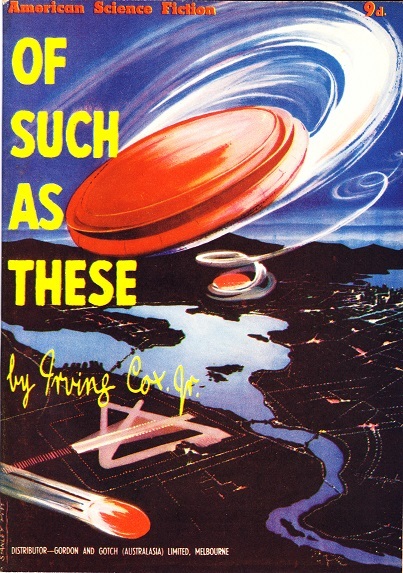 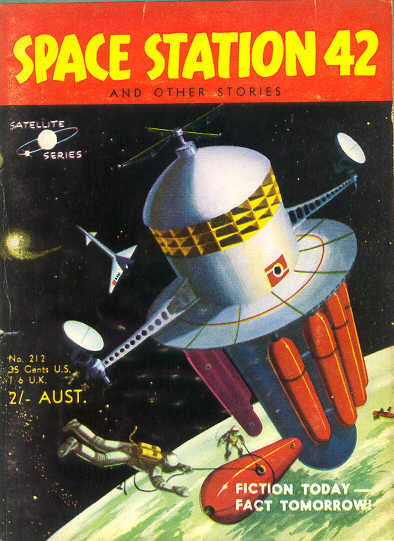 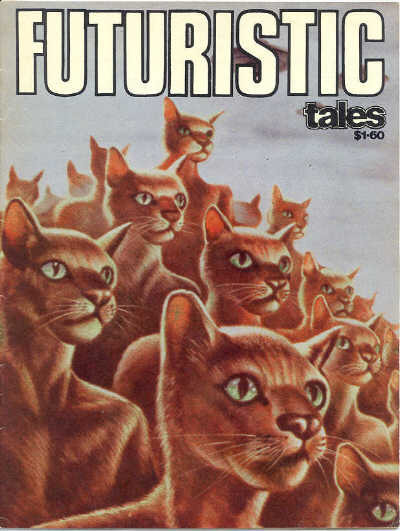 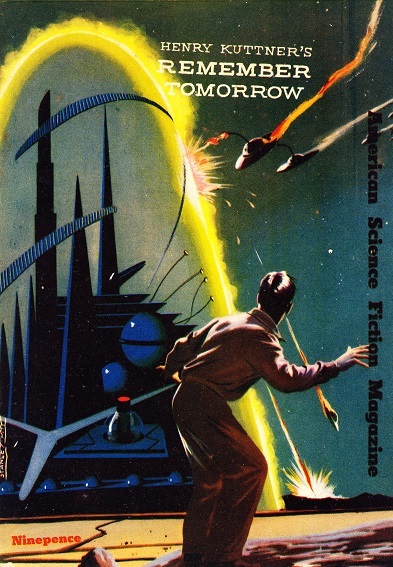 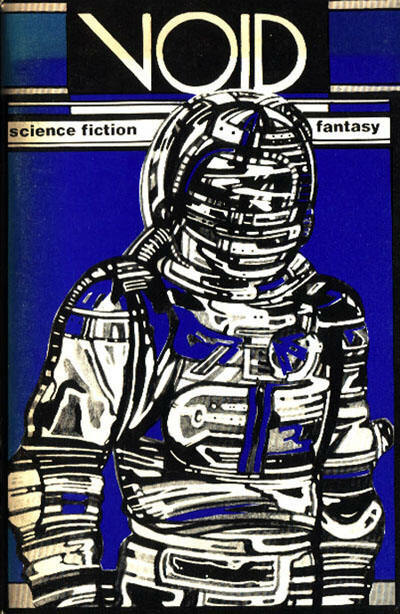 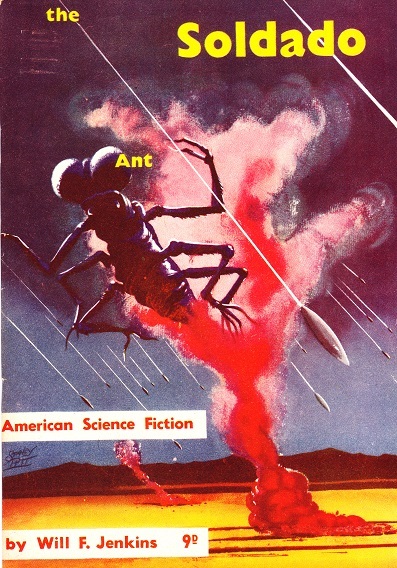 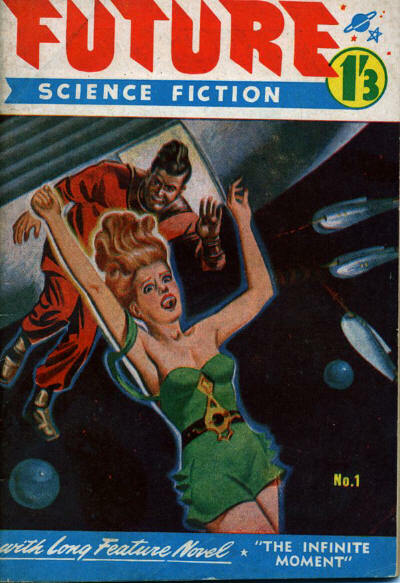 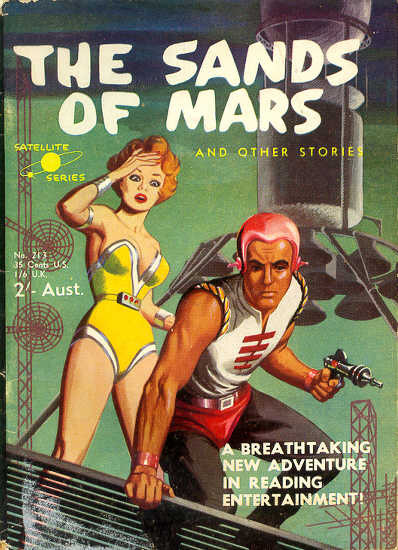 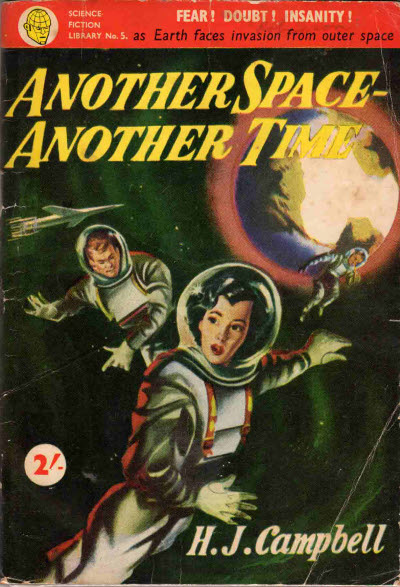 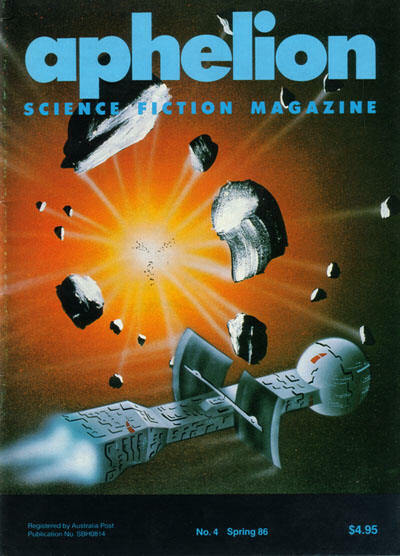 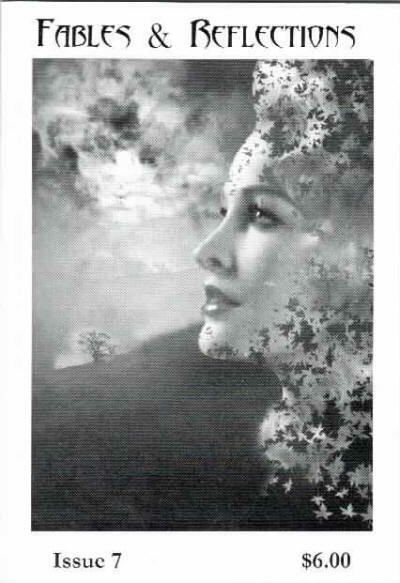 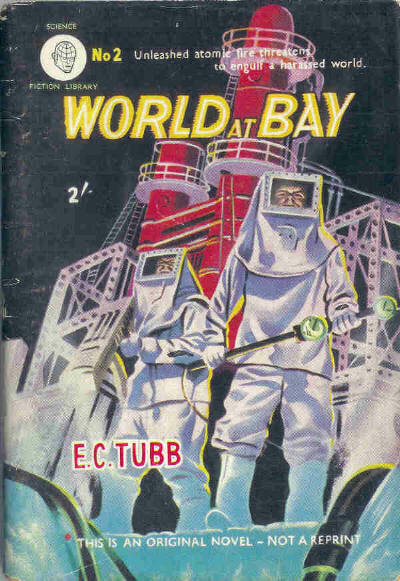 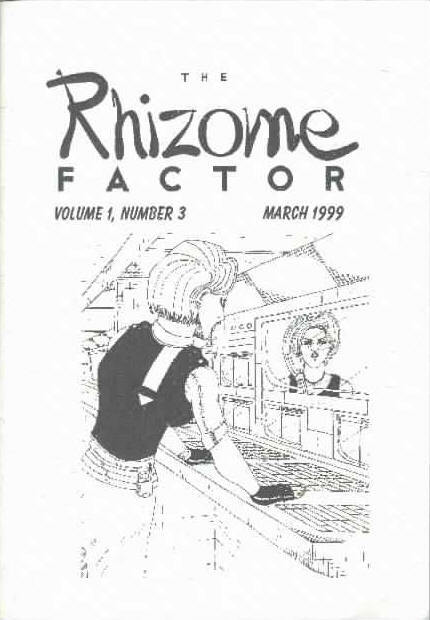 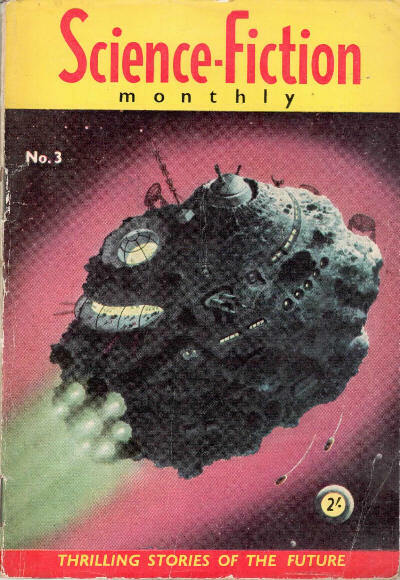 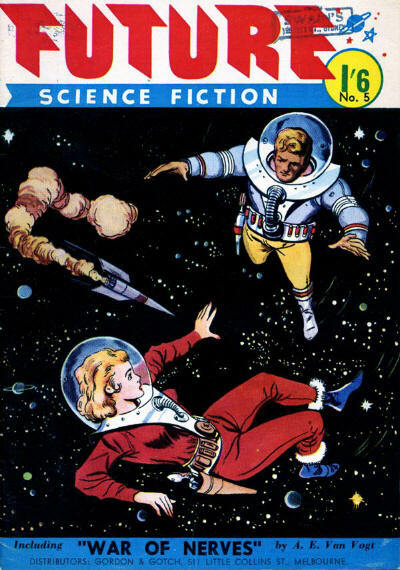 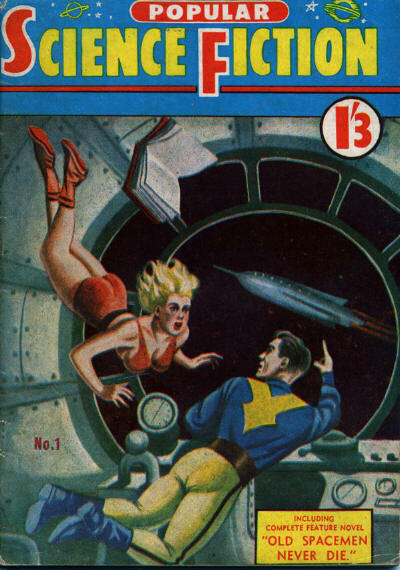 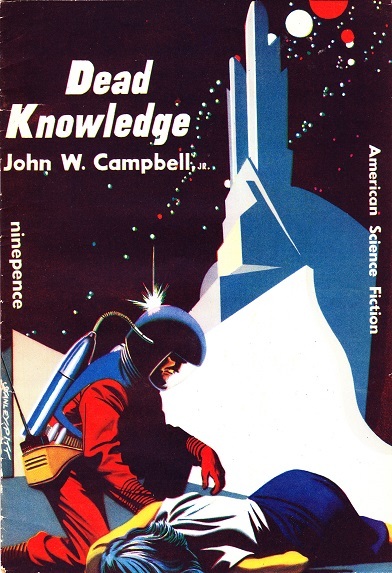 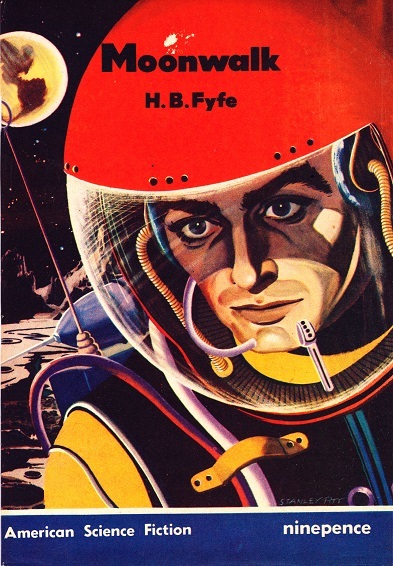 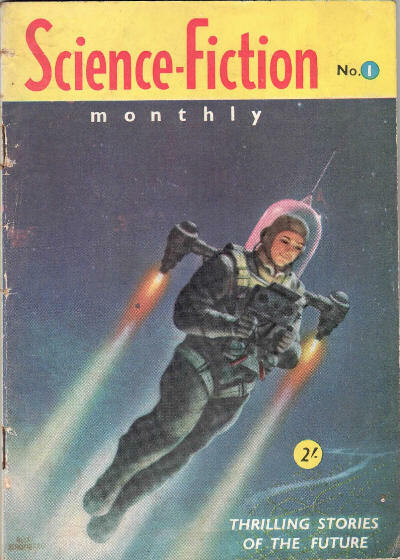 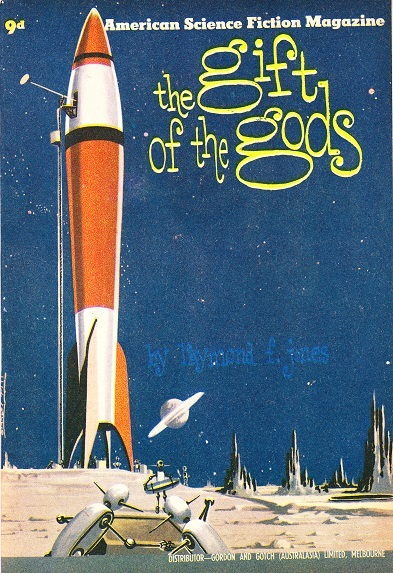 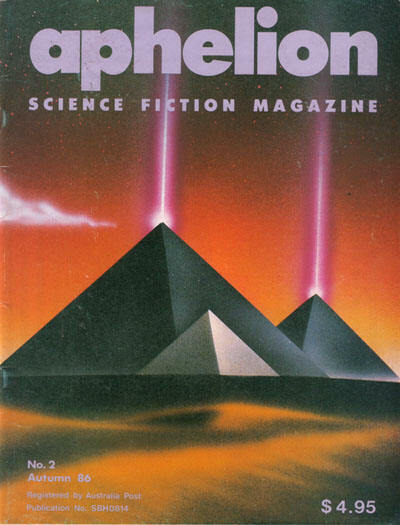 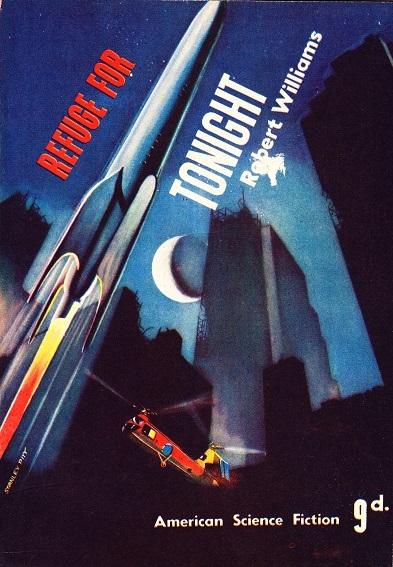 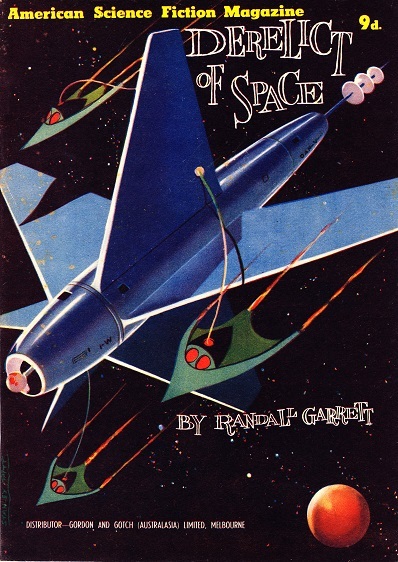 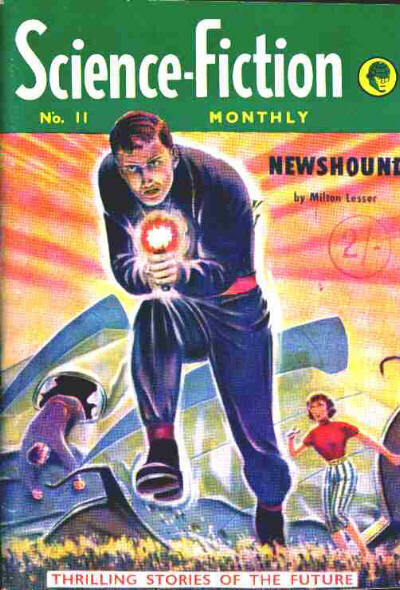 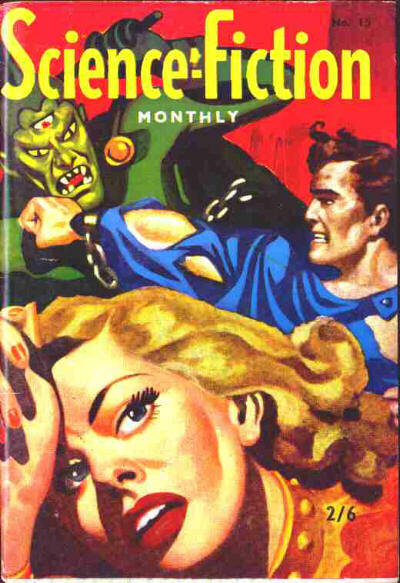 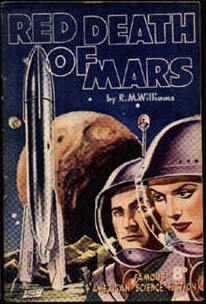 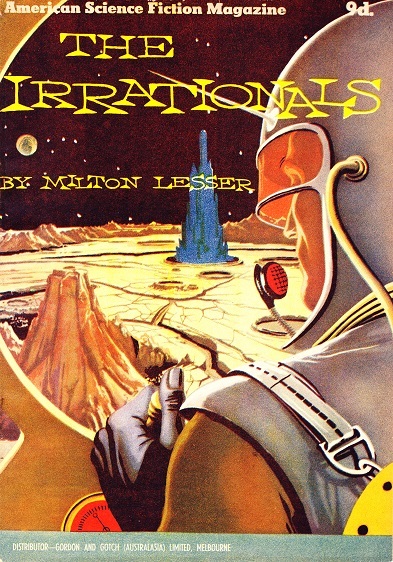 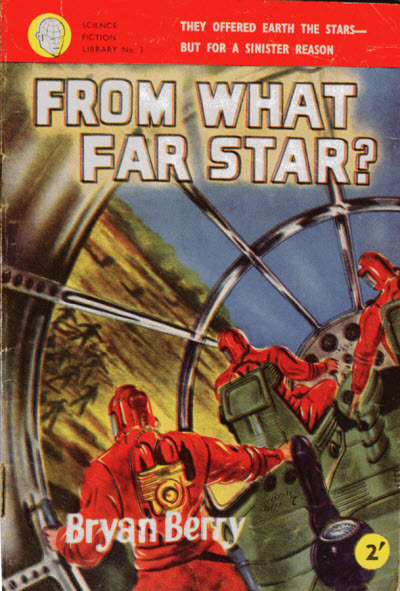 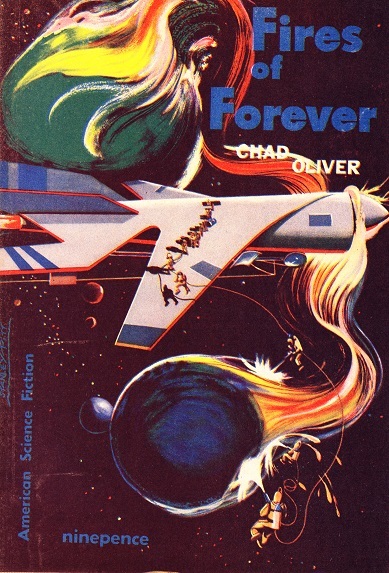 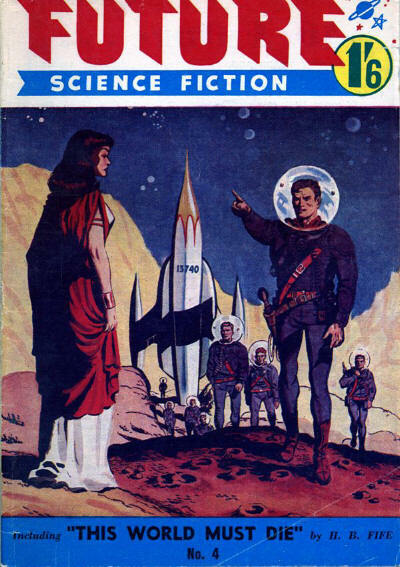 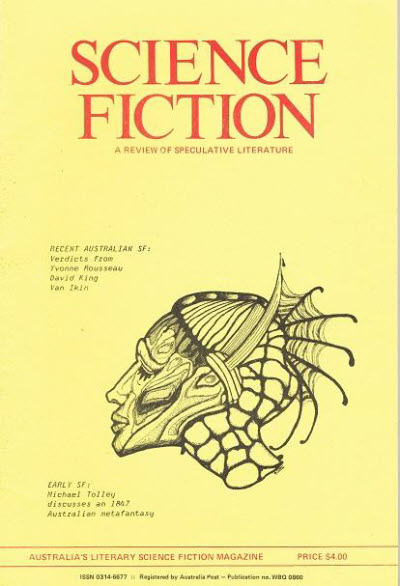 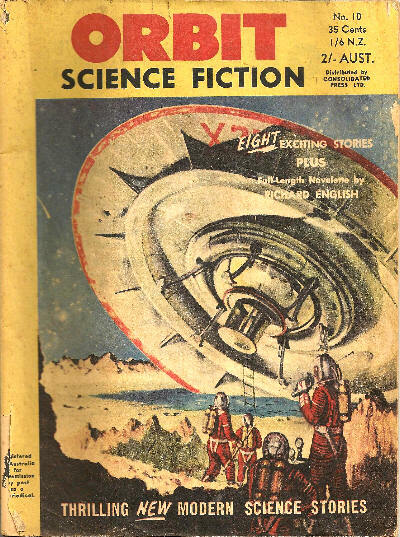 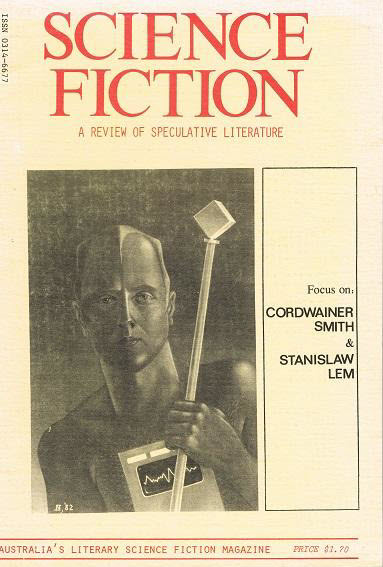 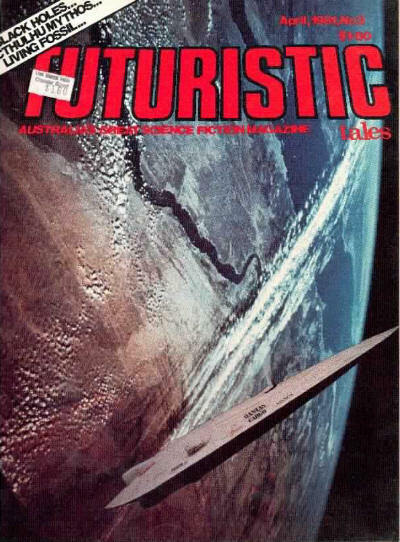 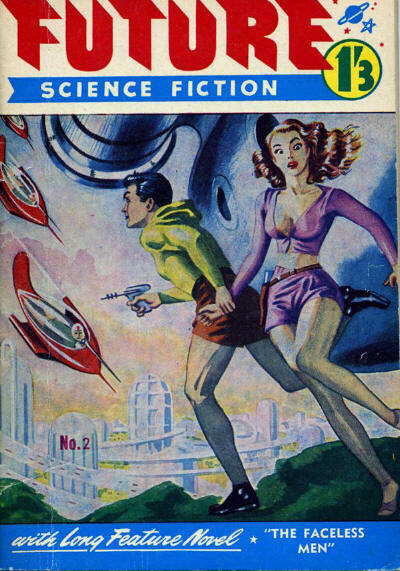 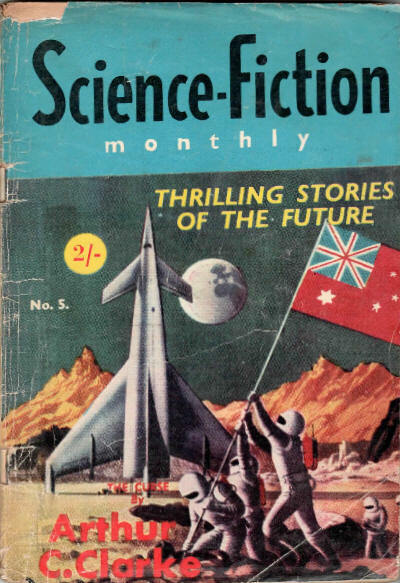 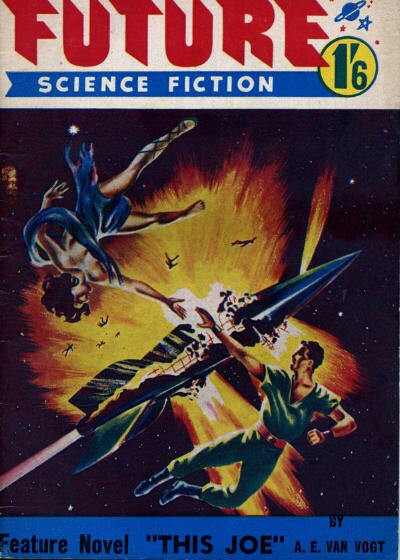 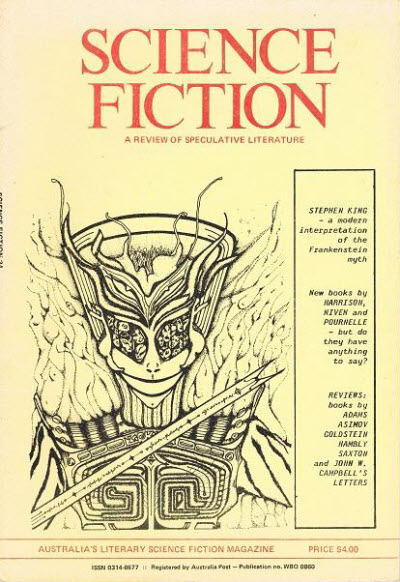 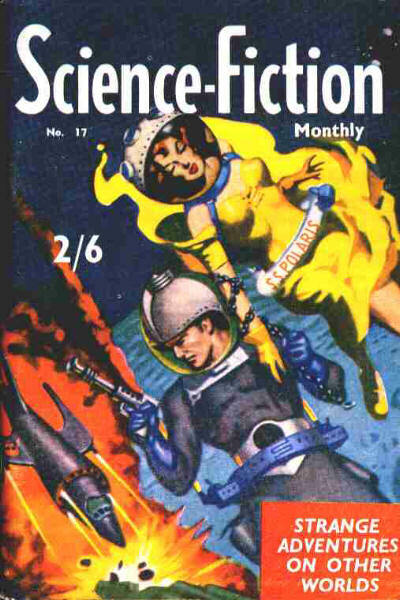 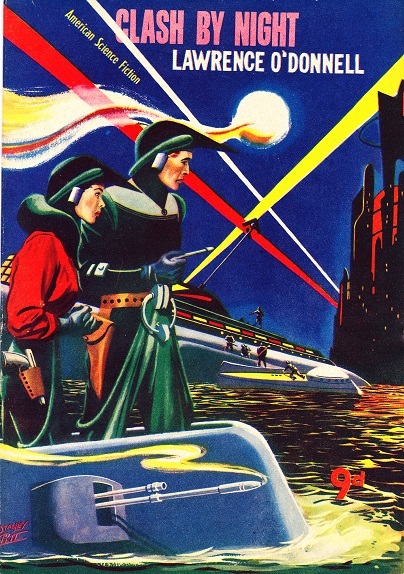 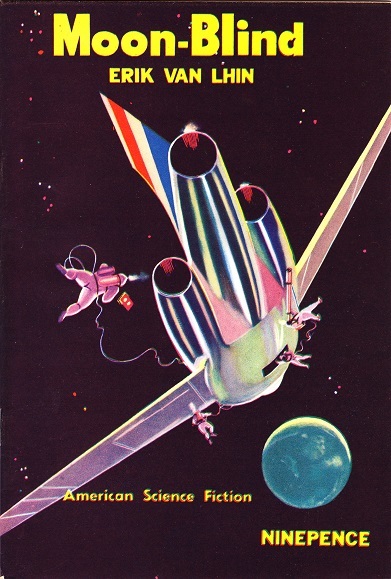 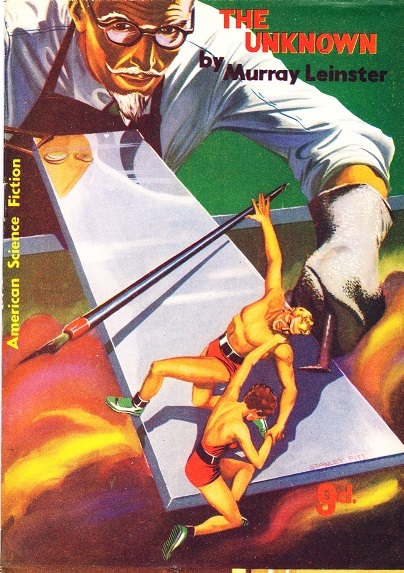 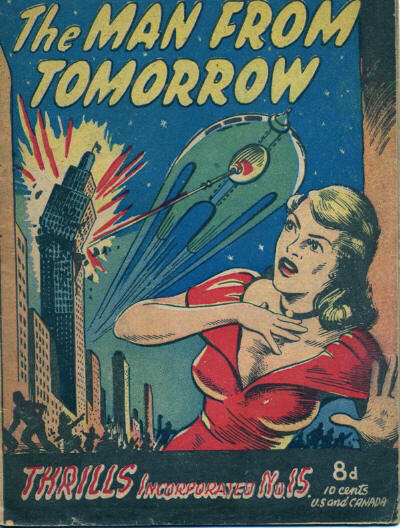 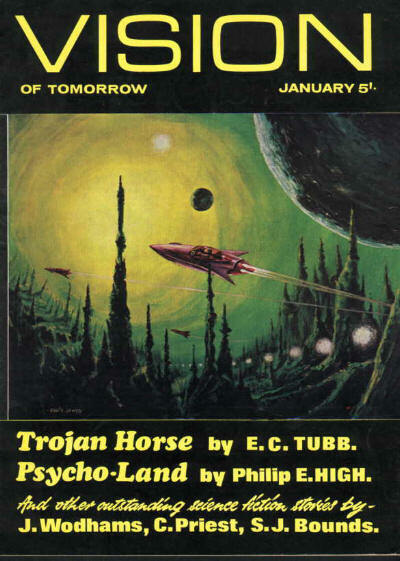 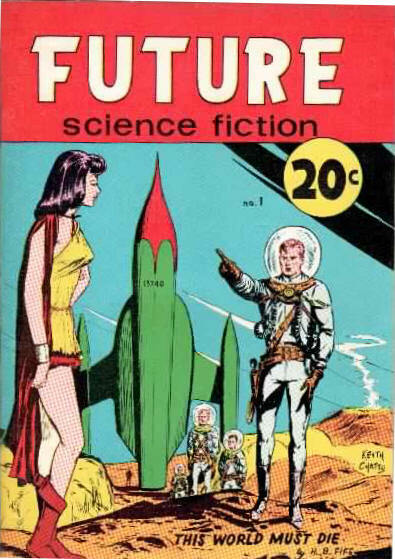 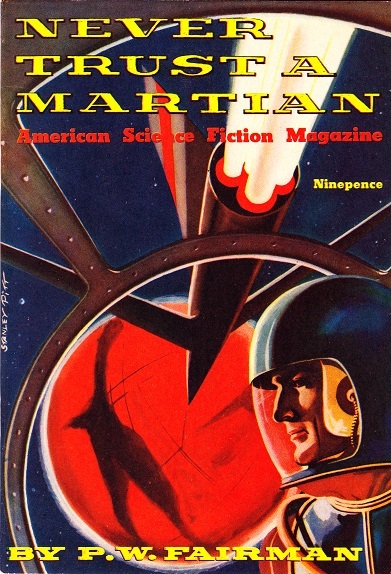 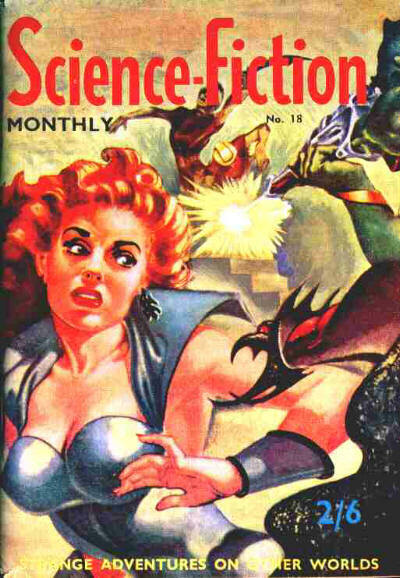 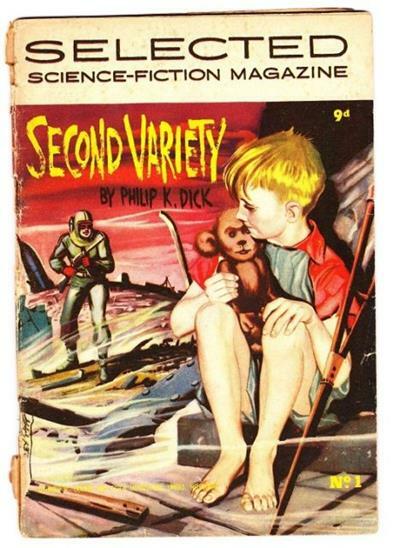 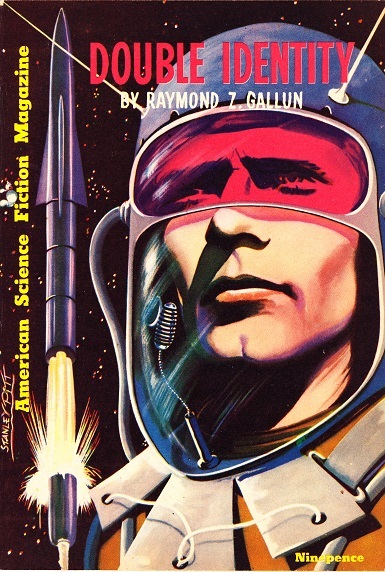 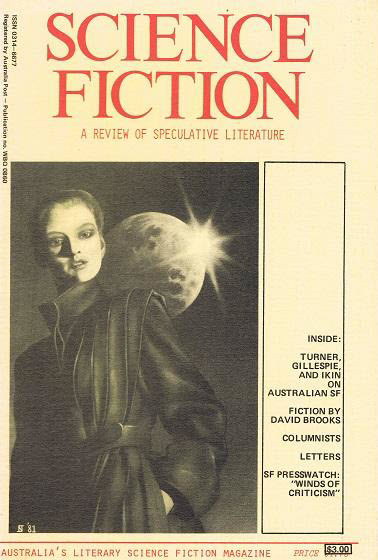 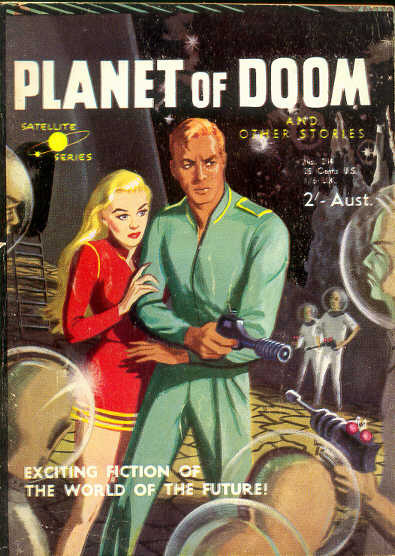 Page Publications of Sydney reprinted two issues of Future Science Fiction. 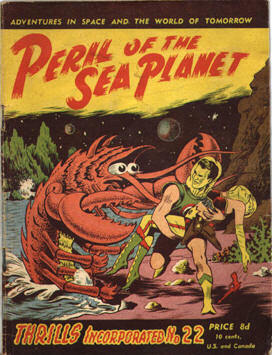 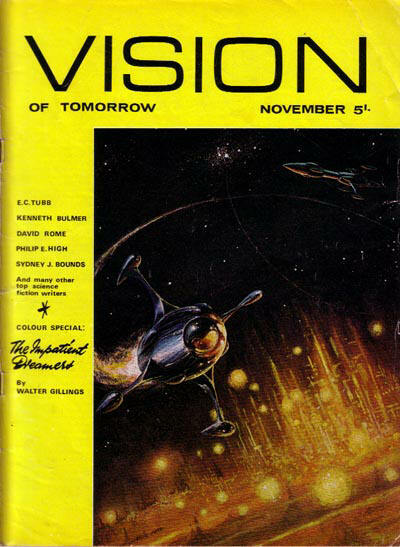 The first issue came out in April 1967 and reprinted issue #4, the second was issued in September 1967 and reprinted issue #6. 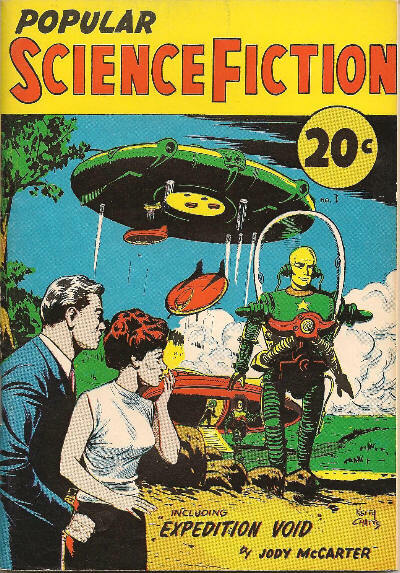 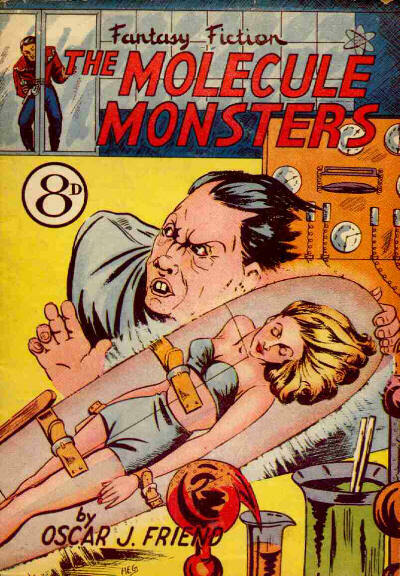 Retitled Futuristic Science for the final issue. 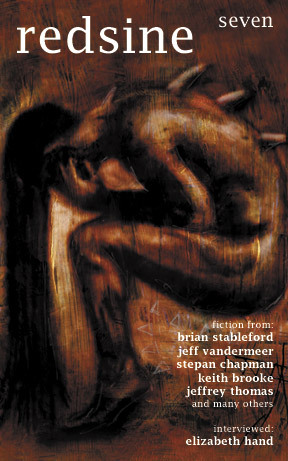 Misanthrope dealt with the dark underbelly of society and the horrors and perversions one would expect to find there. 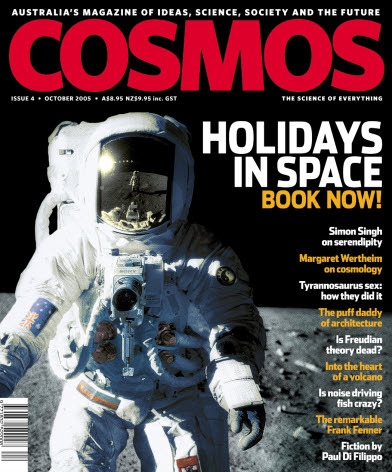 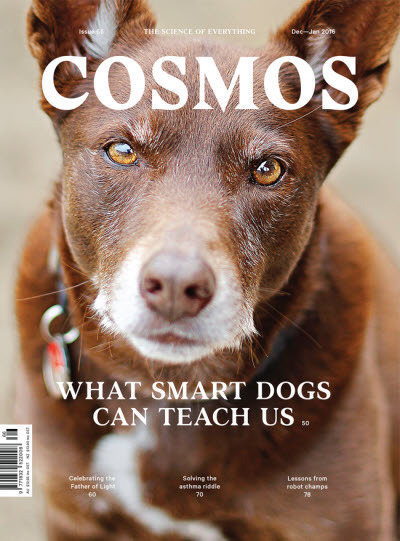 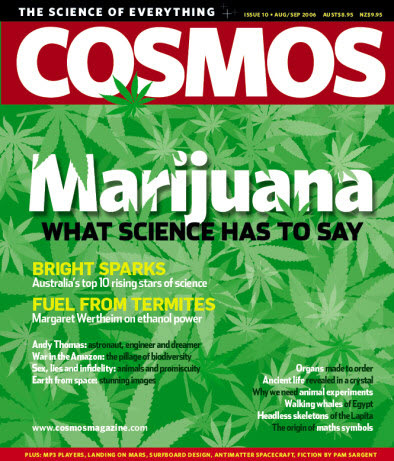 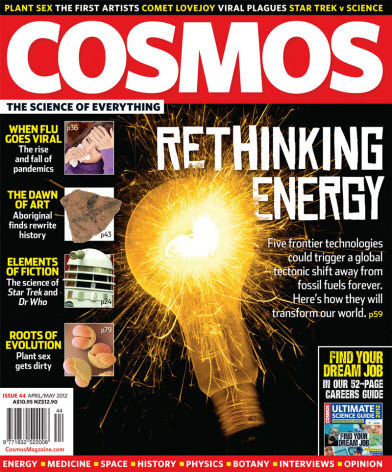 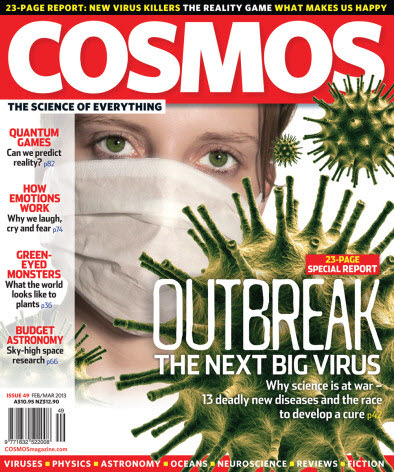 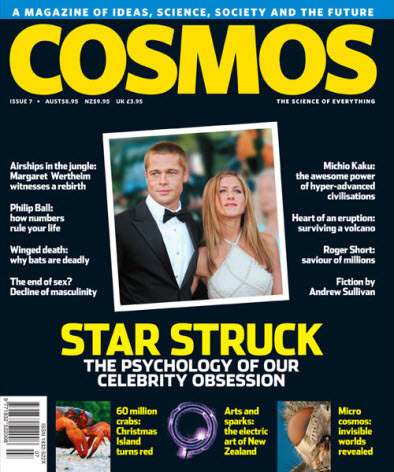 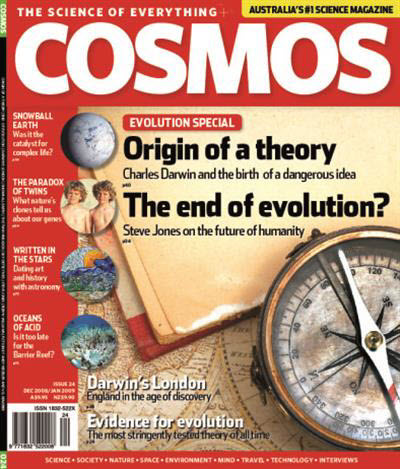 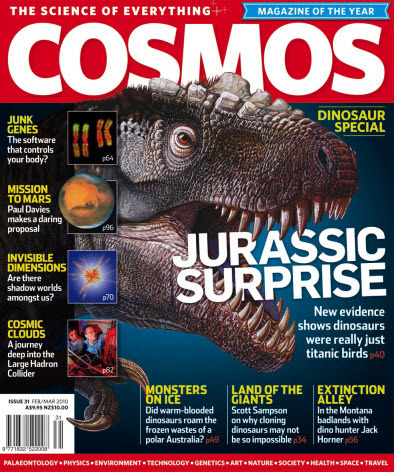 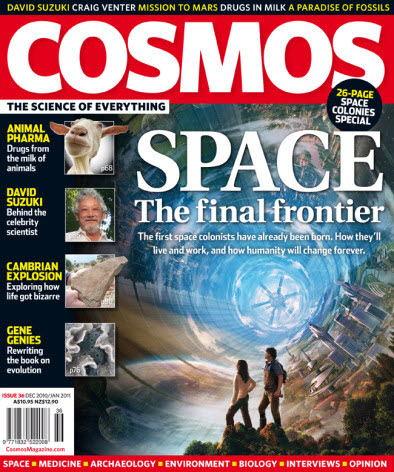 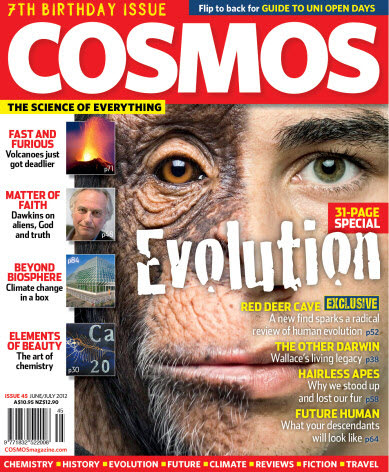 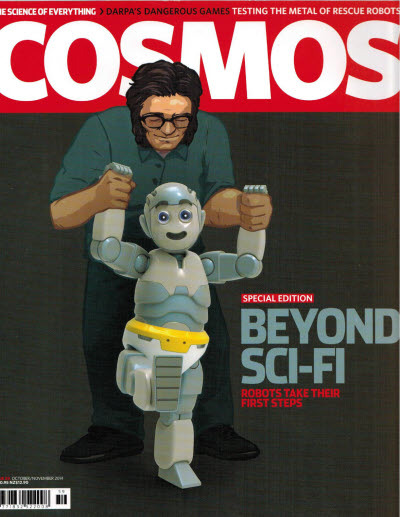 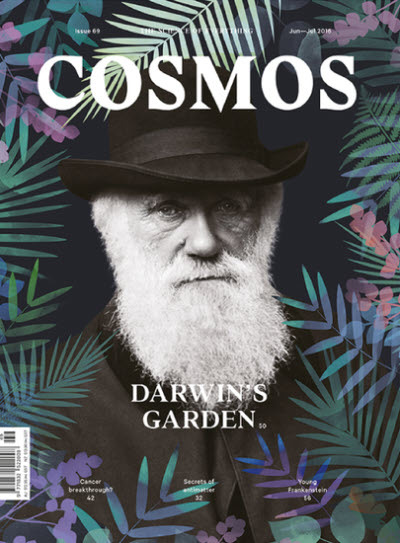 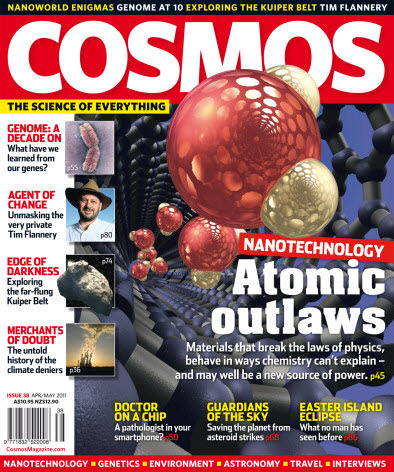 The first issue came out at the end of 1997 -- just in time for that Christmas stocking! 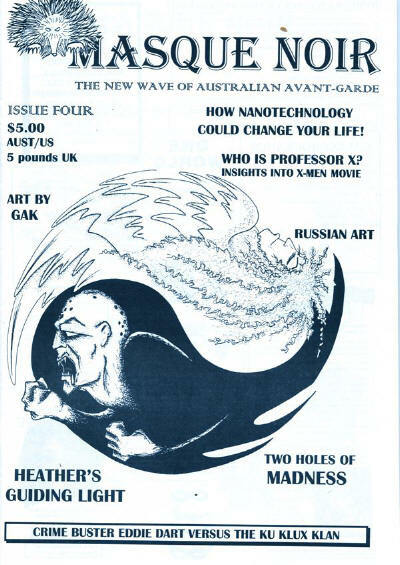 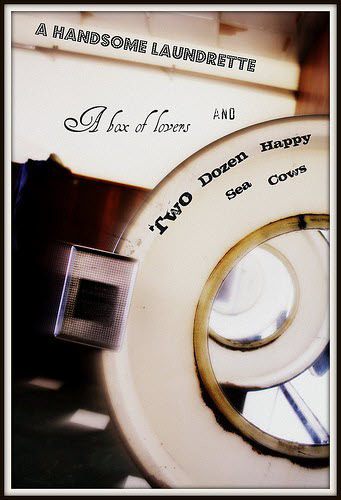 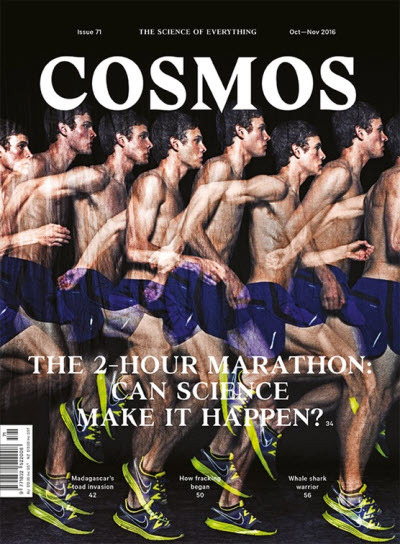 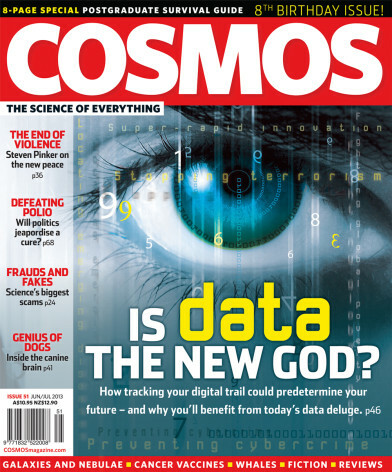 There was a second issue planned, but as often happens with these things, it never eventuated. 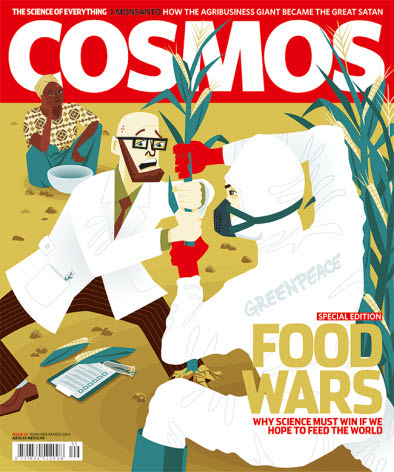 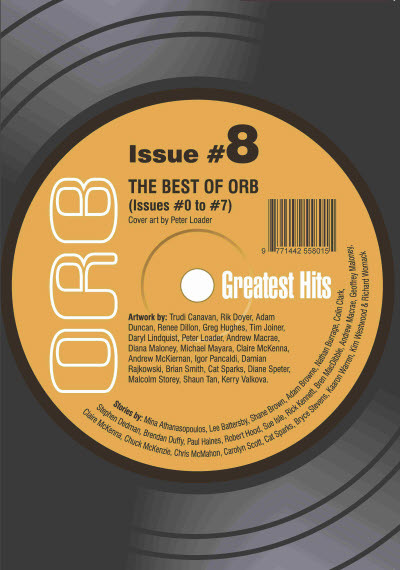 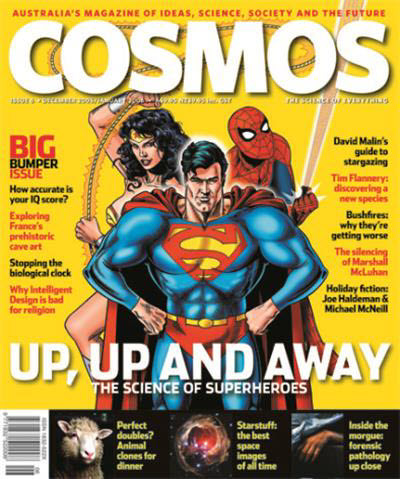 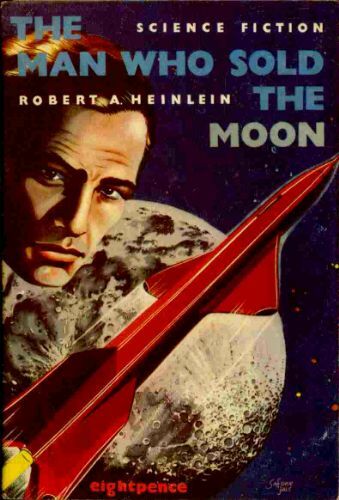 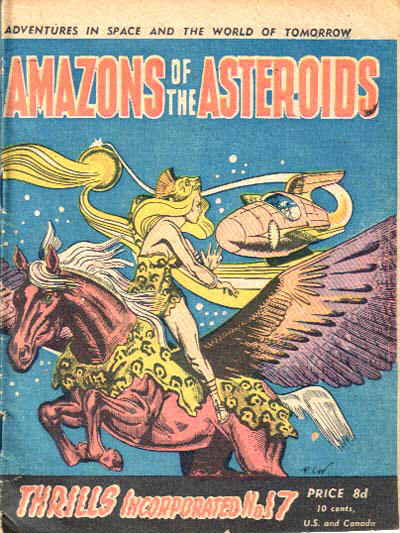 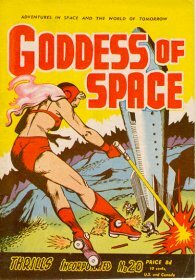 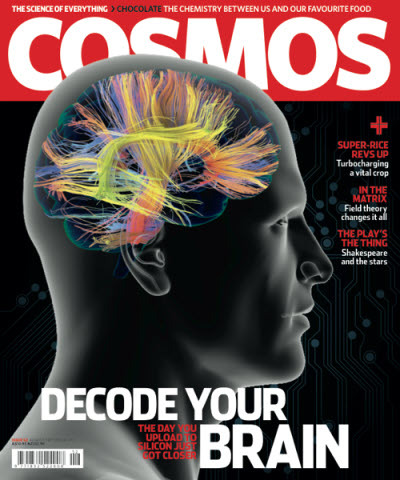 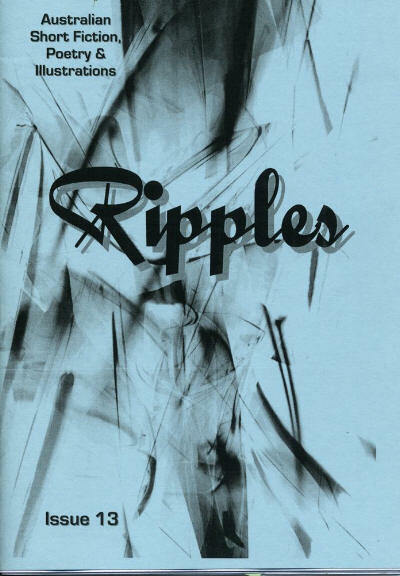 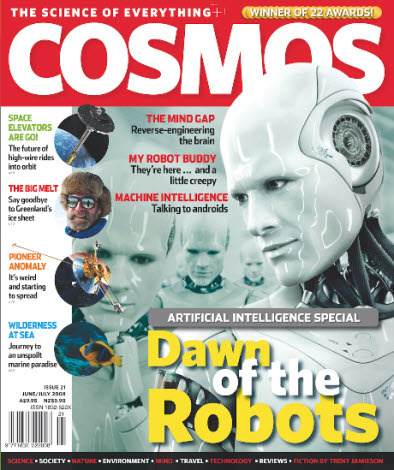 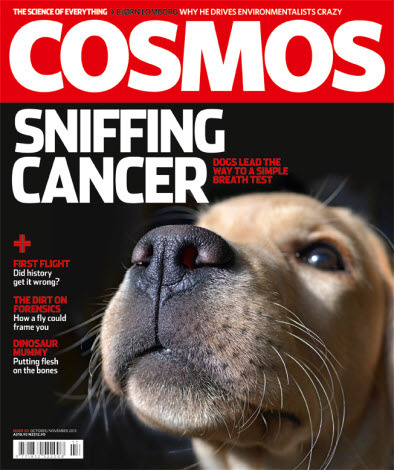 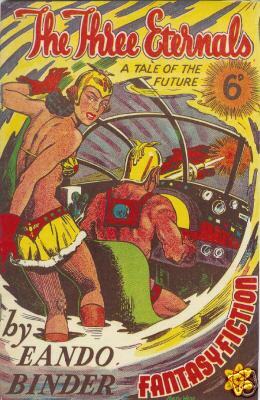 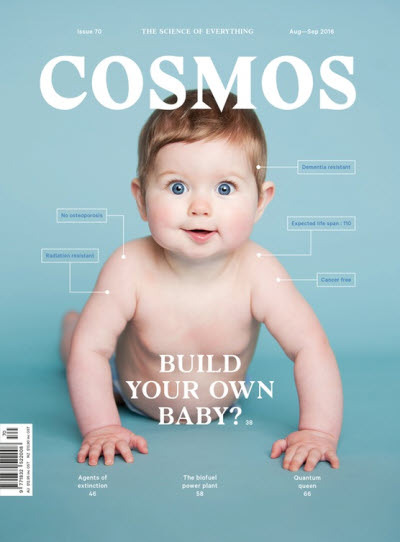 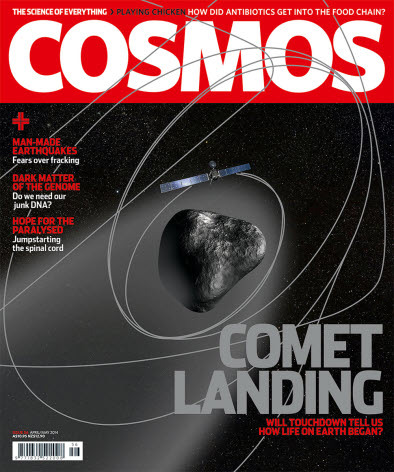 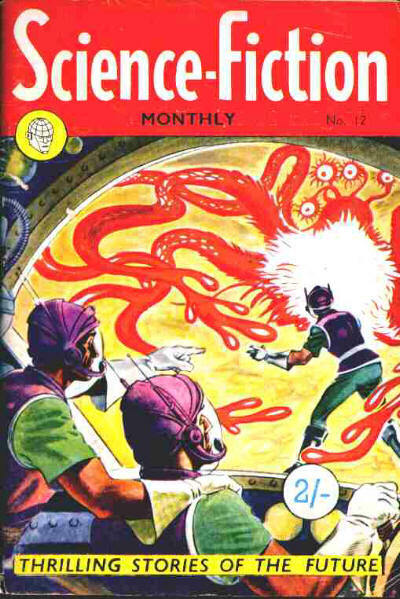 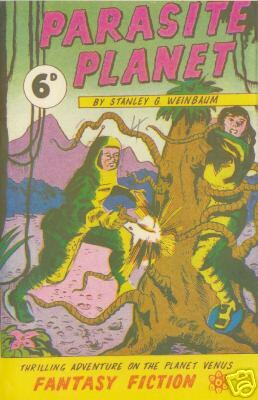 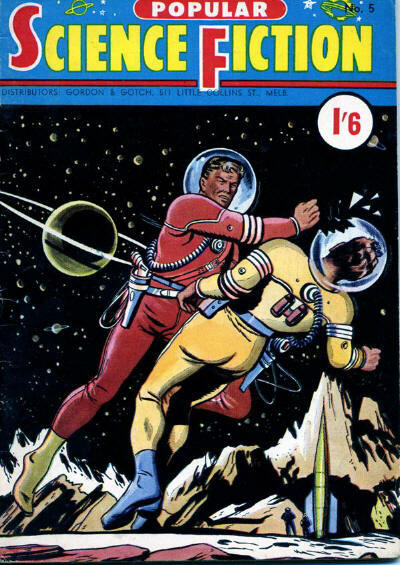 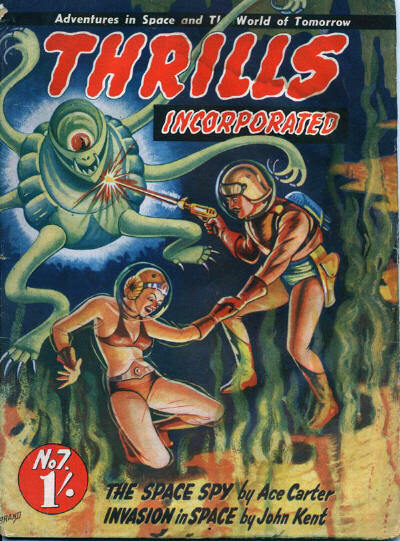 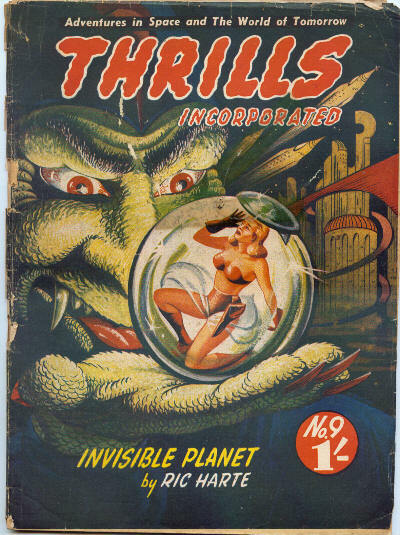 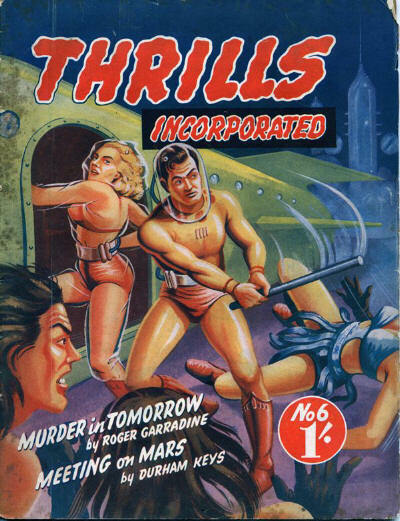 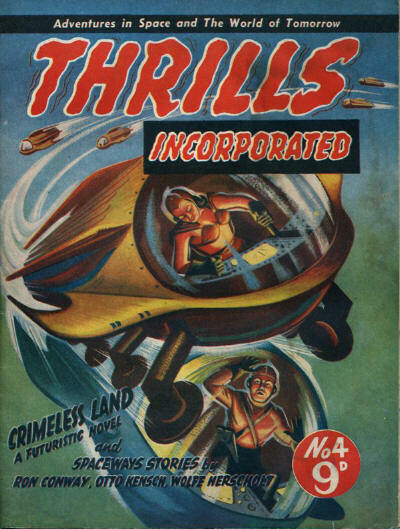 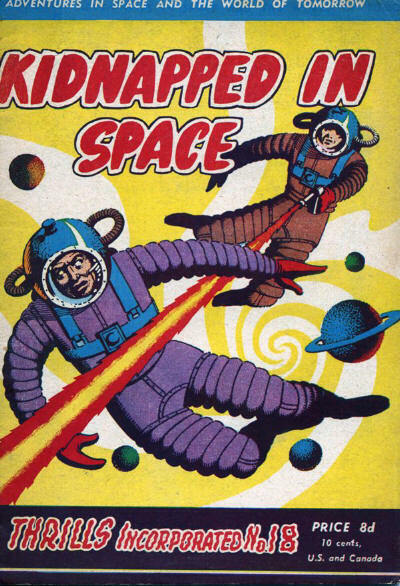 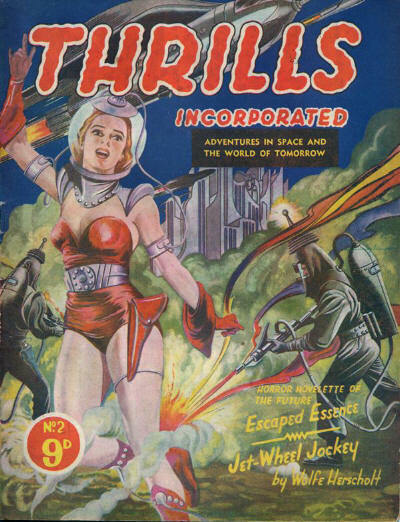 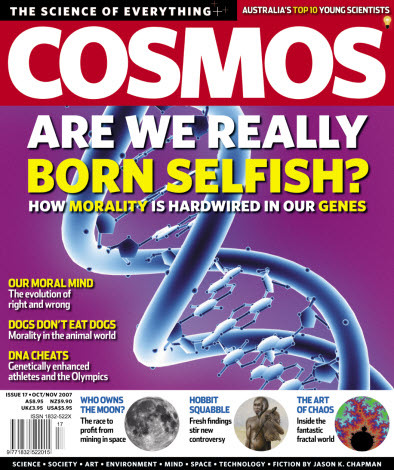 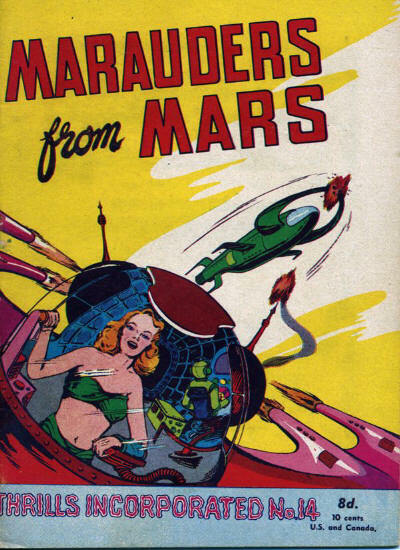 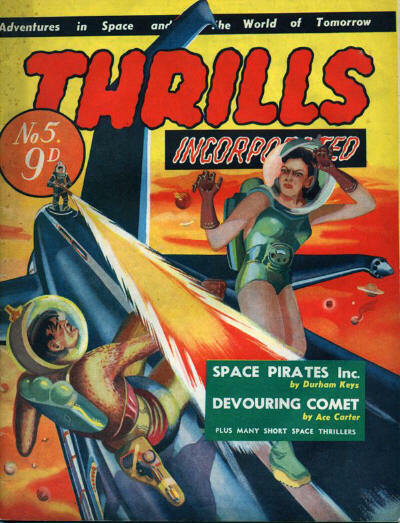 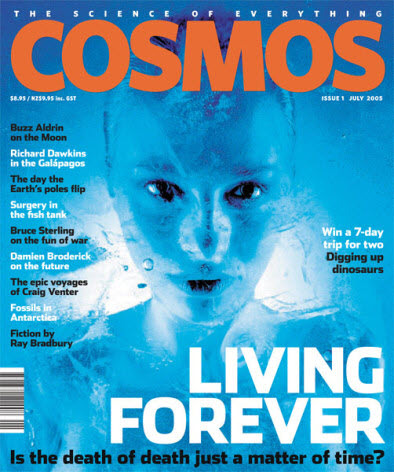 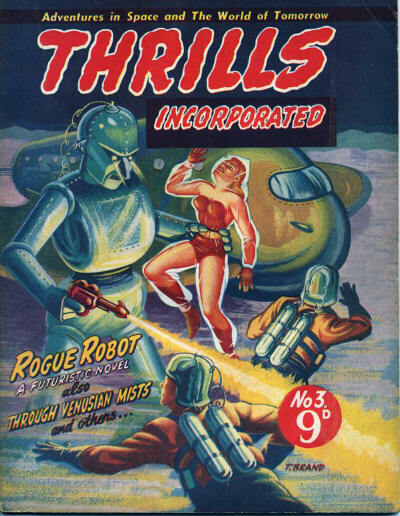 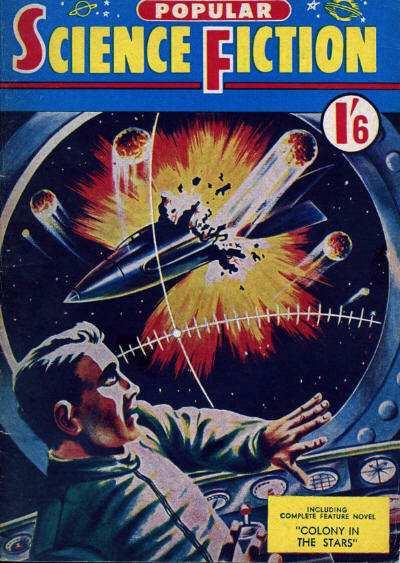 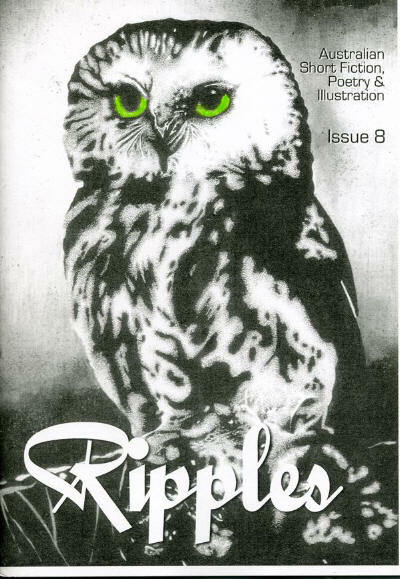 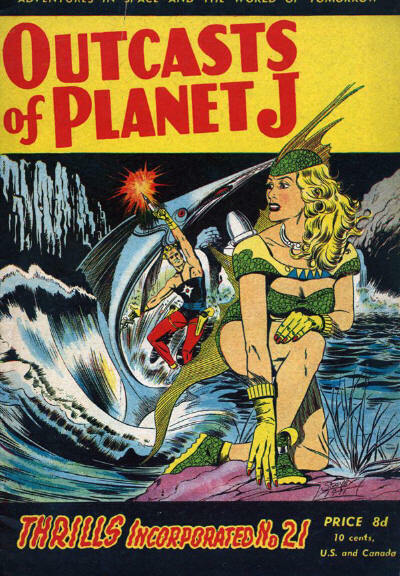 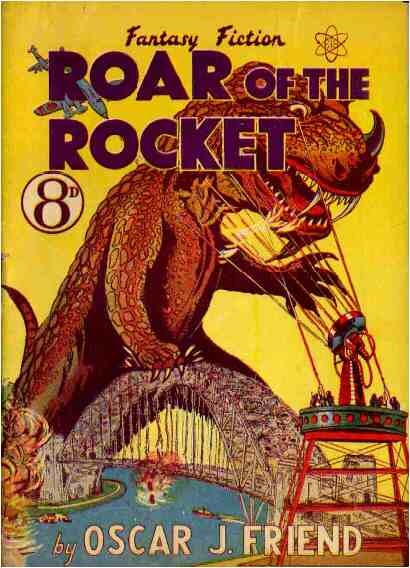 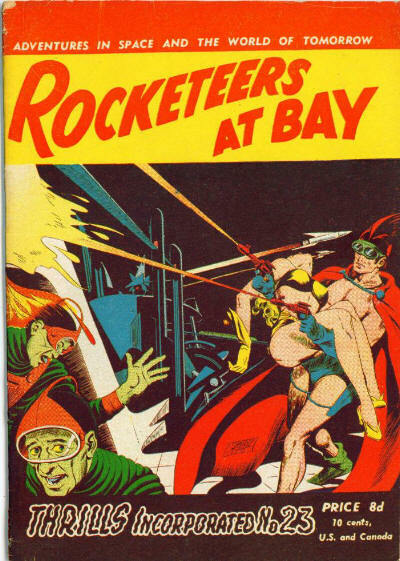 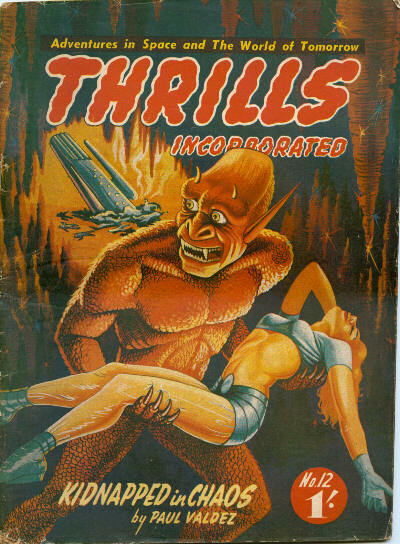 The first two issues were print issues; the magazine then went online for at least five issues; and then returned to print for another four issues (confusingly numbered #7 to #10). 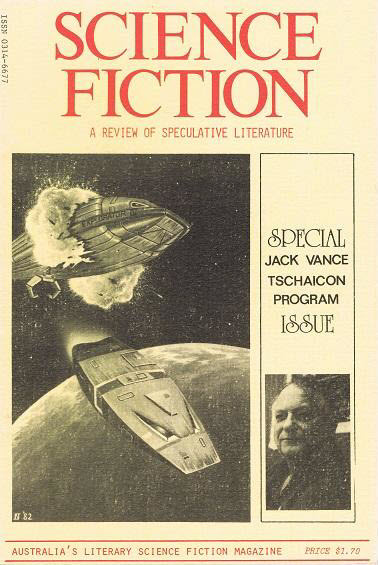 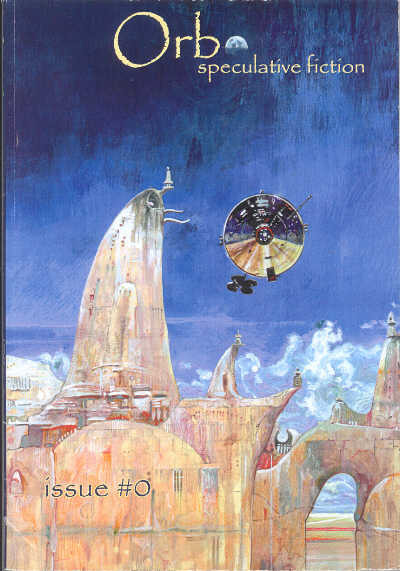 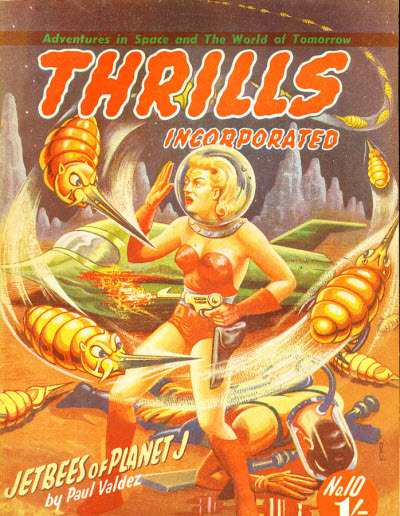 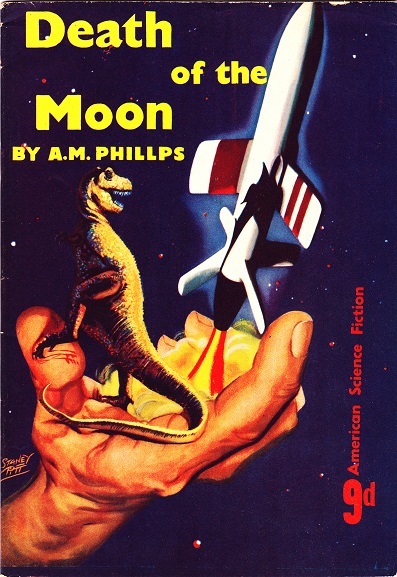 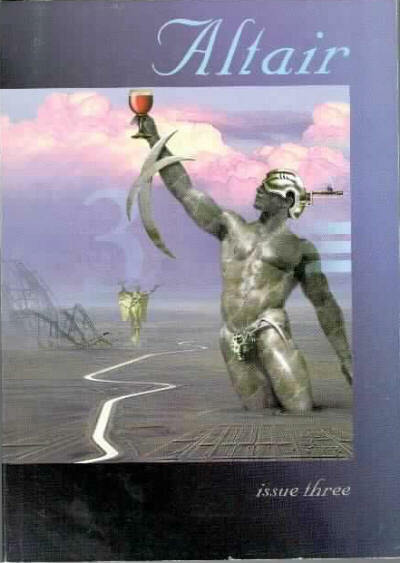 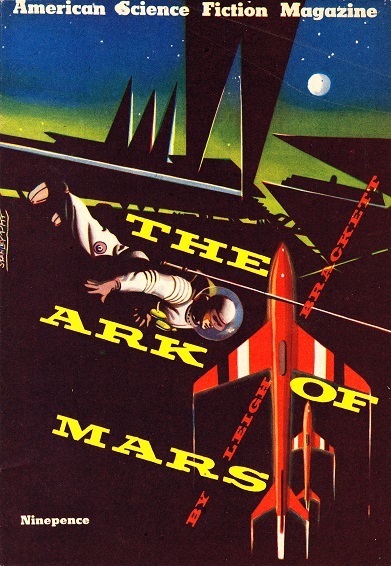 Science Fiction is primarily a journal of review and criticism. 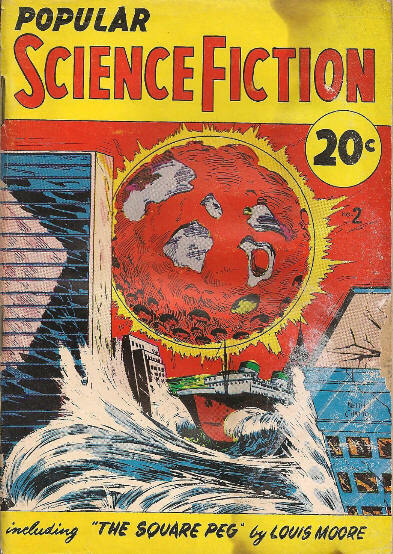 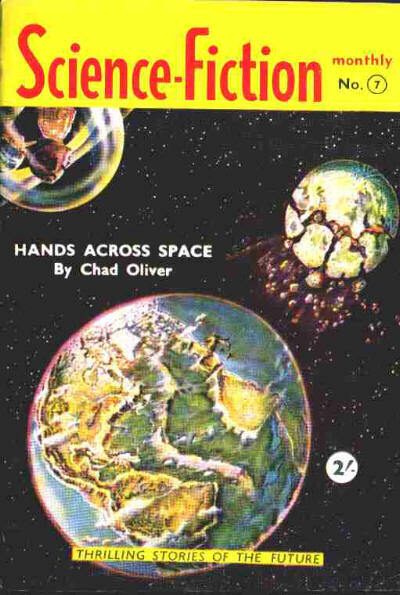 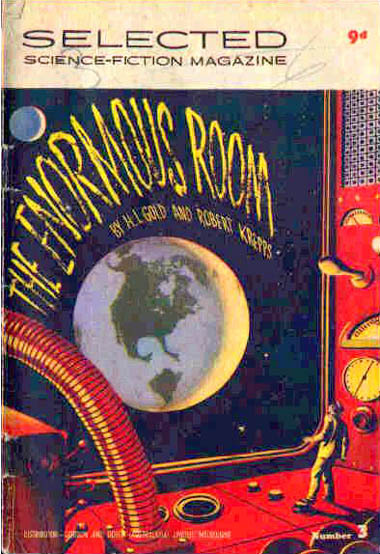 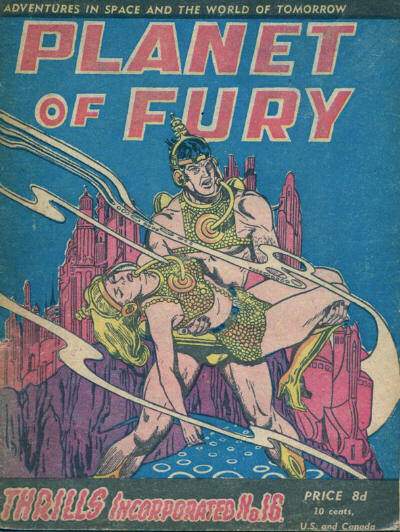 In its earlier issues it ran some fiction and verse. 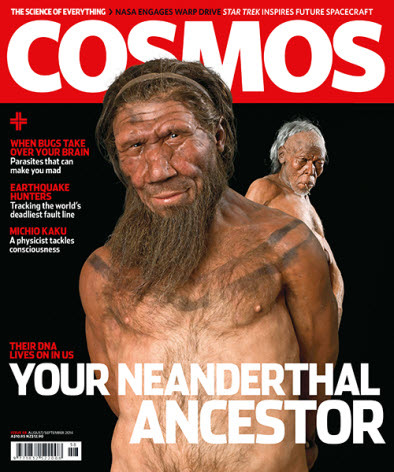 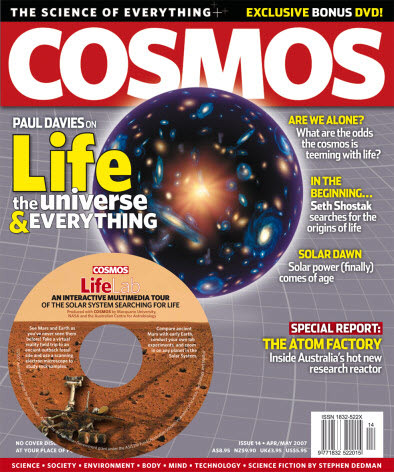 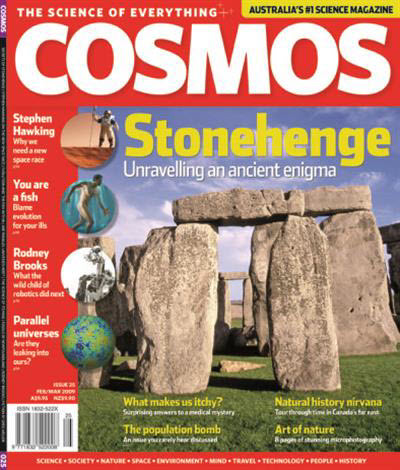 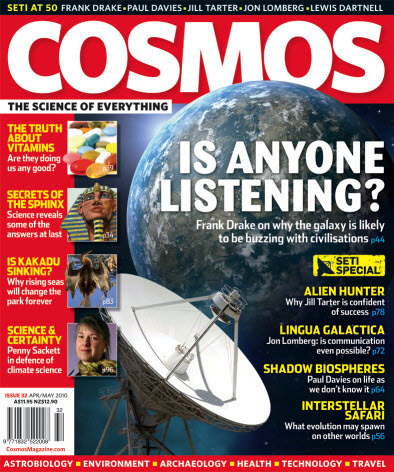 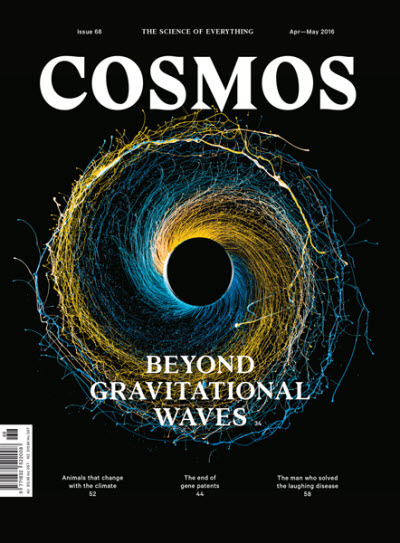 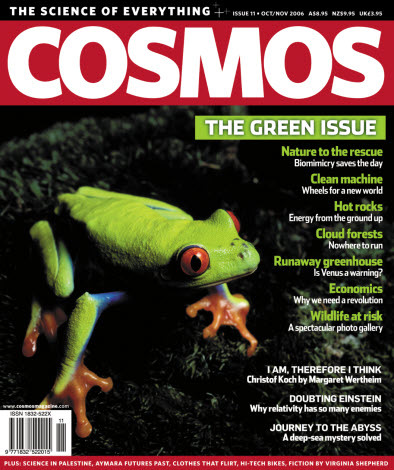 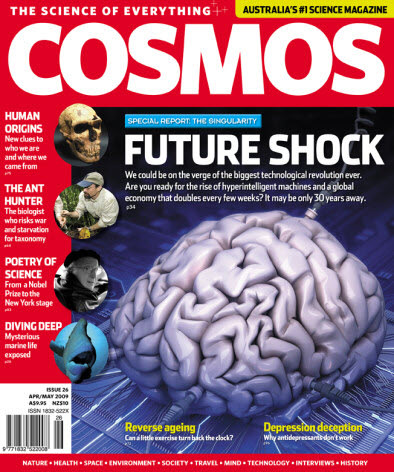 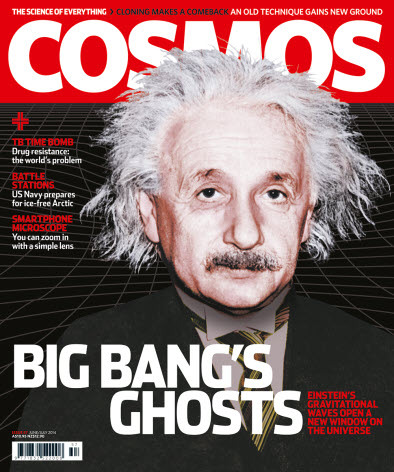 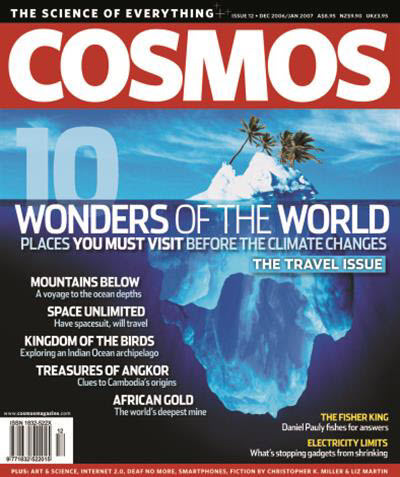 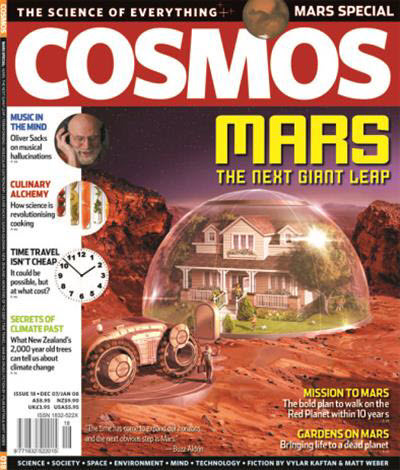 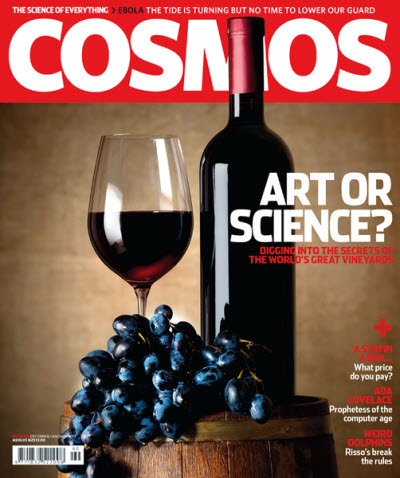 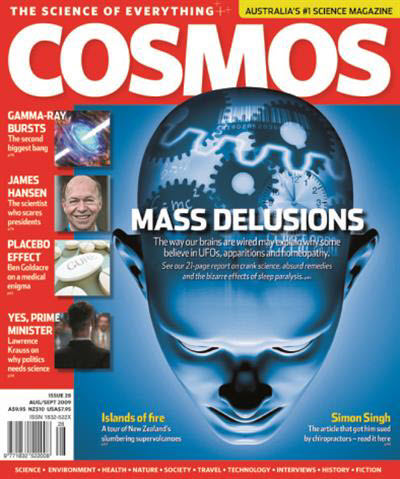 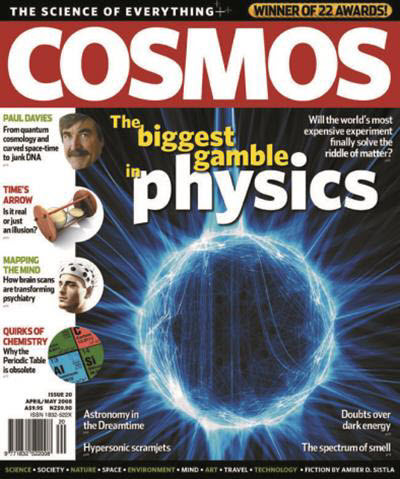 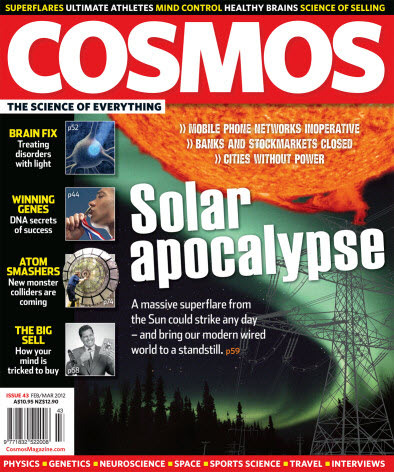 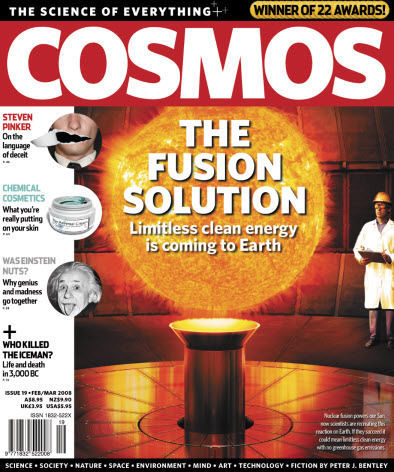 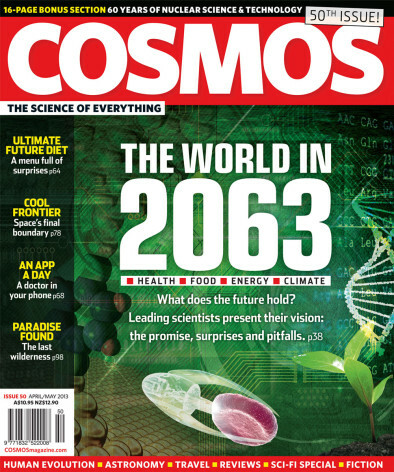 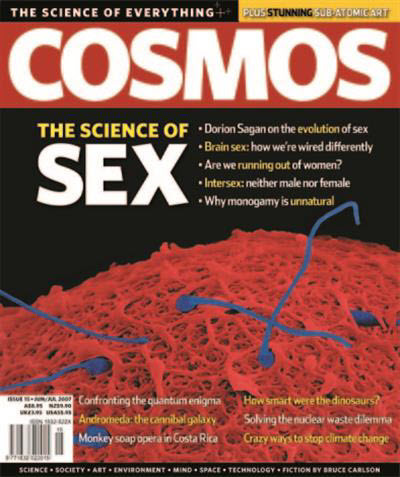 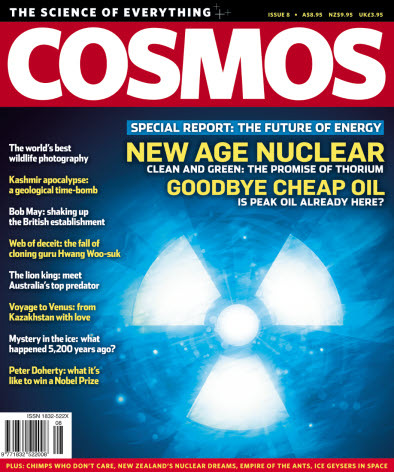 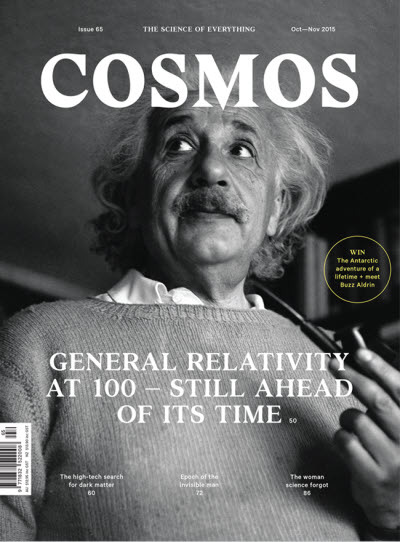 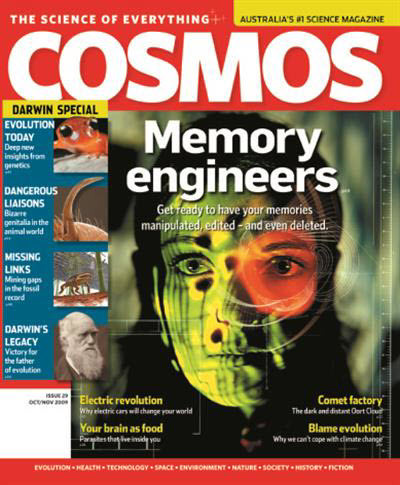 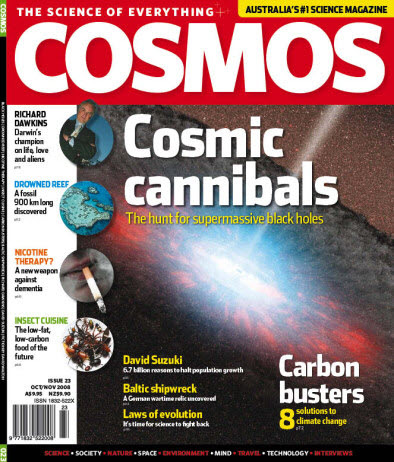 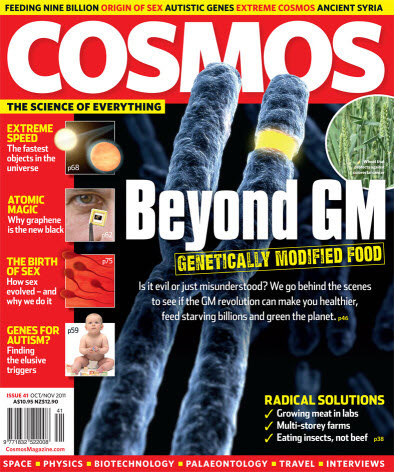 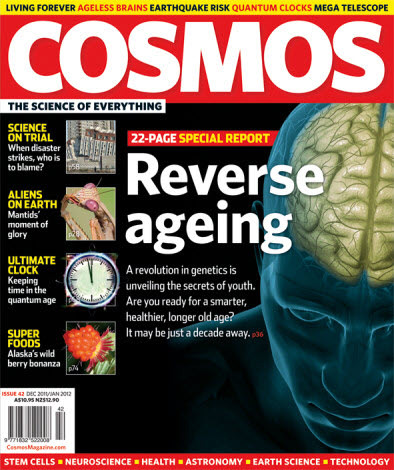 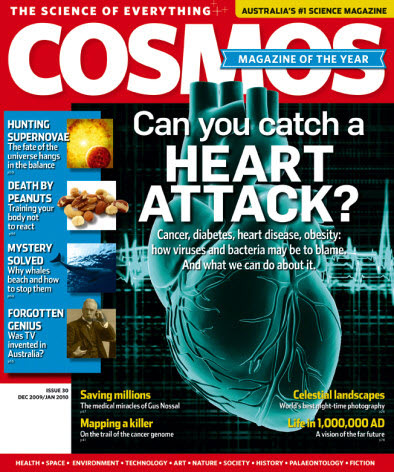 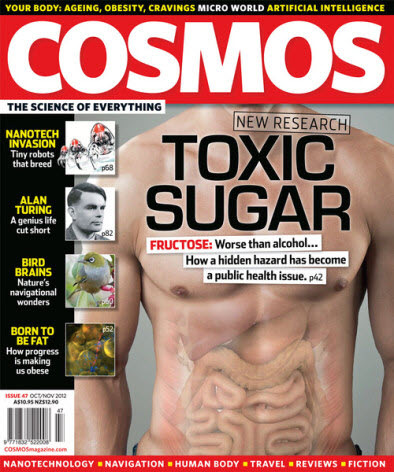 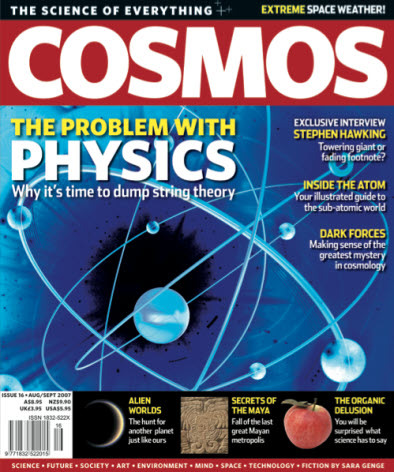 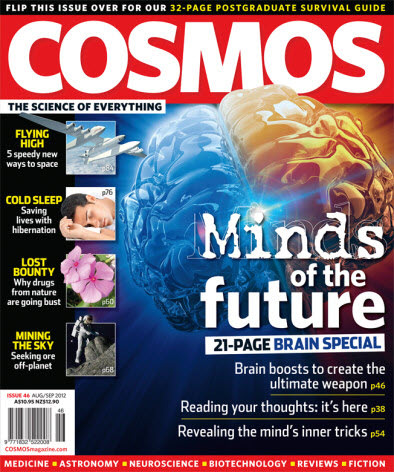 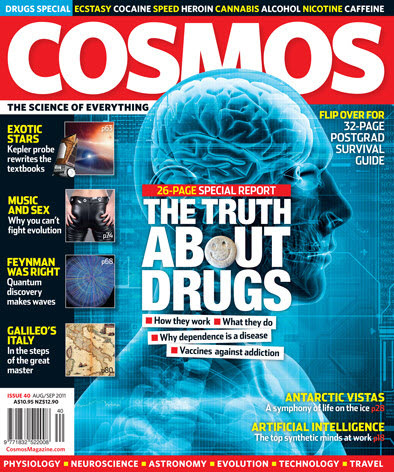 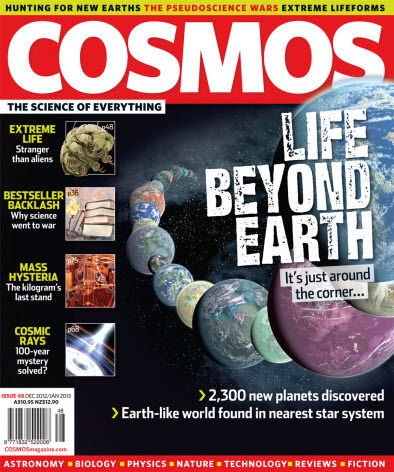 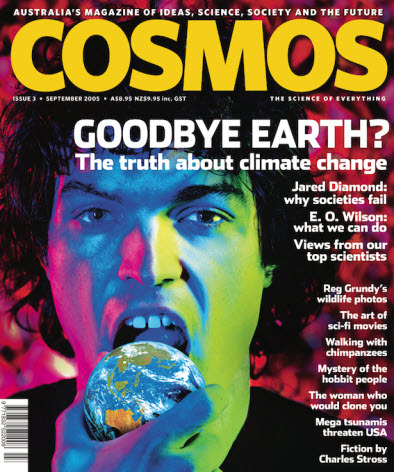 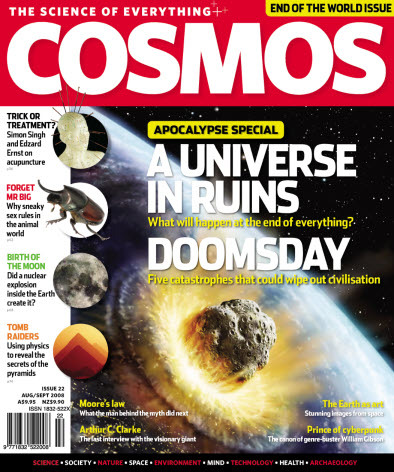 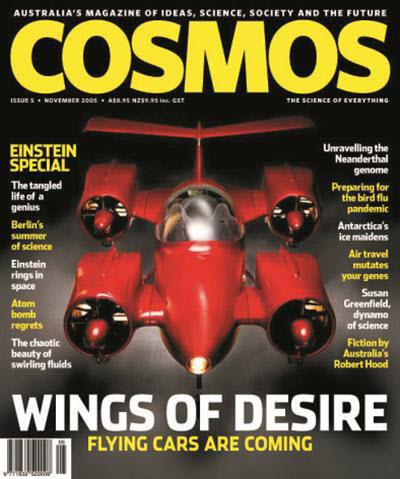 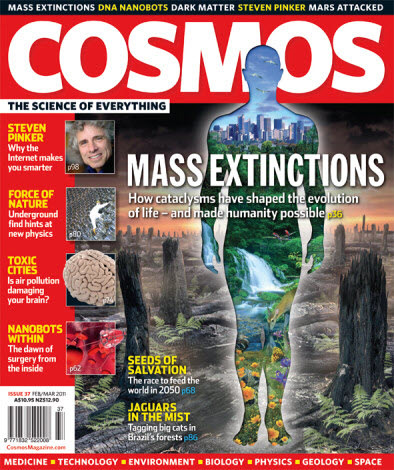 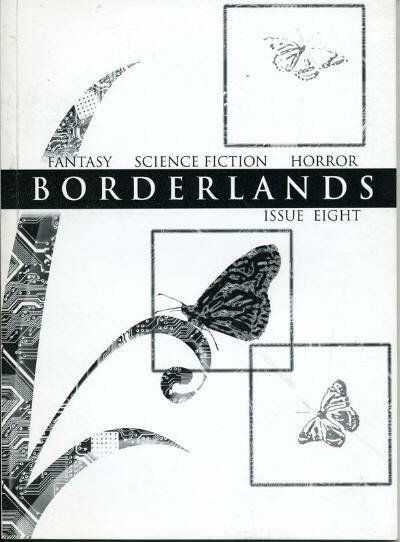 The magazine continued to be published to 1992 at least but no longer carried any fiction. 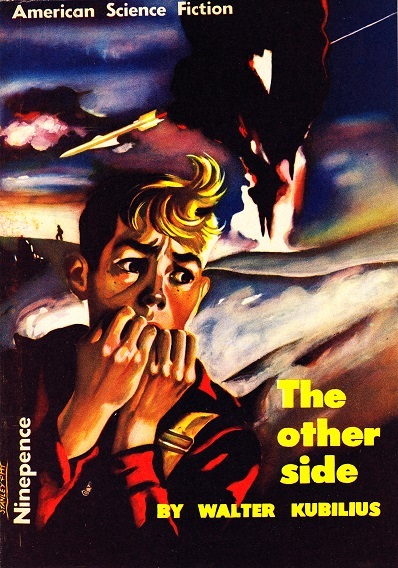 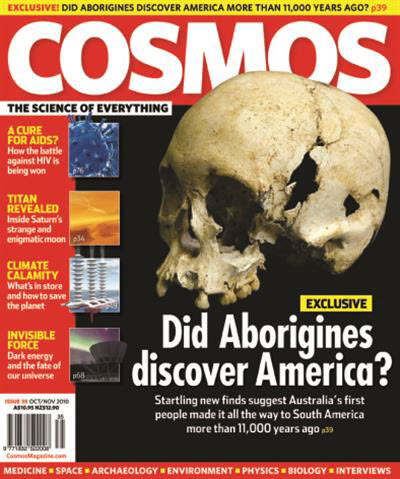 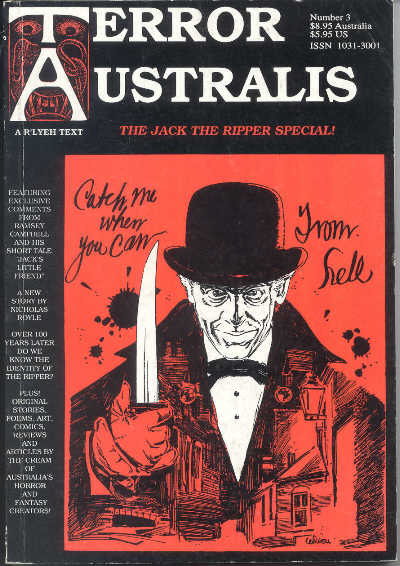 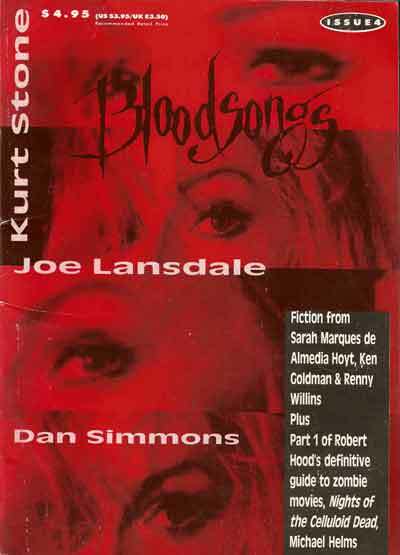 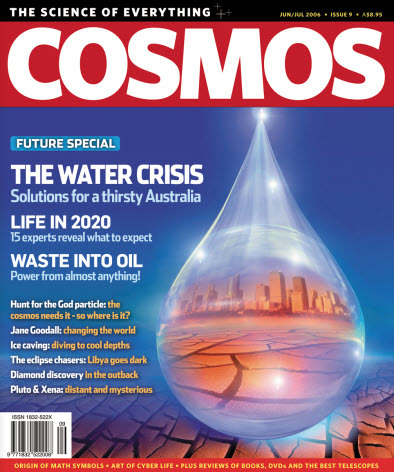 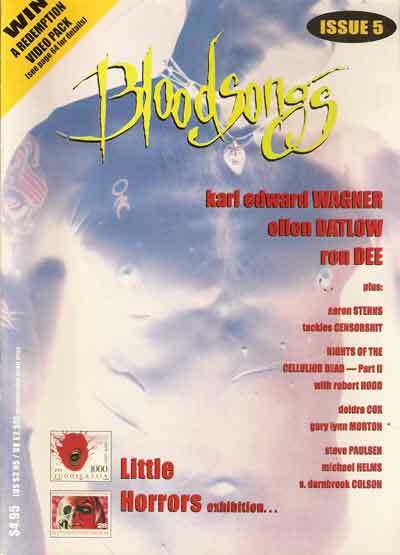 A series of Australian paperbacks in magazine format. 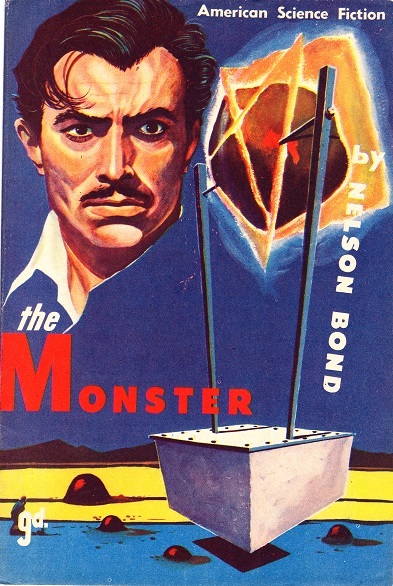 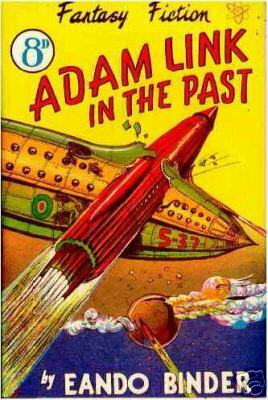 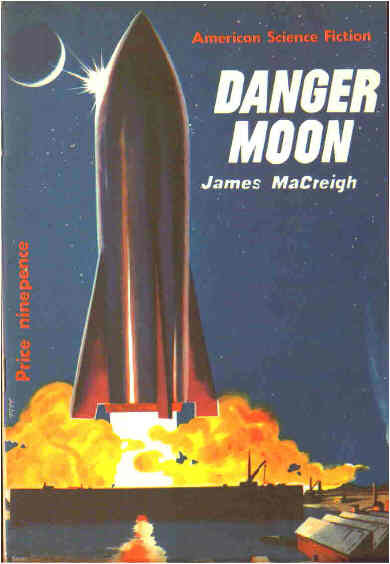 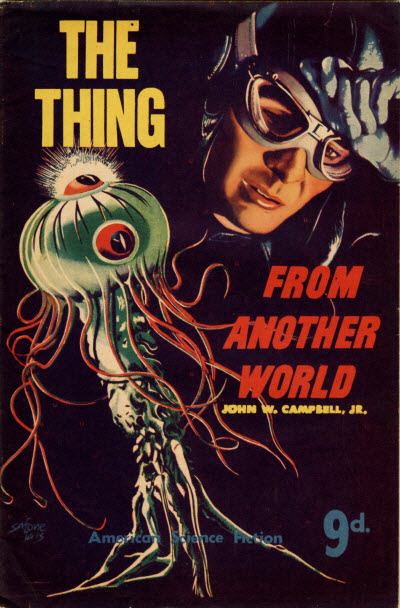 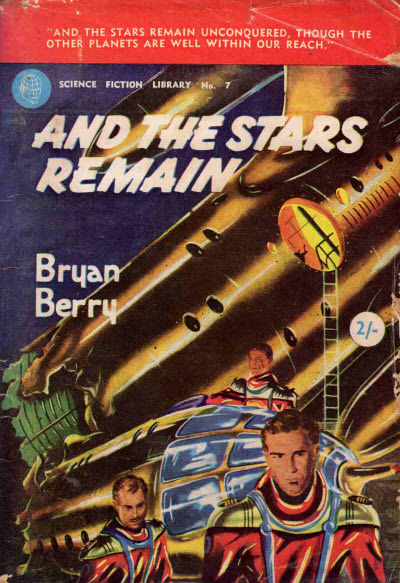 All but #4 were reprints of U.S. or British paperbacks and reproduced the original covers. 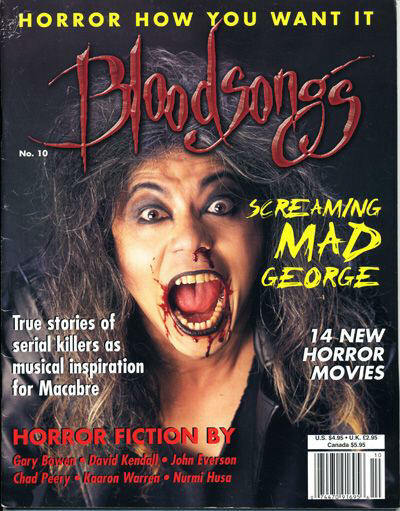 Mostly reprints from US magazines but some original features. 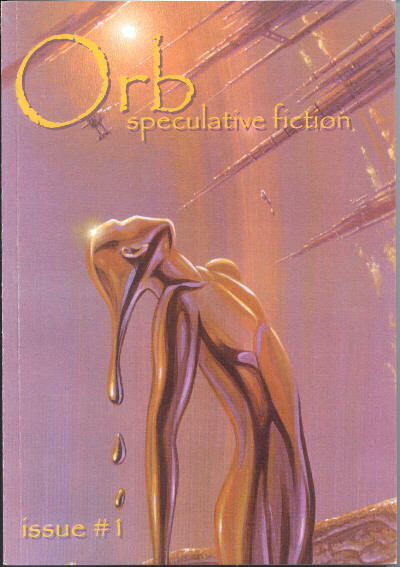 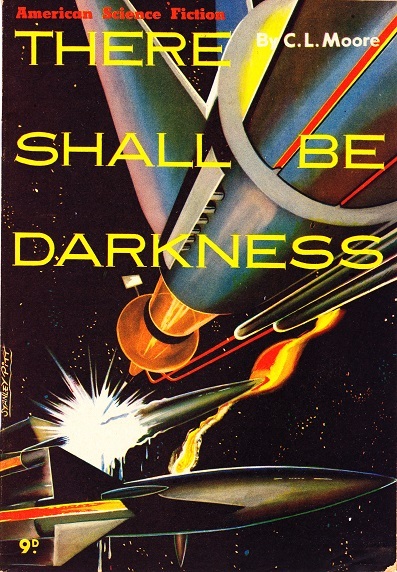 Reprints of high quality US sf novellas. 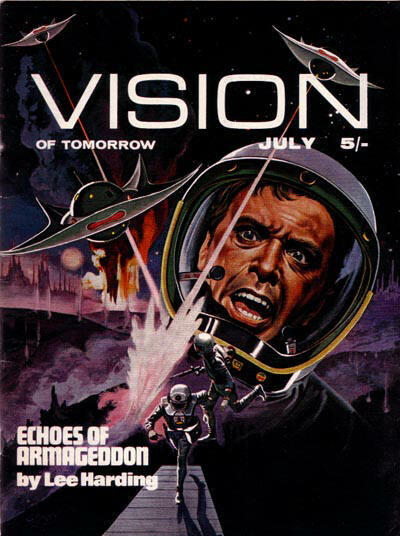 Compiled from contributions from attendees of the first two EnVision workshops in July 2003 and July 2004. 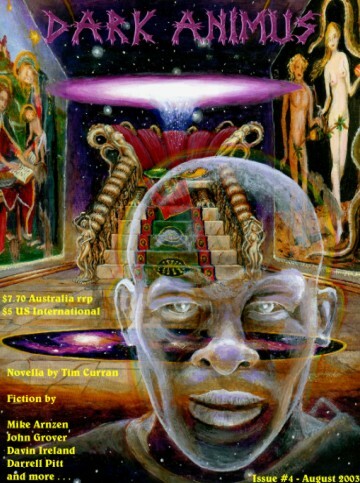 Most of the fiction consists of excerpts from novels in progress. 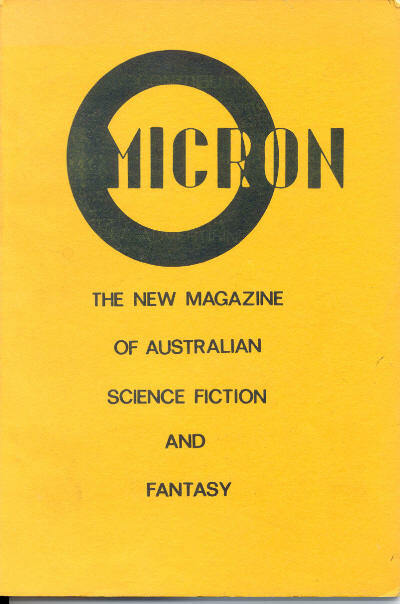 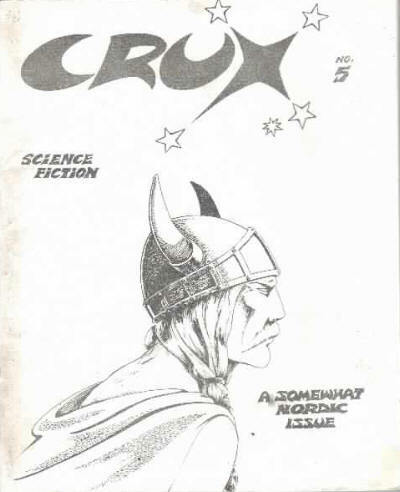 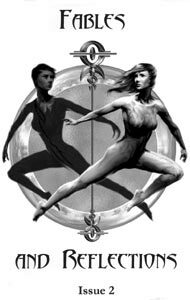 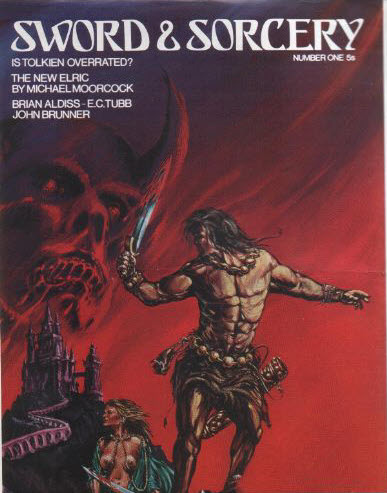 Sword & Sorcery was to have been a companion magazine to Vision of Tomorrow and was funded by the same Australian entrepreneur, Ron Graham. 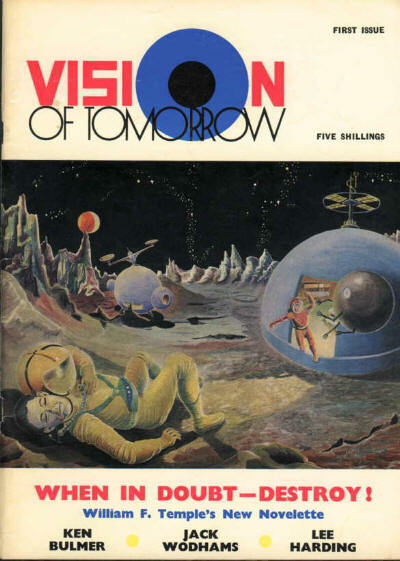 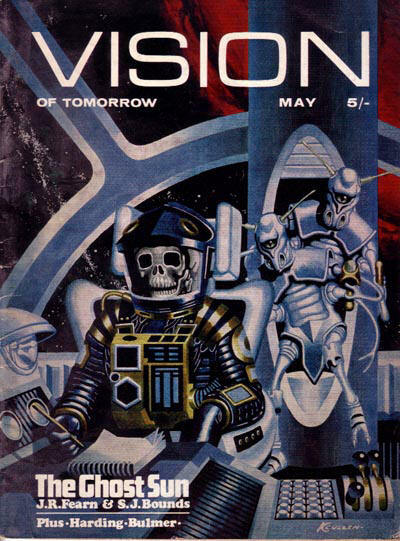 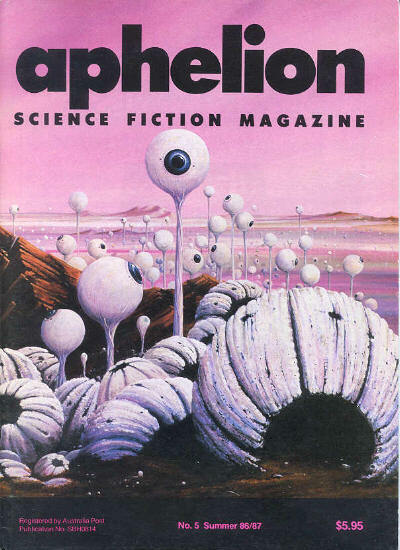 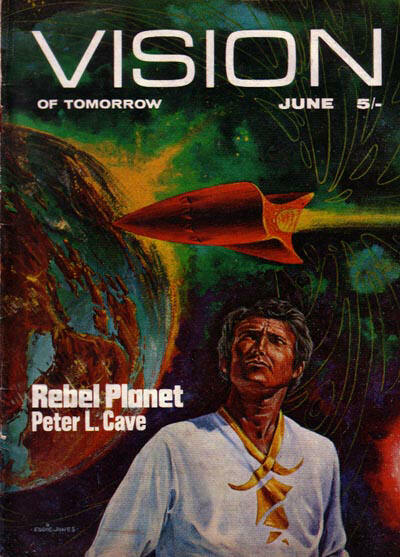 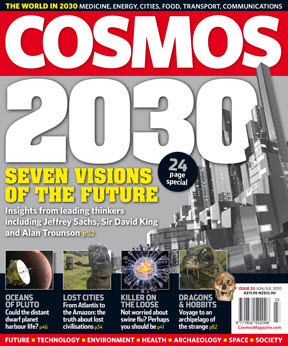 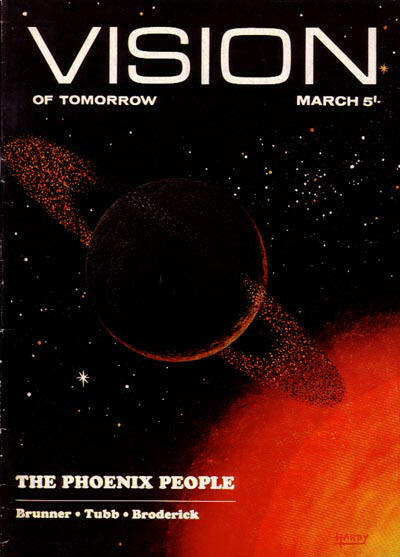 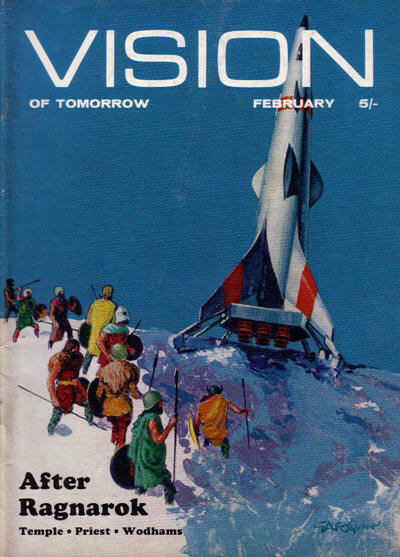 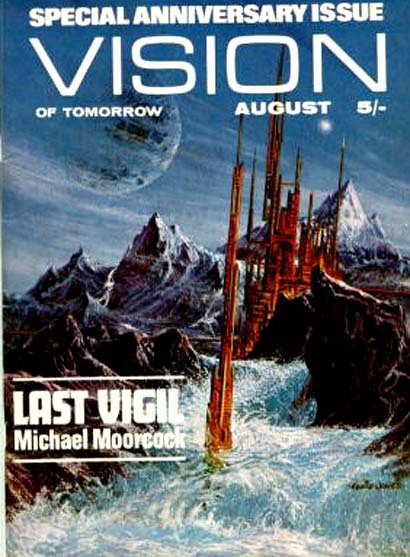 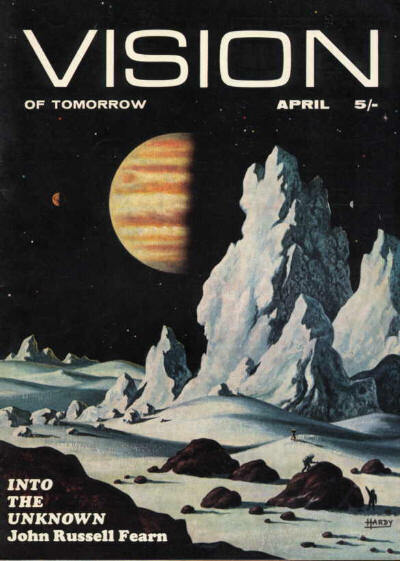 The project collapsed when Graham pulled the plug on Vision of Tomorrow in 1970, and the magazine never appeared. 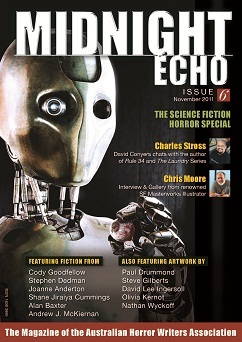 A proof copy of the first issue does exist. 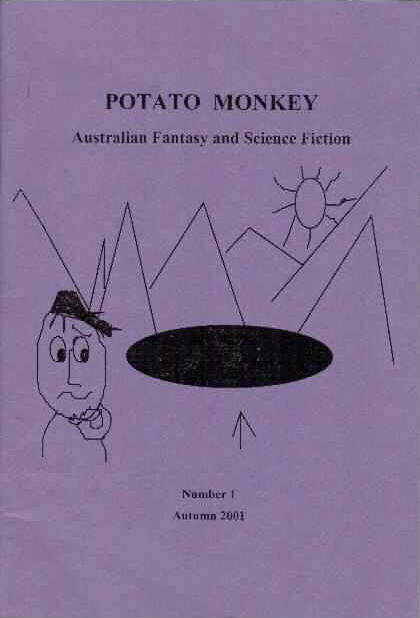 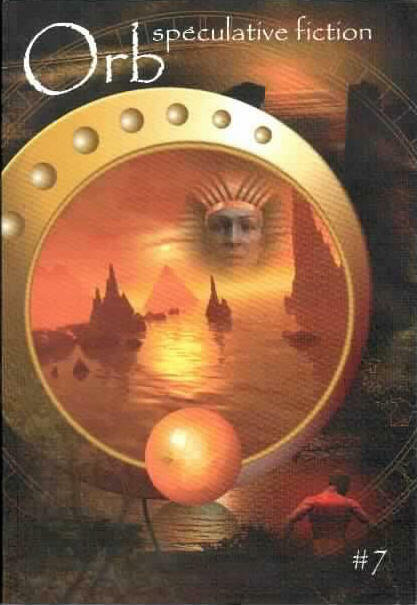 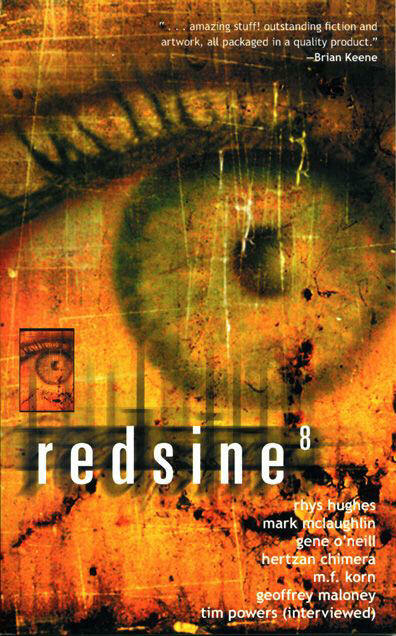 While edited and printed in England, the publisher was in Australia. 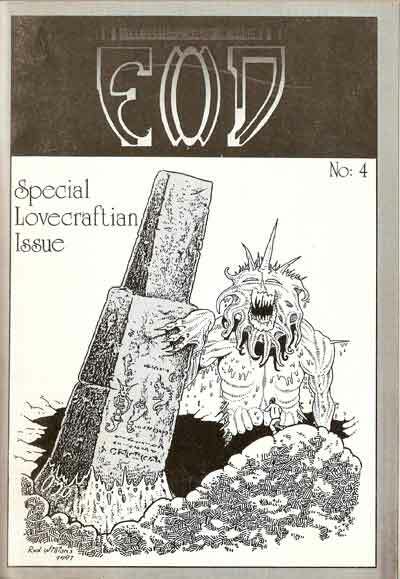 Note that a change in printers resulted in the third issue coming out before the old printer got #2 out. 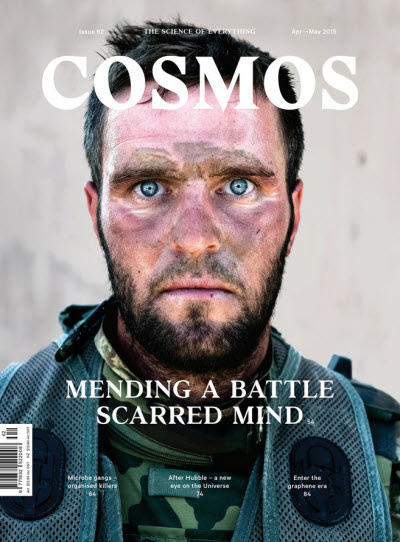 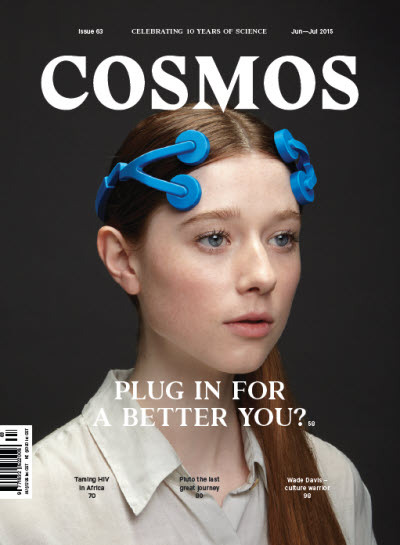 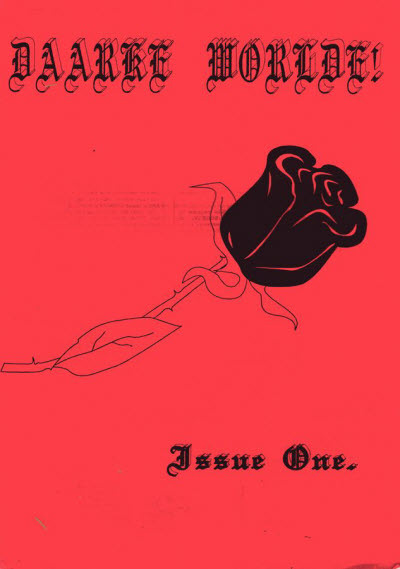 Semi-professional magazine. 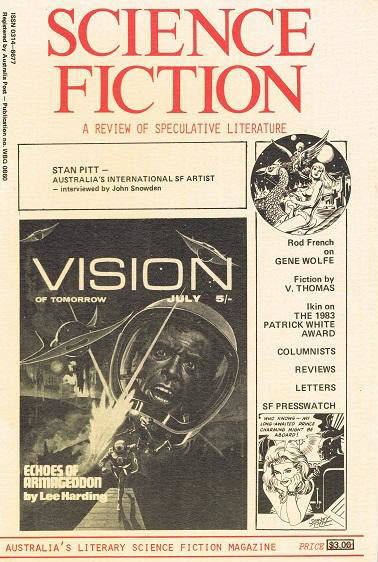 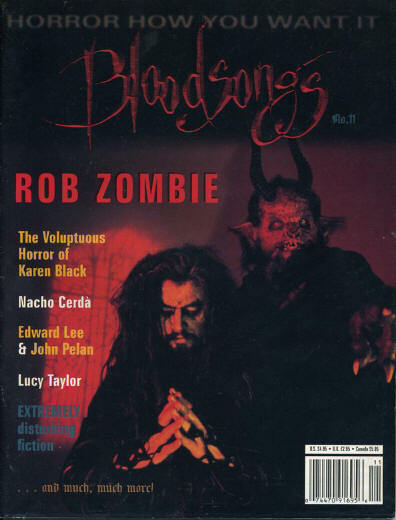 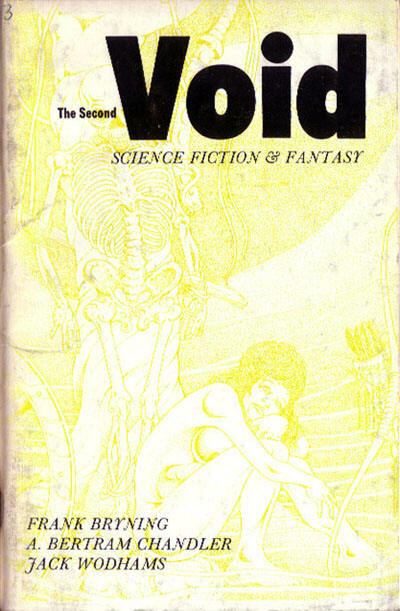 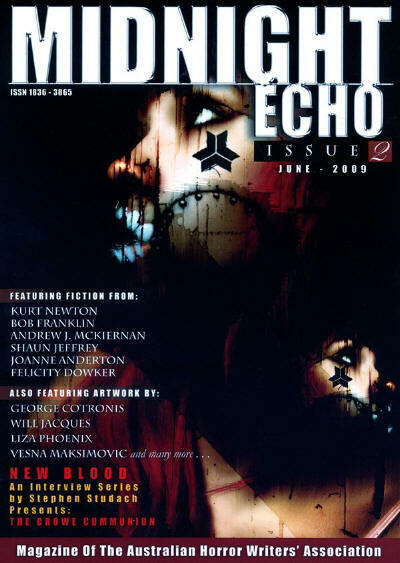 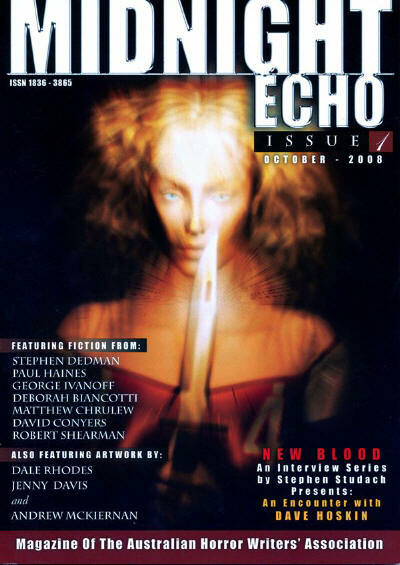 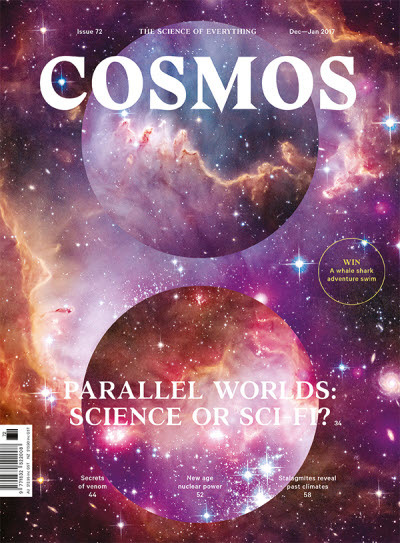 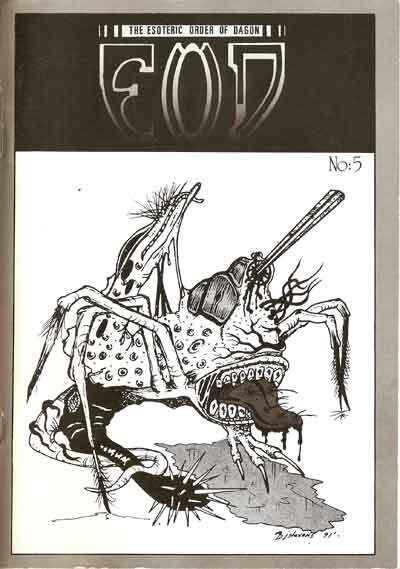 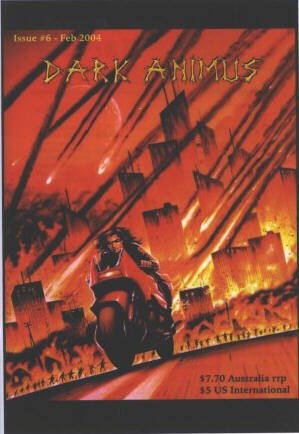 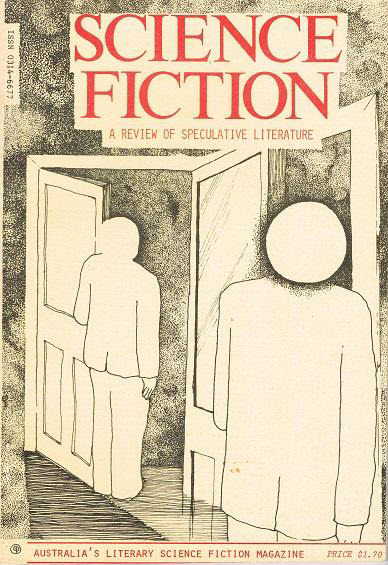 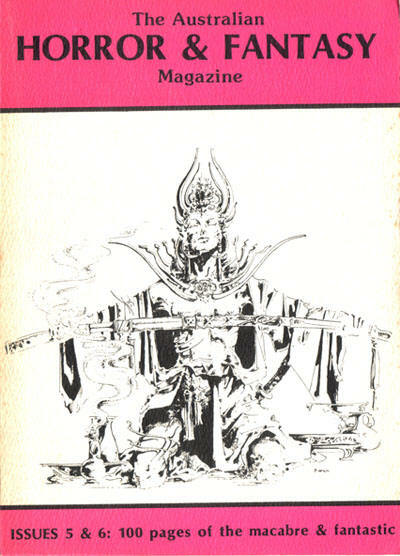 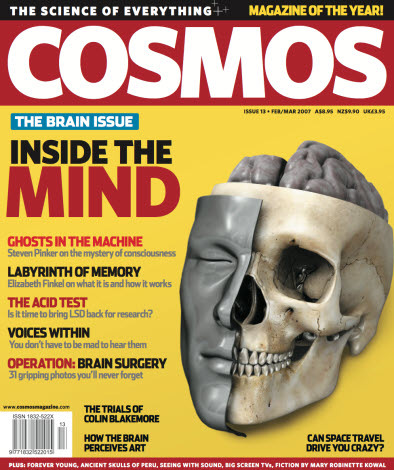 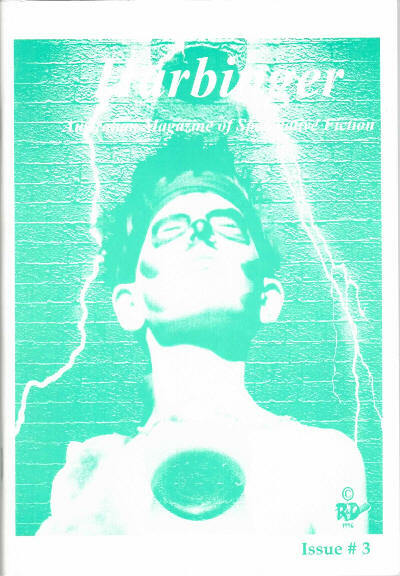 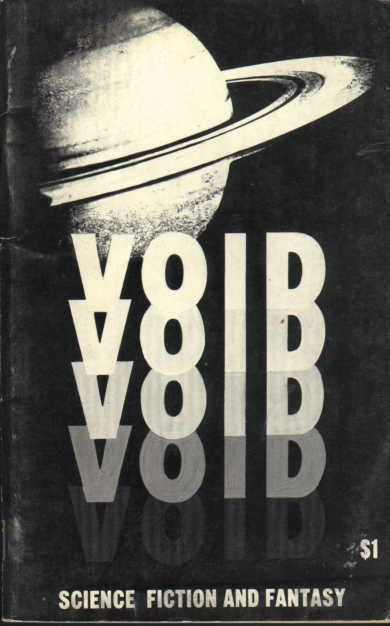 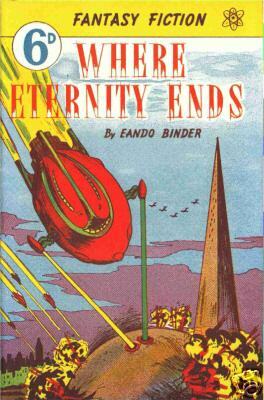 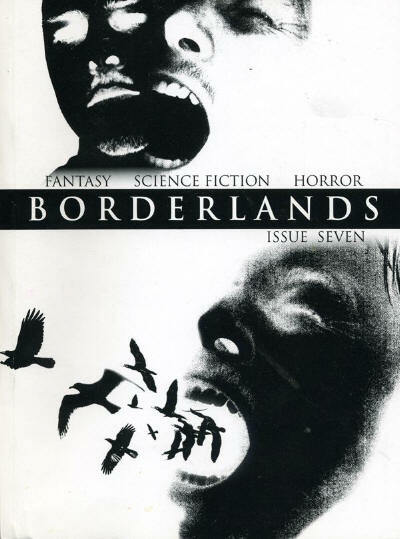 The magazine ended with #5, but subscriptions were filled with copies of hardcover anthologies edited by Collins which had the Void issue numbers overprinted on the jackets. 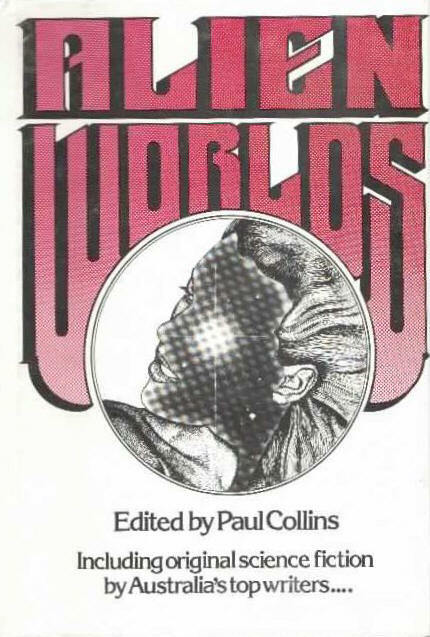 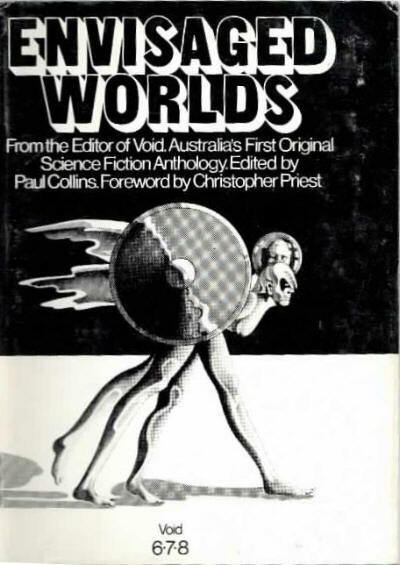 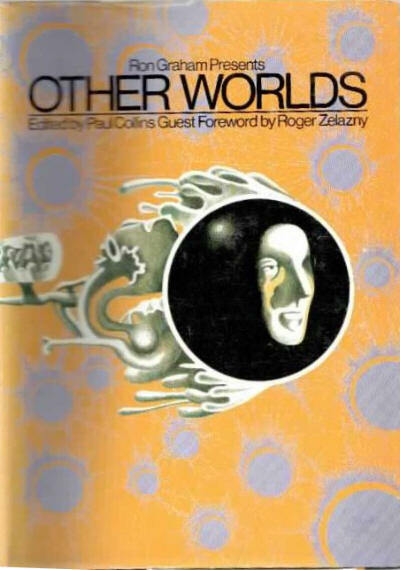 Envisaged Worlds (1978) was given as Void #6/7/8, Other Worlds (1978) as #9/10/11, Alien Worlds (1979) as #12/13/14, and Distant Worlds (1981) as #15/16/17. 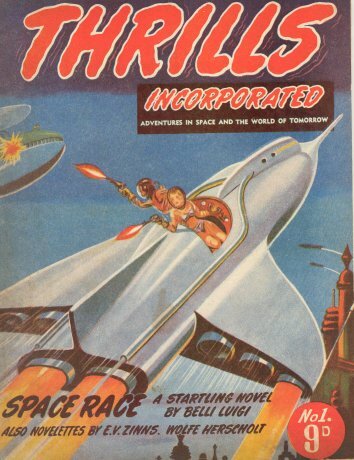 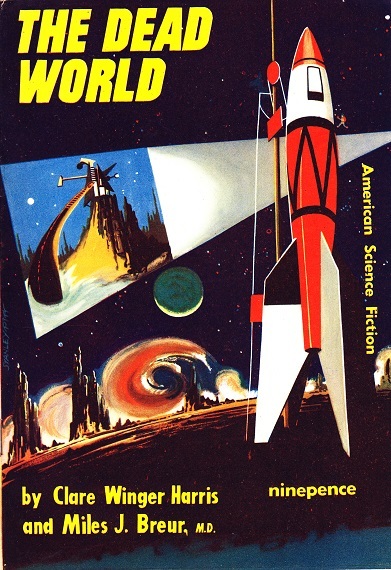 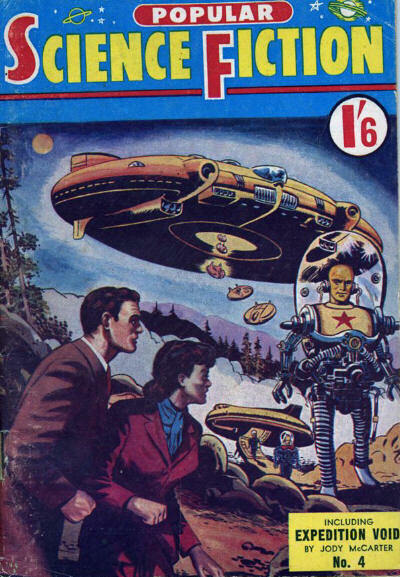 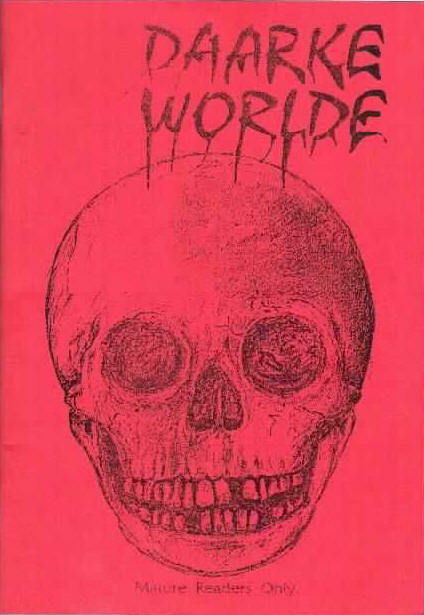 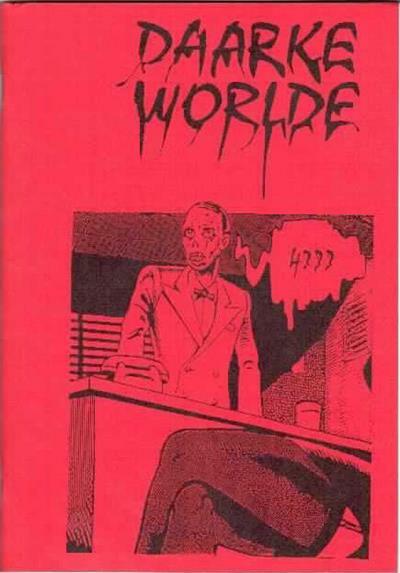 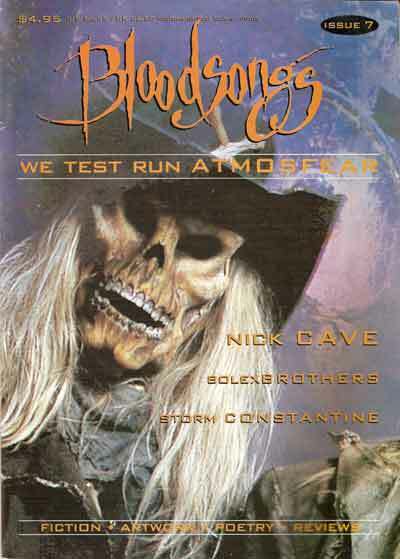 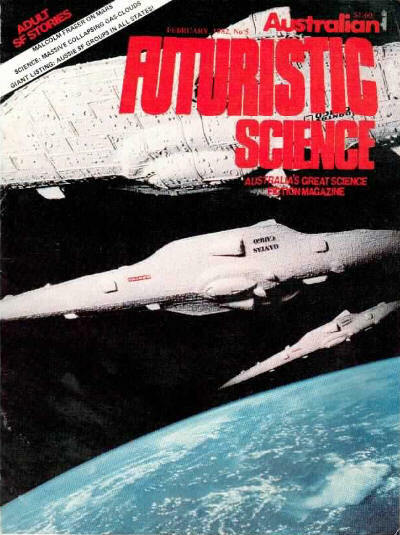 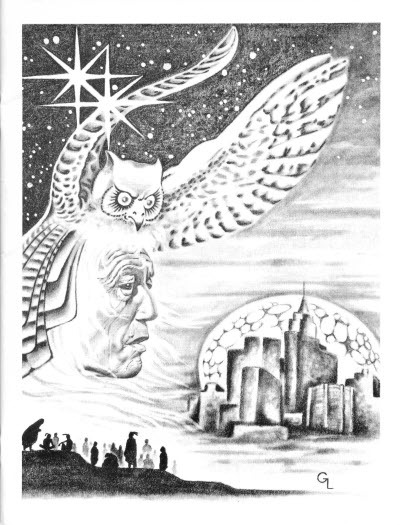 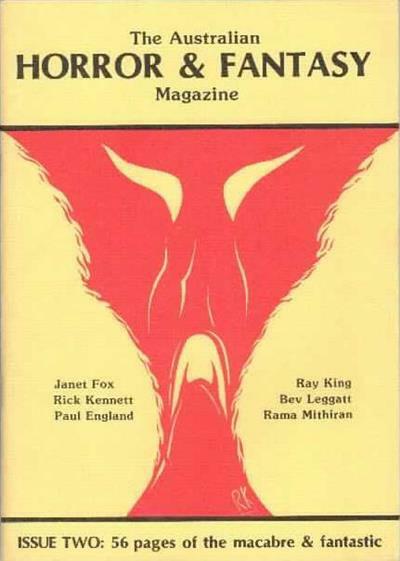 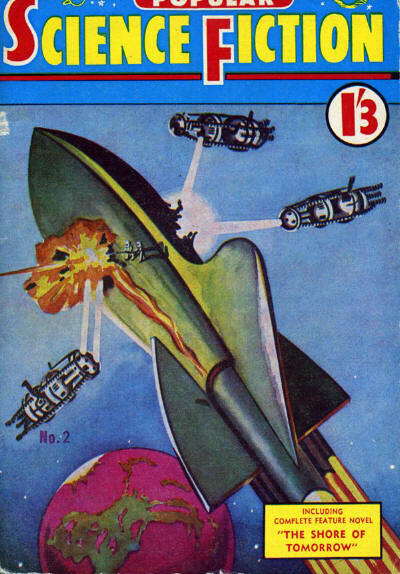 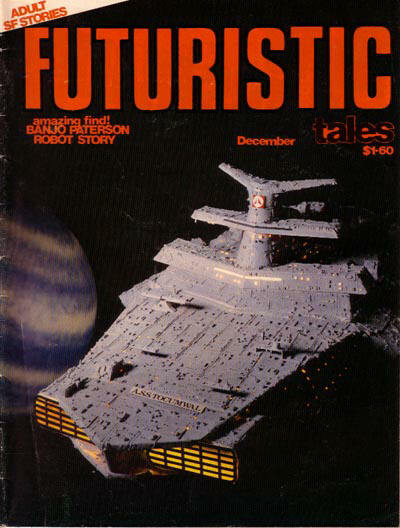 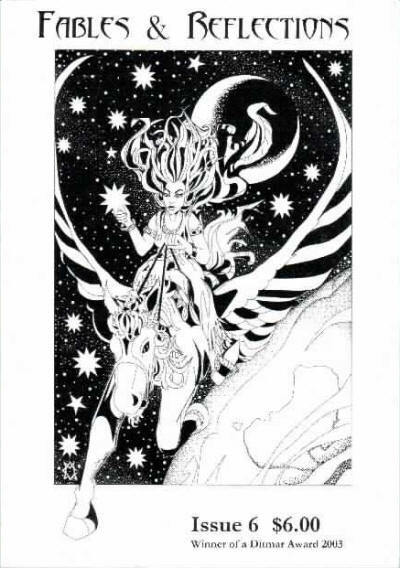 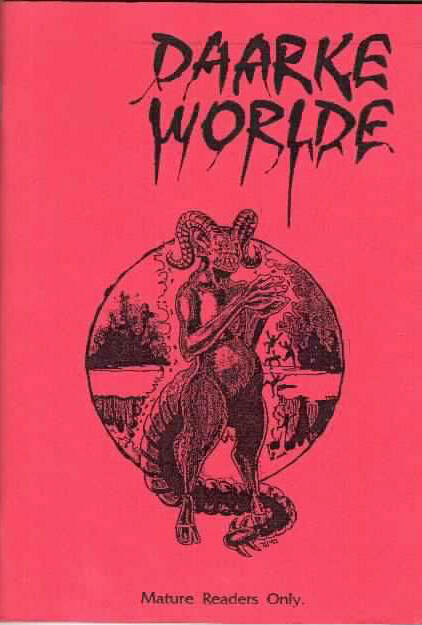 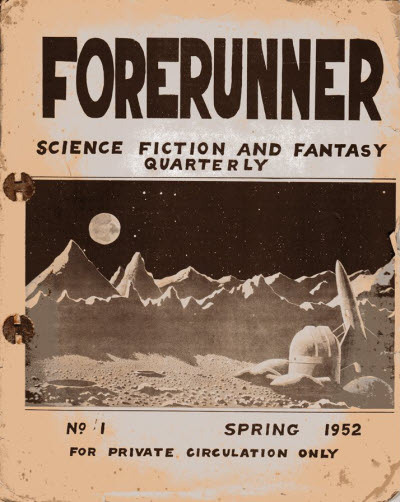 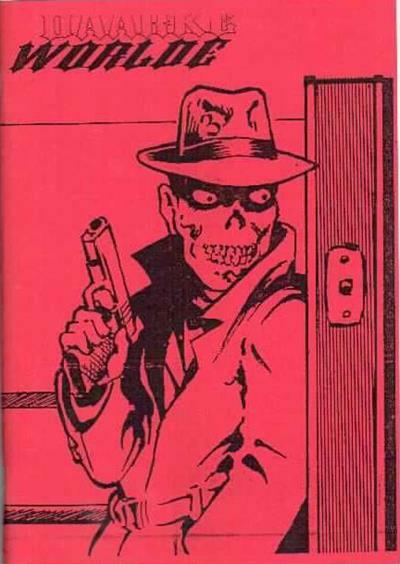 Frontier Worlds (1983) was offered to subscribers in lieu of issue #18.